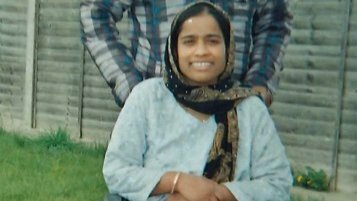 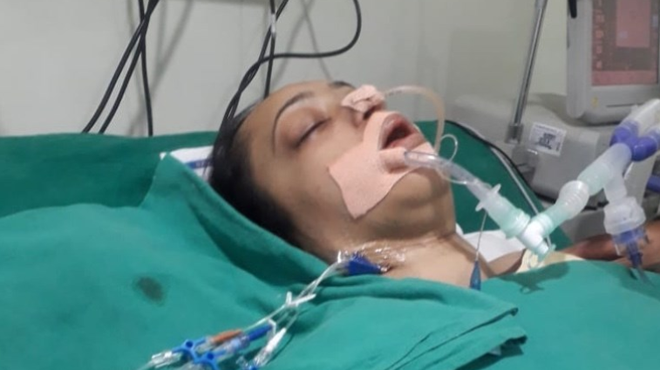 Balvinder, a British born mother of three is currently seriously ill in India having contracted TB meningitis. 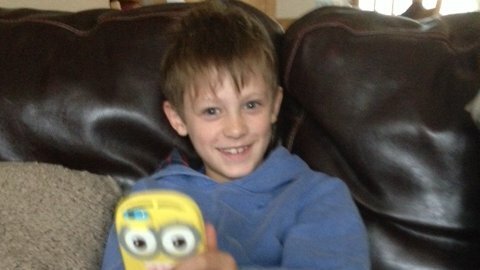 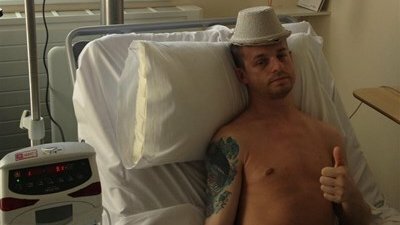 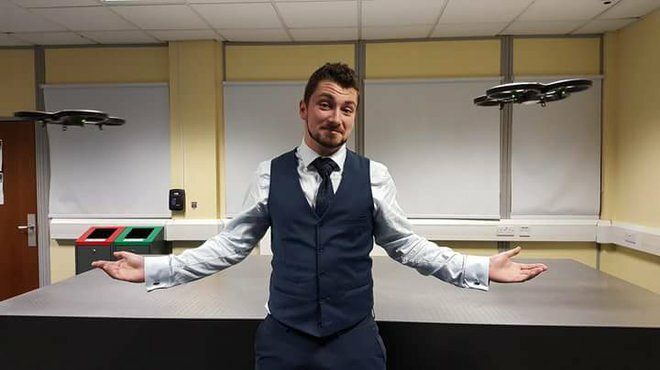 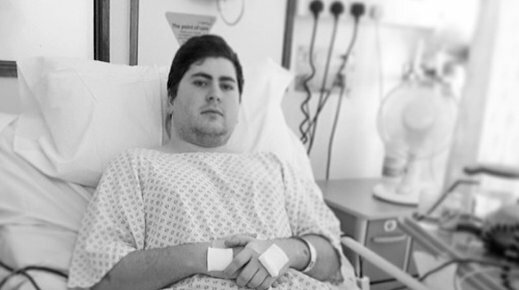 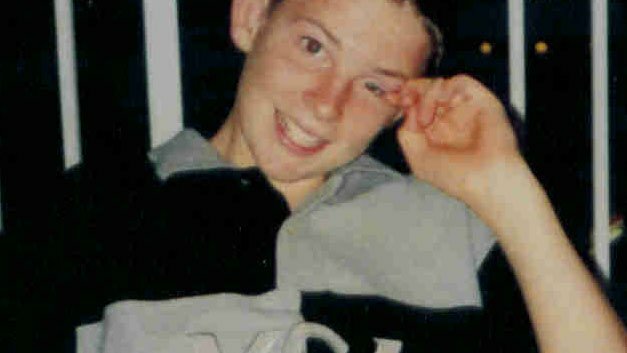 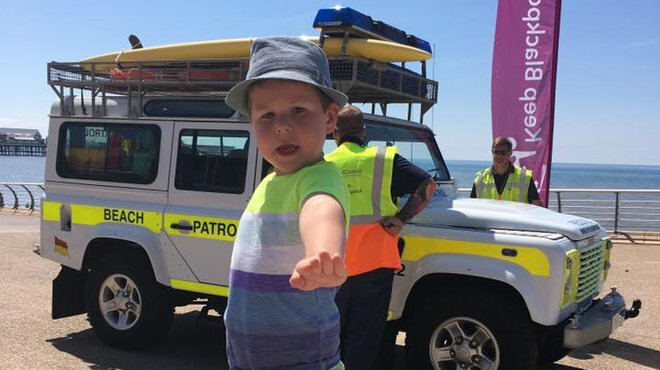 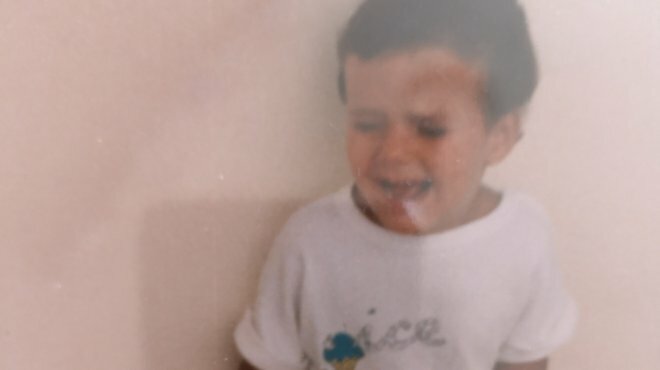 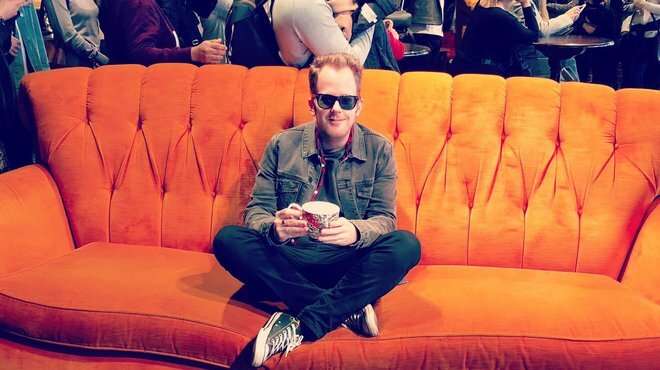 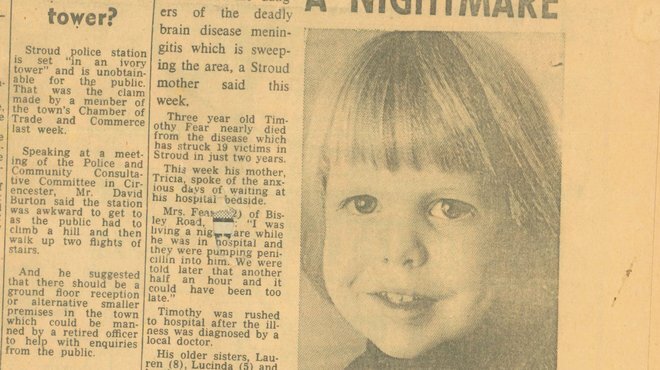 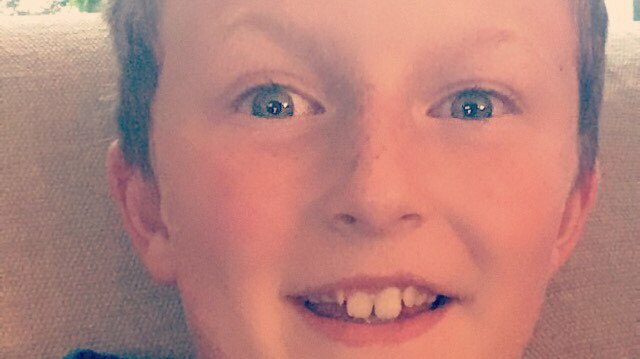 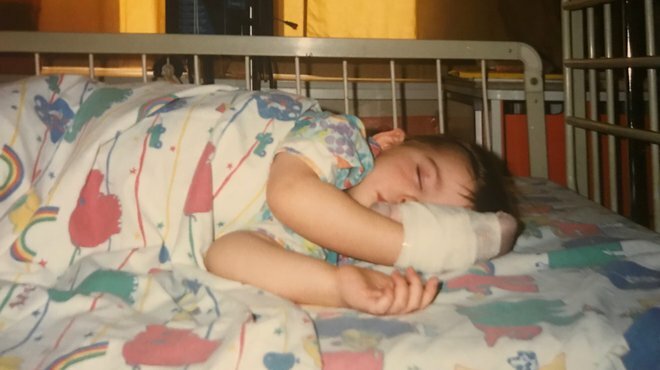 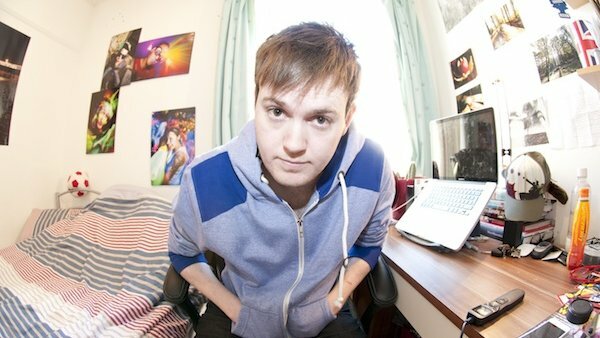 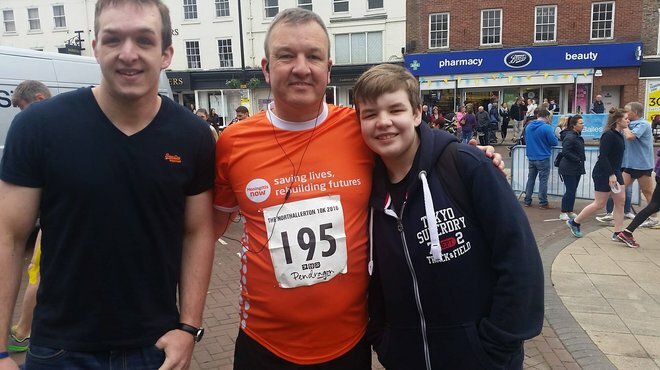 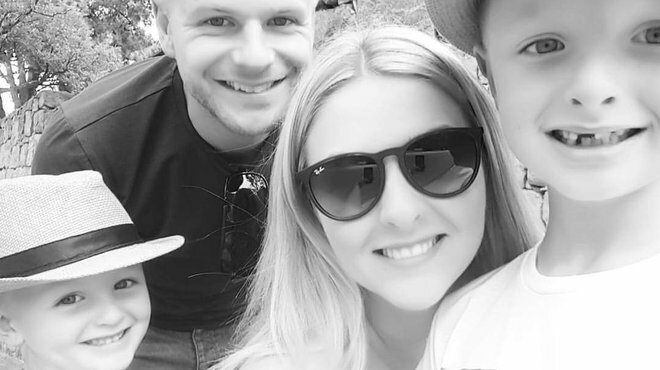 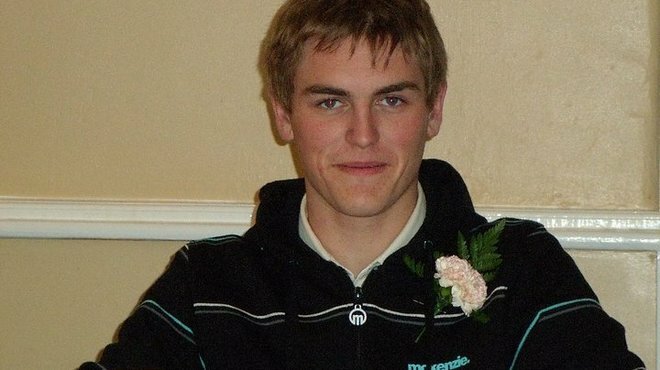 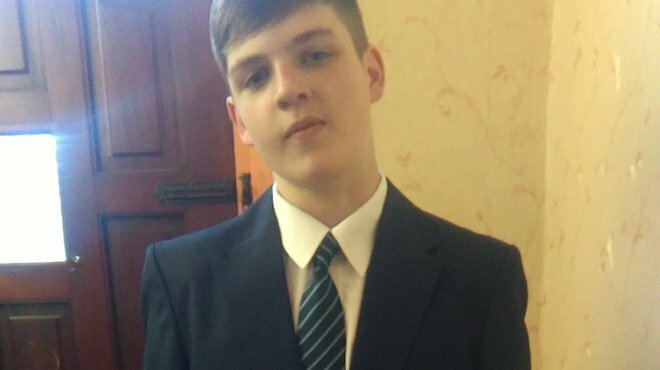 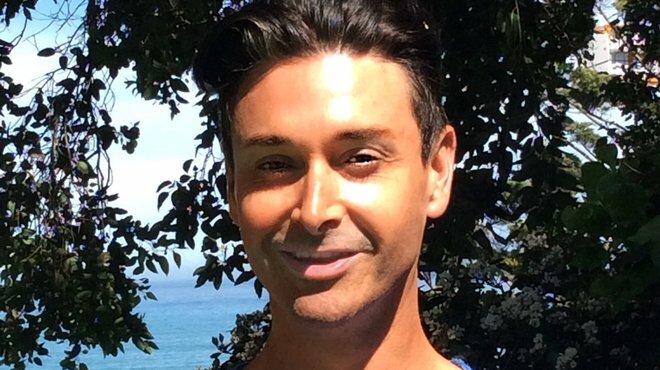 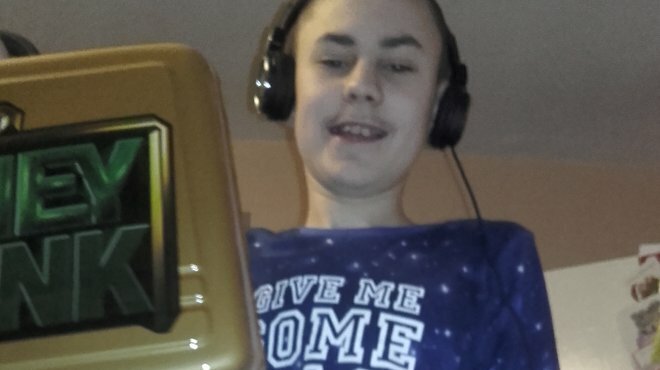 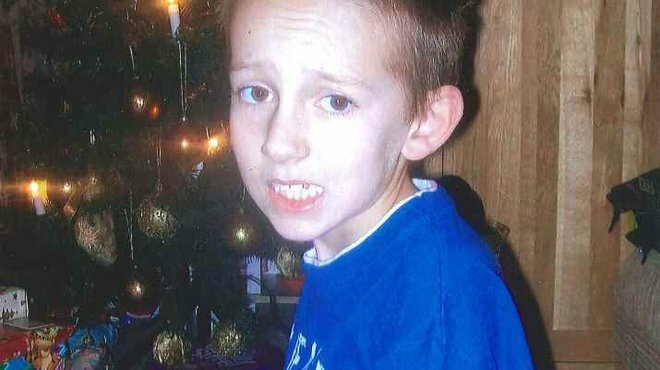 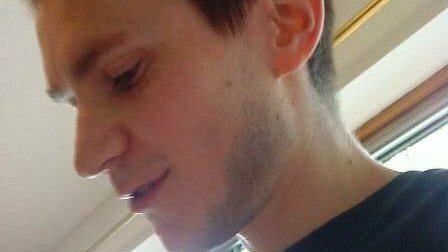 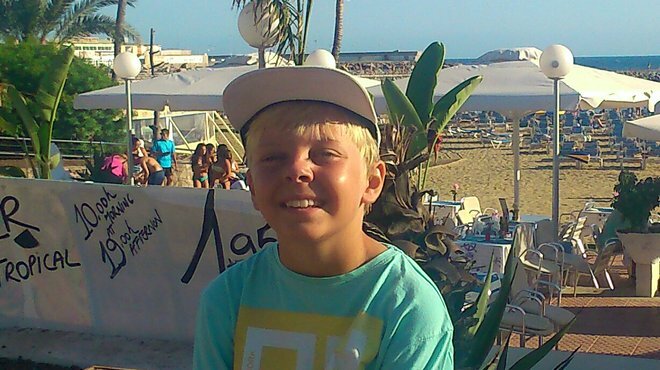 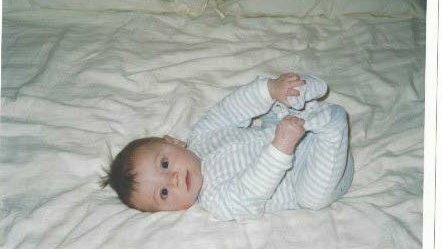 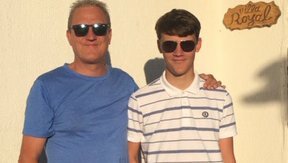 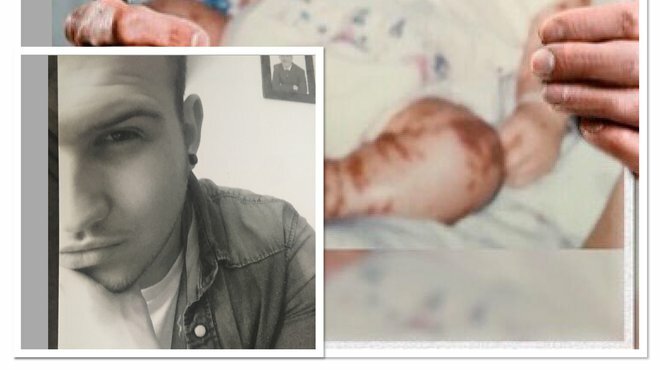 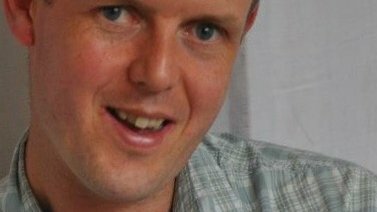 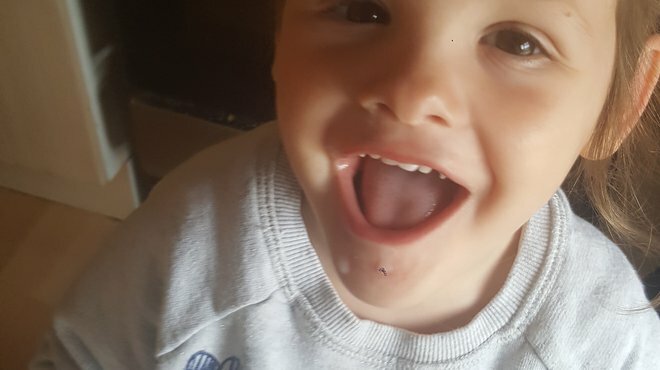 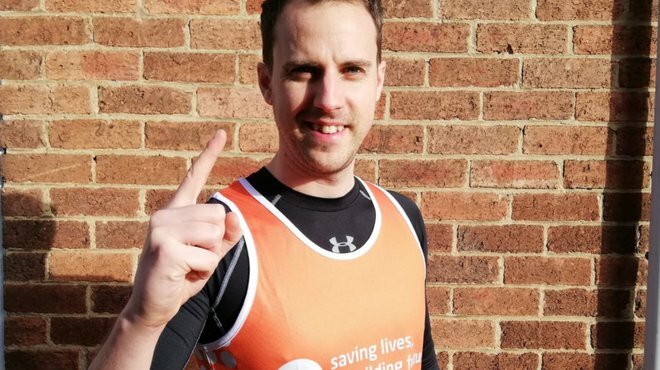 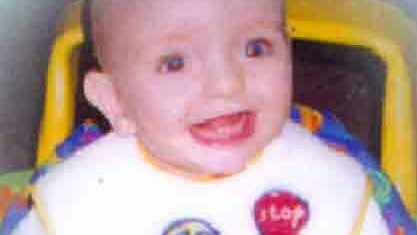 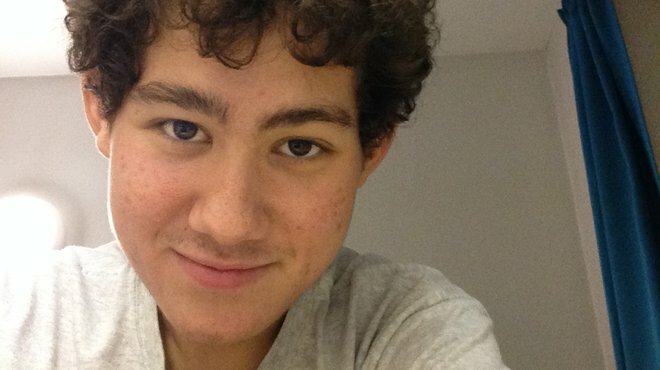 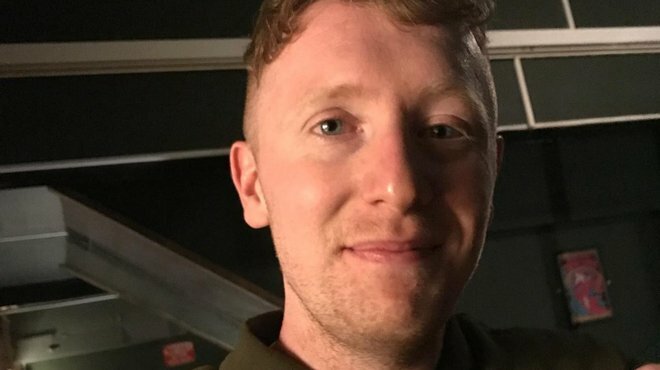 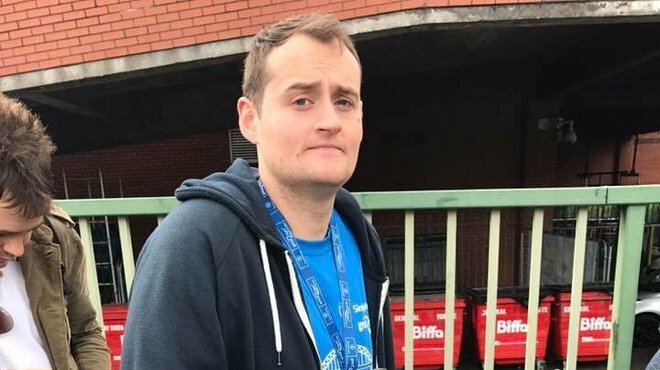 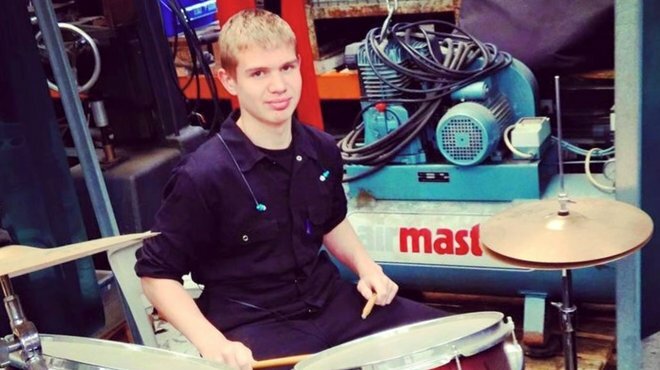 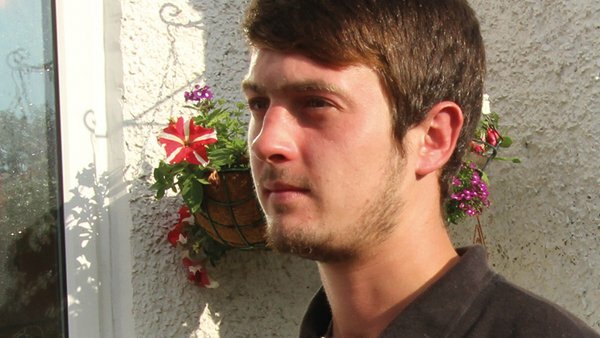 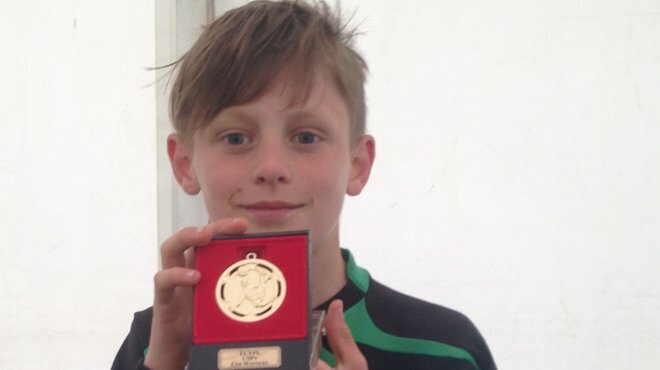 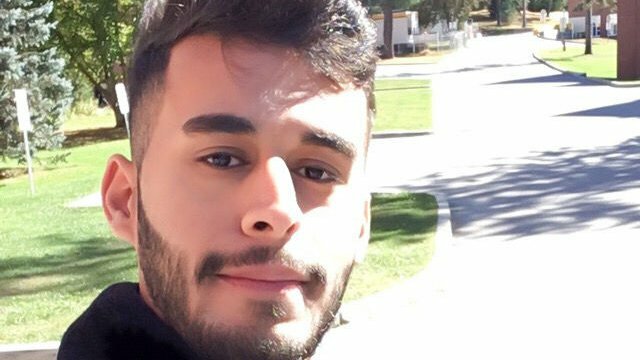 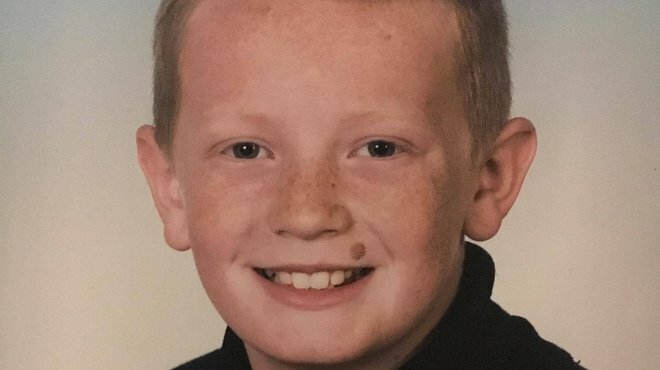 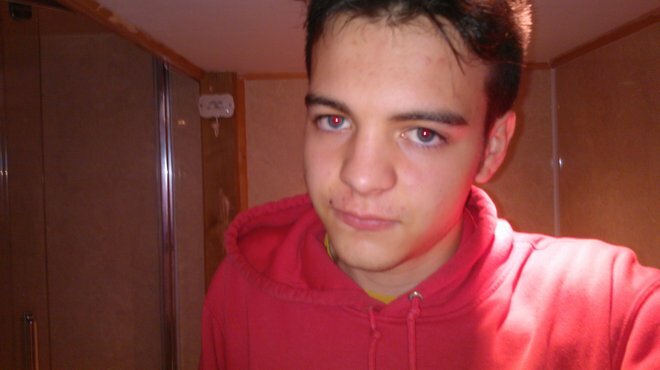 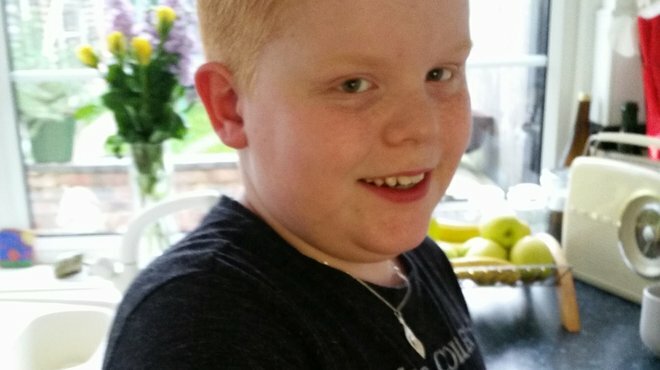 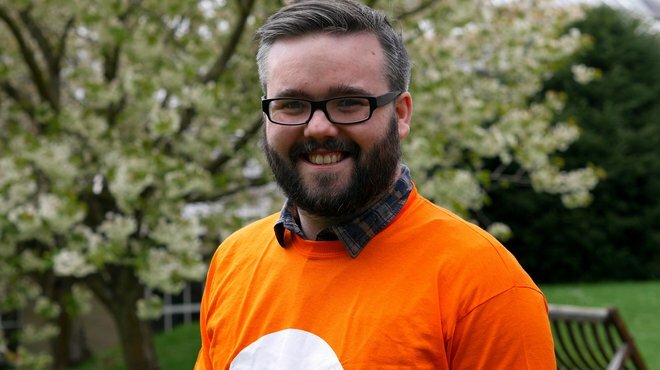 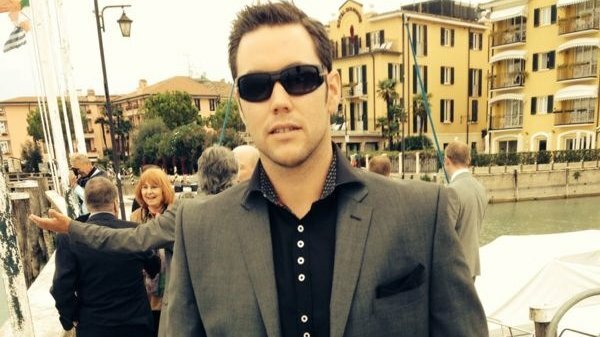 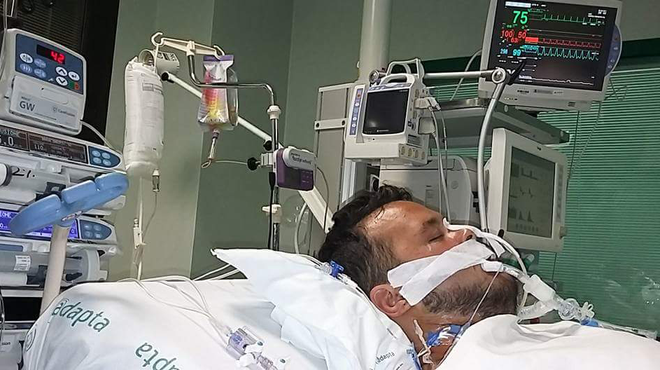 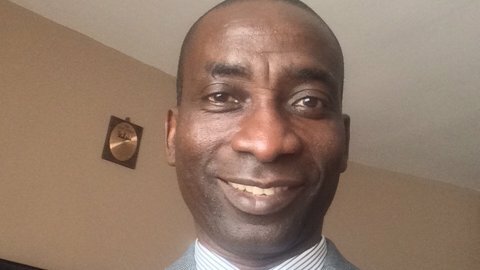 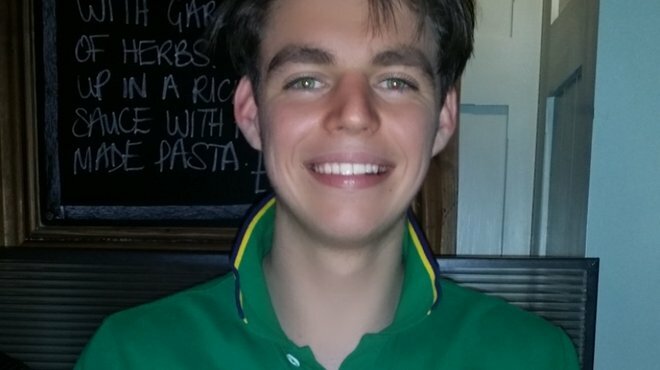 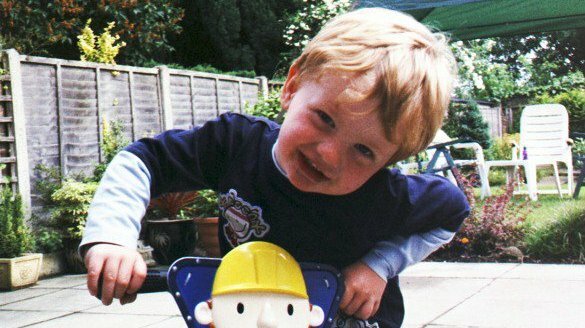 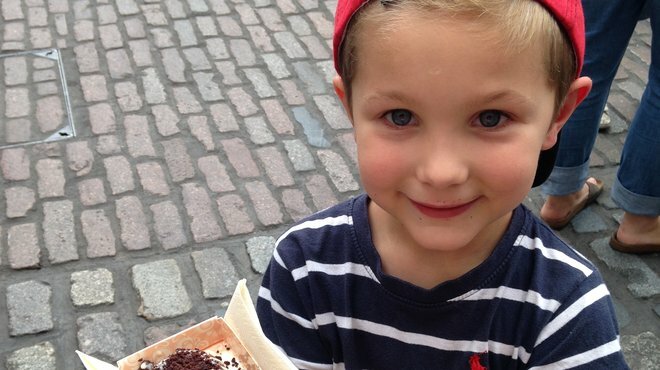 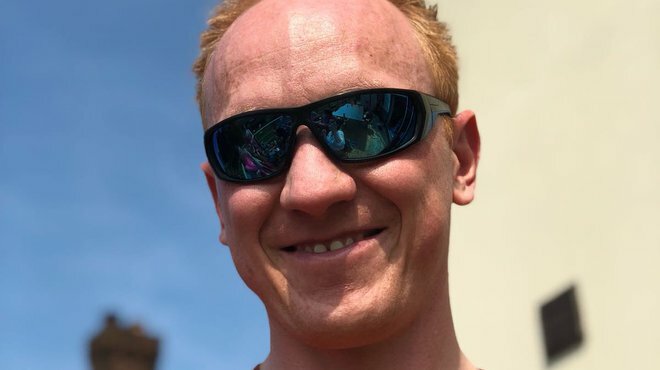 Meningitis can strike and kill quickly, Anthony tragically lost his life to meningococcal septicaemia the day after the first symptoms appeared. 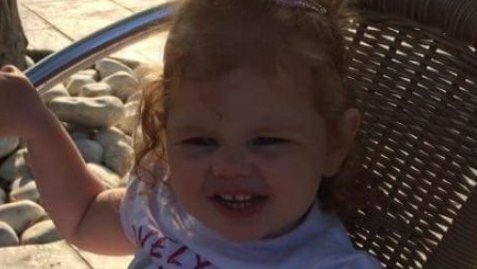 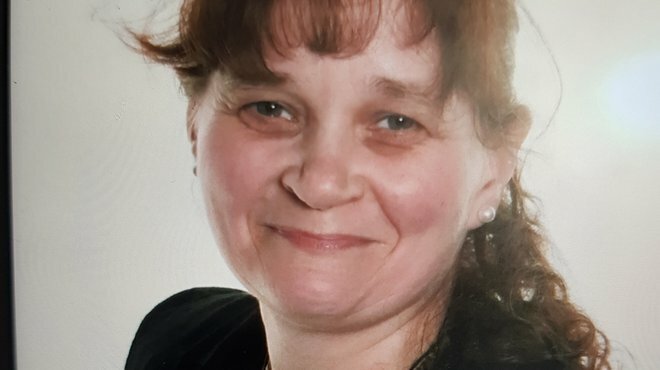 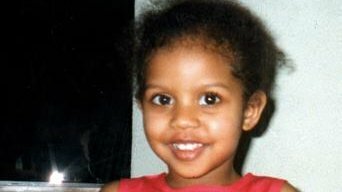 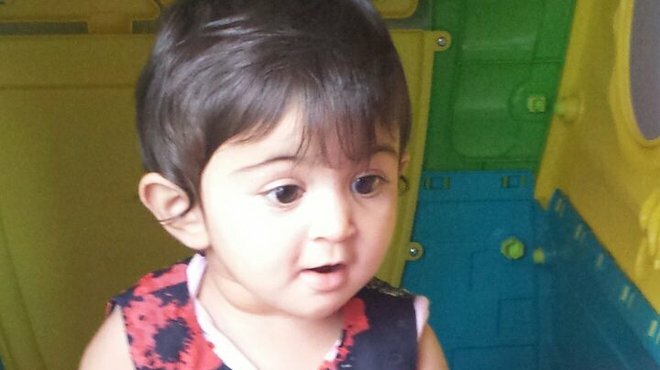 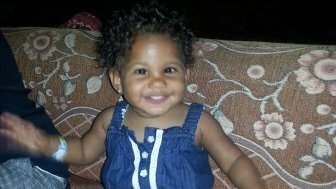 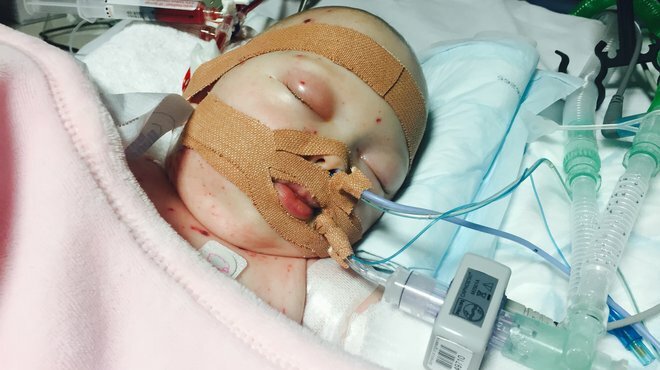 Carol tragically lost her three-year-old daughter Akira to meningitis within 24-hours of the signs and symptoms appearing. 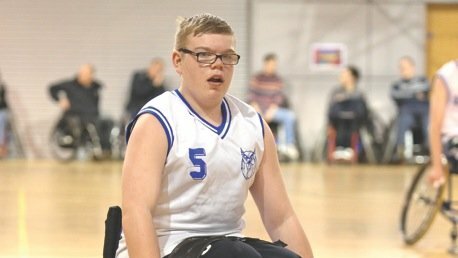 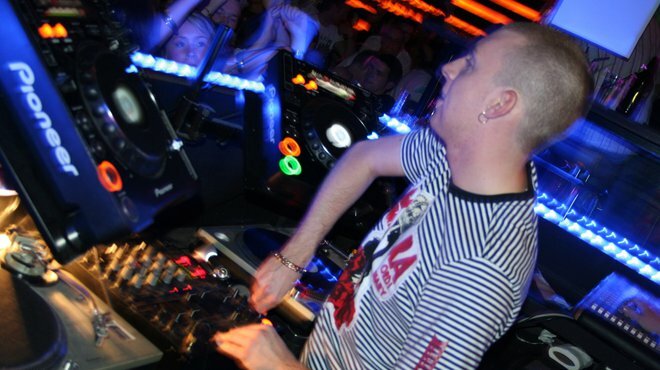 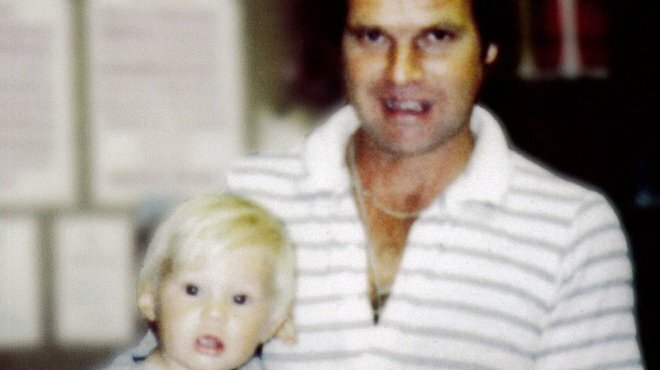 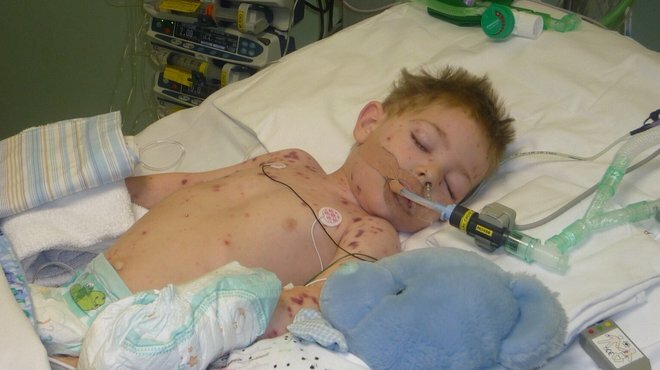 Barry contracted Meningococcal meningitis in 2008. 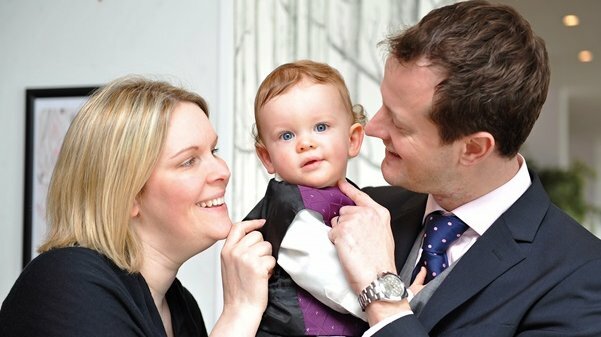 Sadly, he passed away just weeks before he was due to get married. 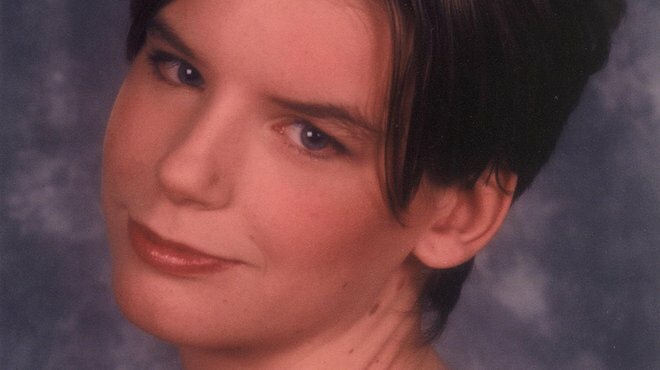 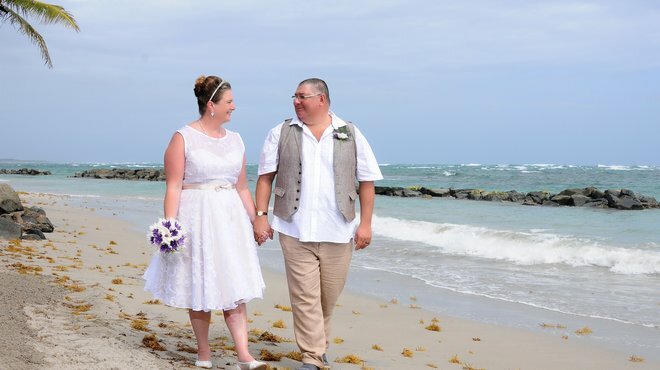 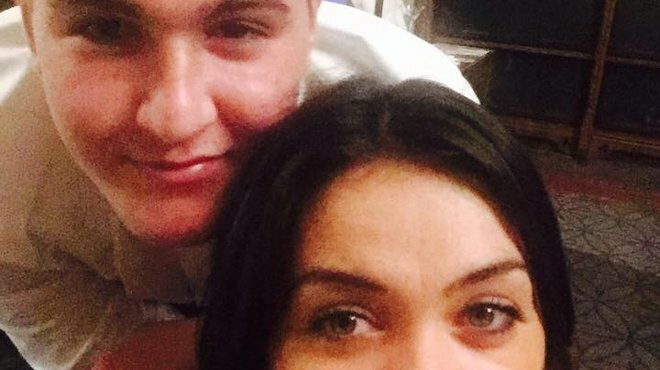 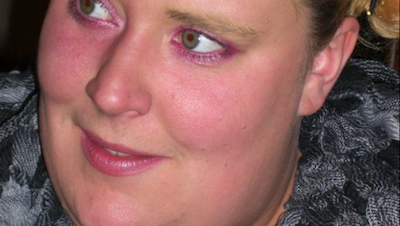 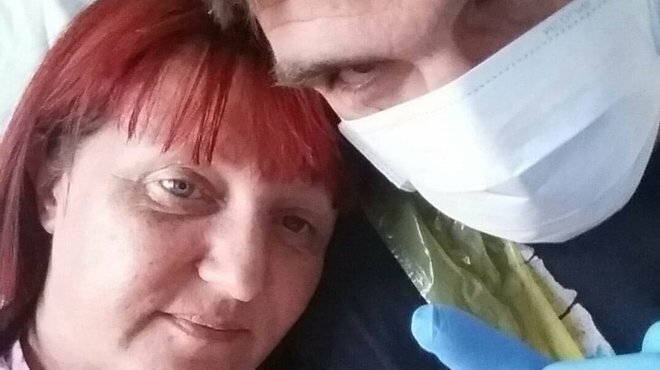 Sheryl tragically lost her partner Stephen last year after he contracted meningococcal meningitis. 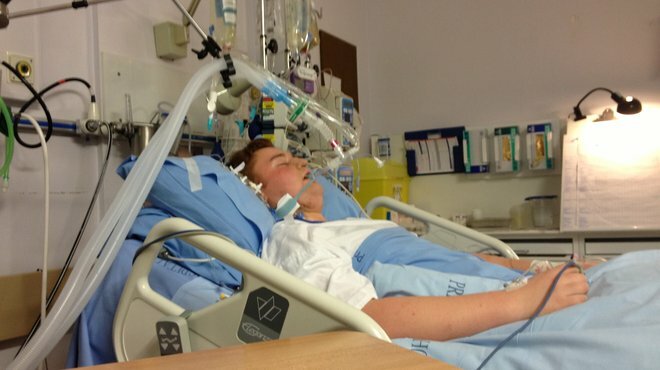 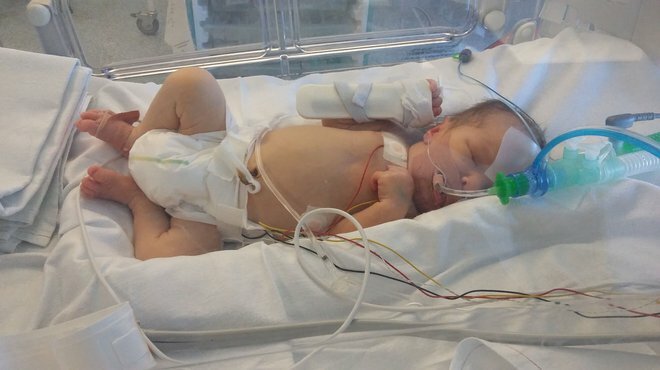 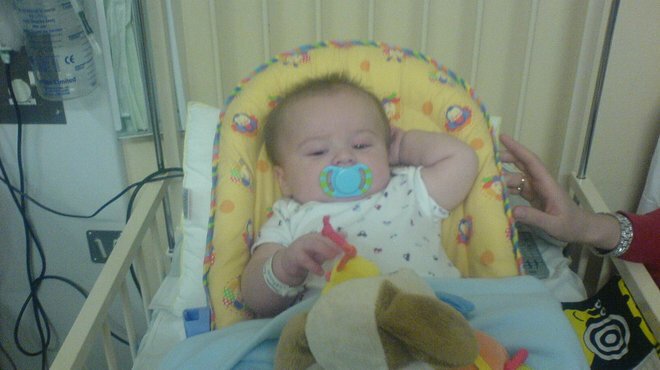 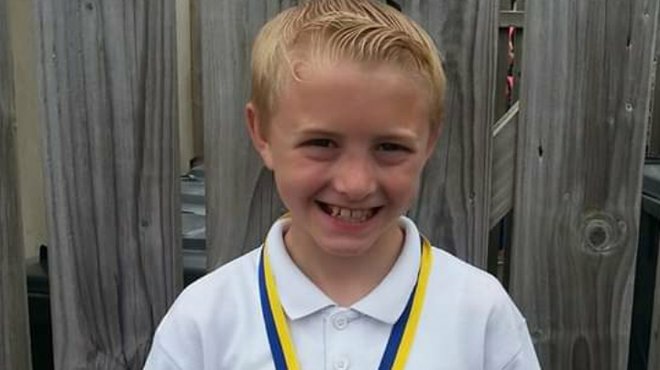 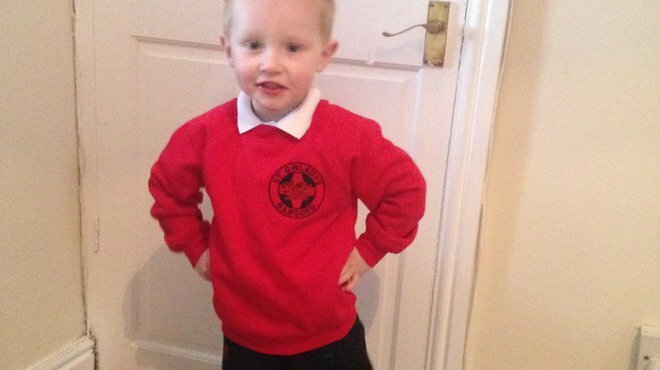 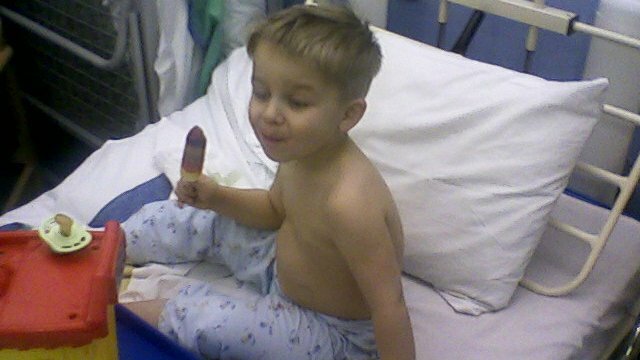 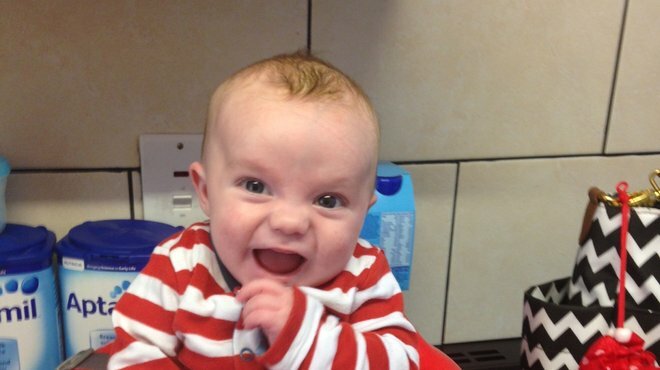 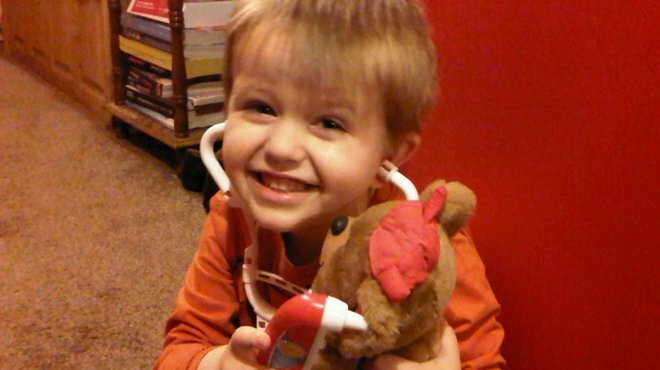 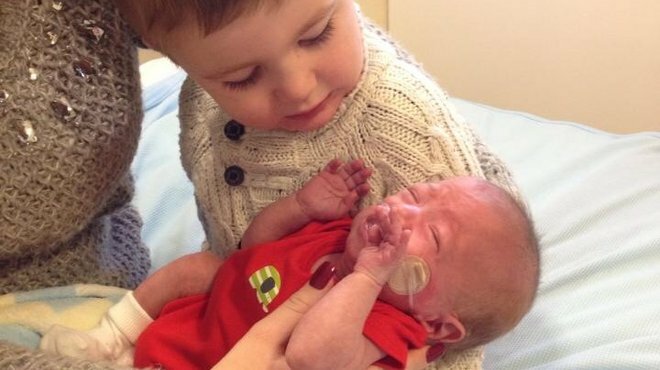 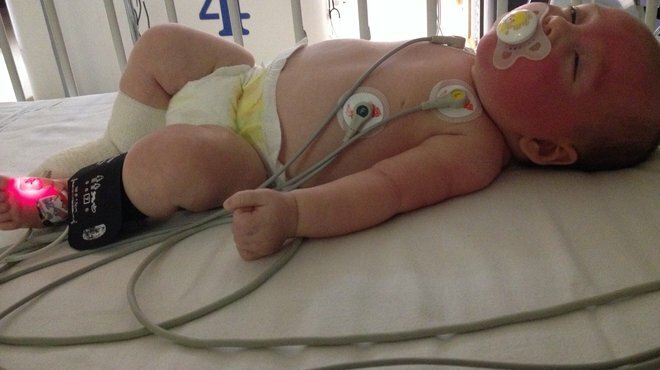 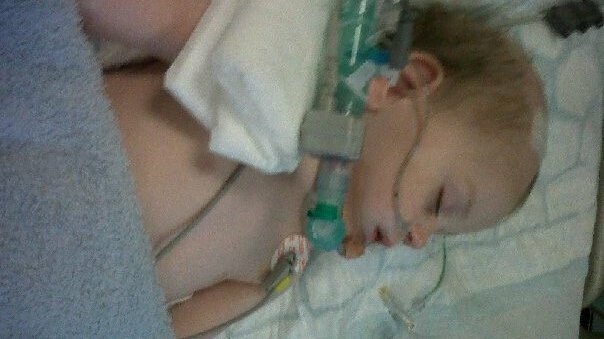 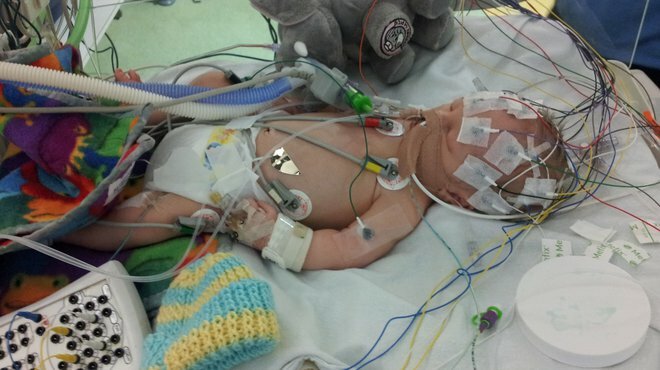 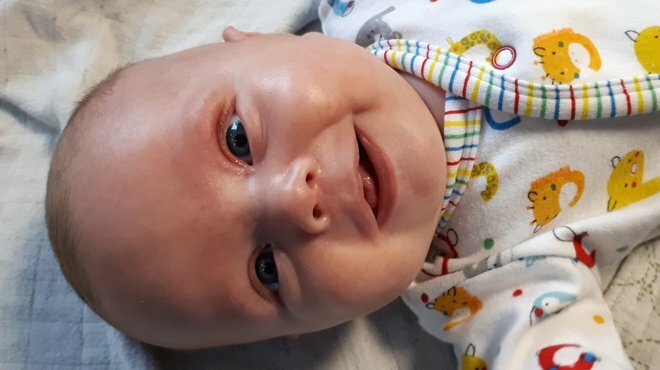 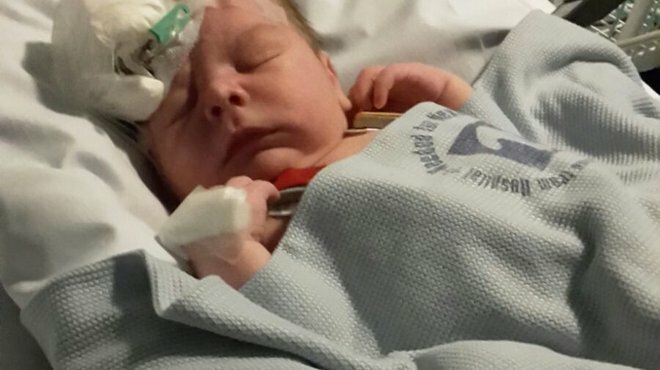 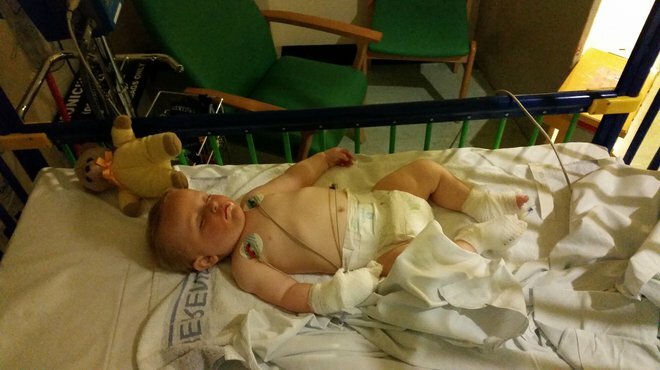 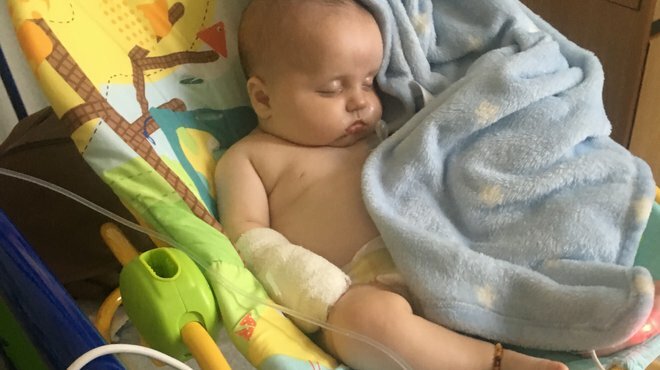 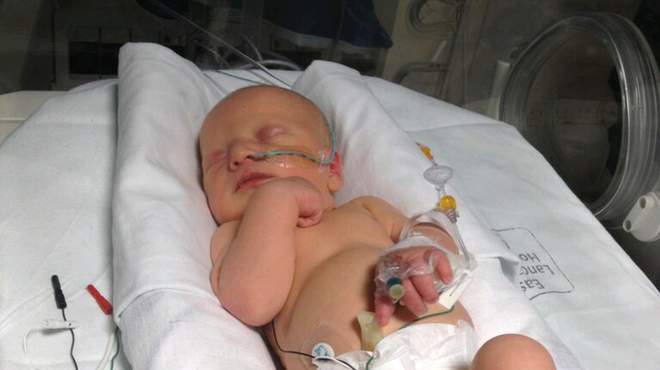 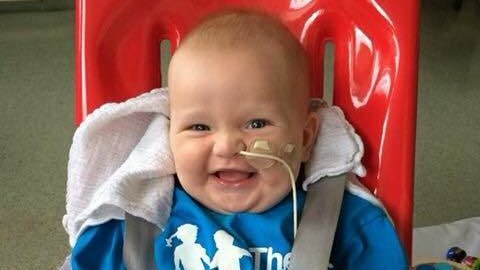 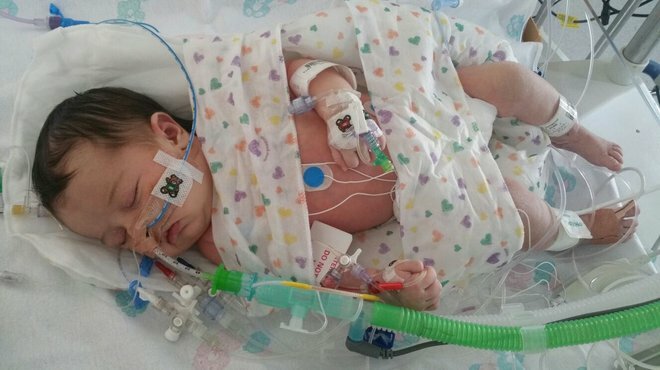 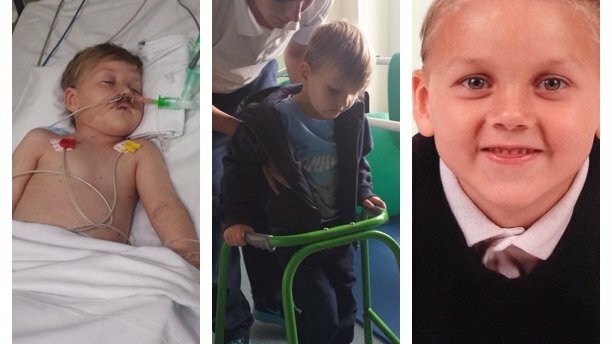 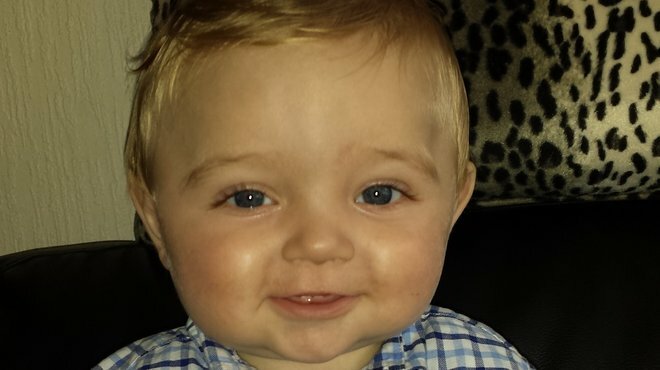 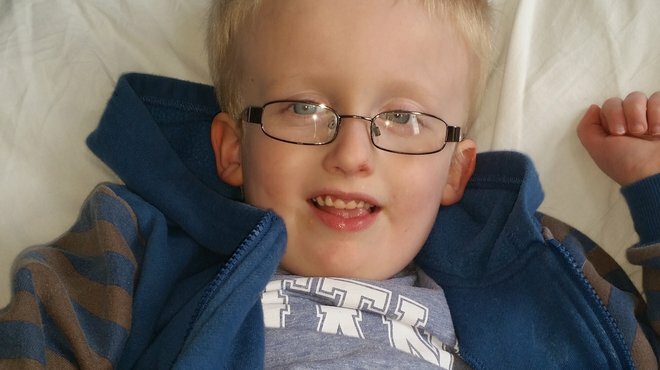 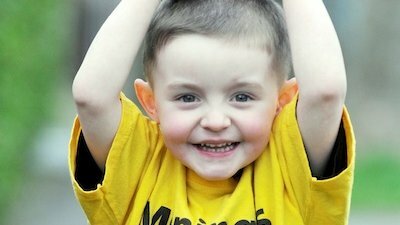 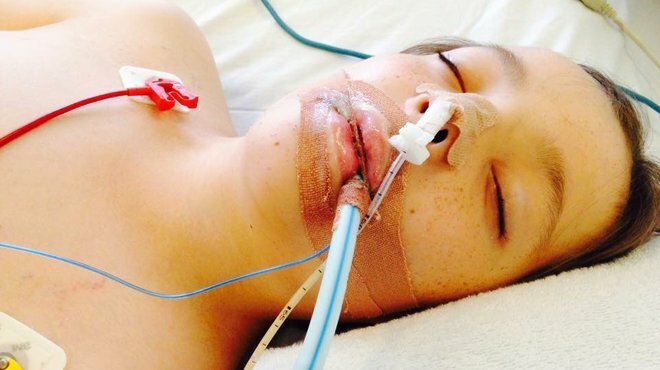 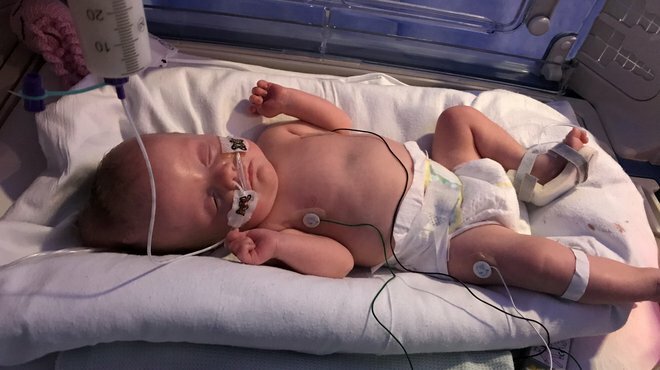 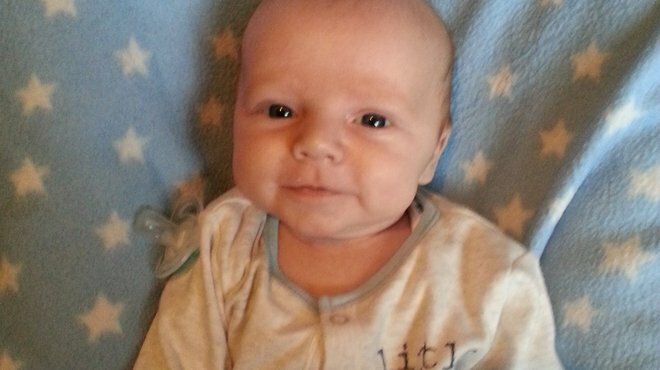 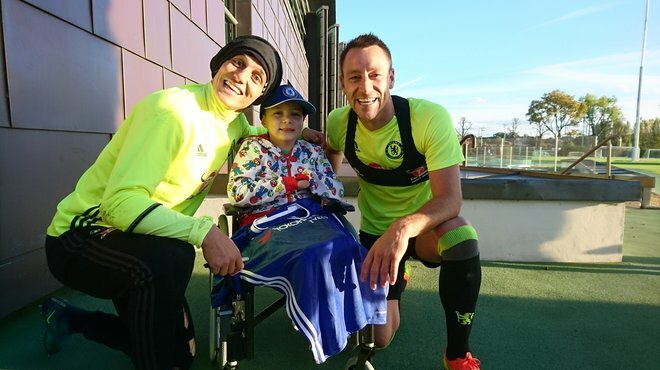 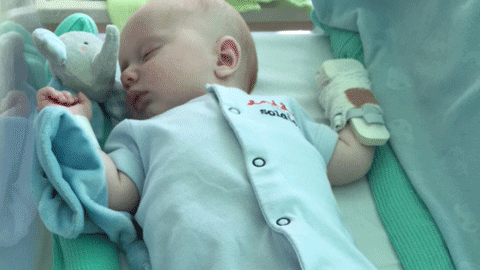 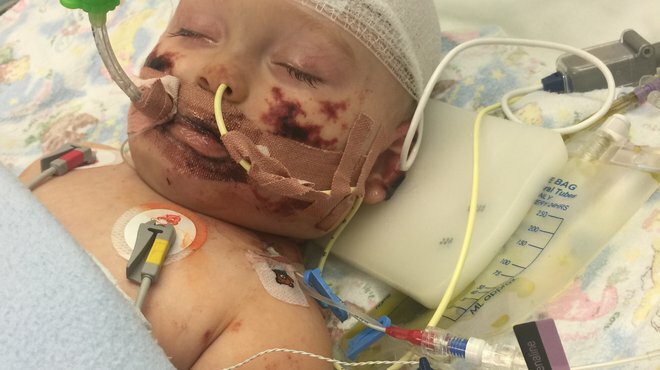 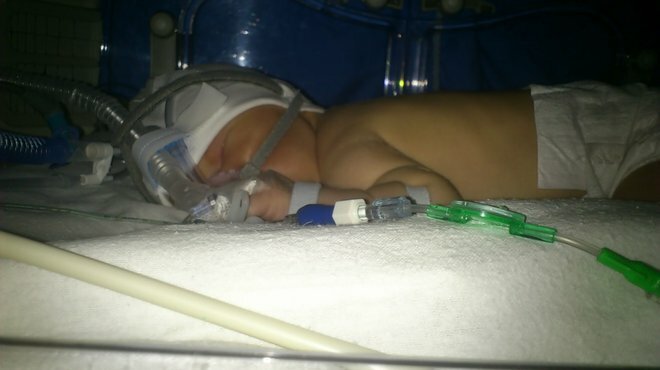 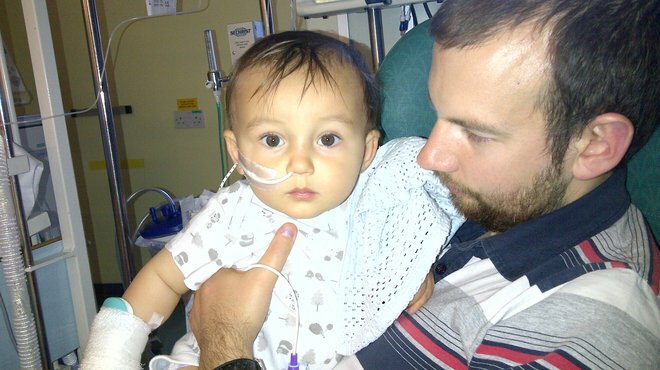 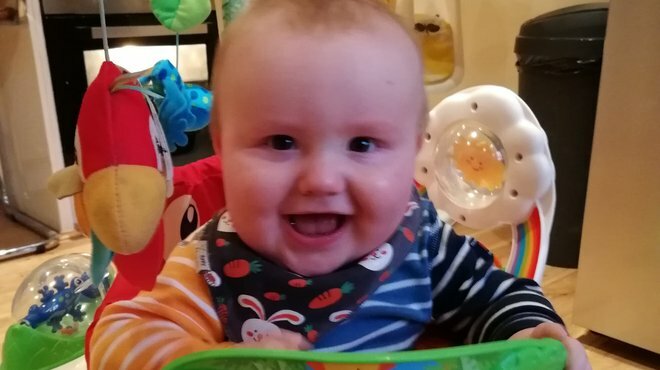 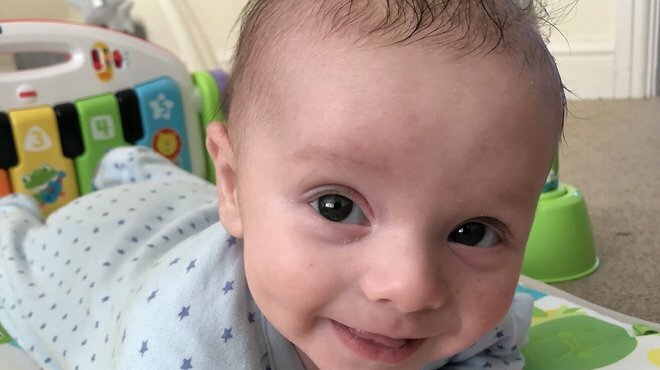 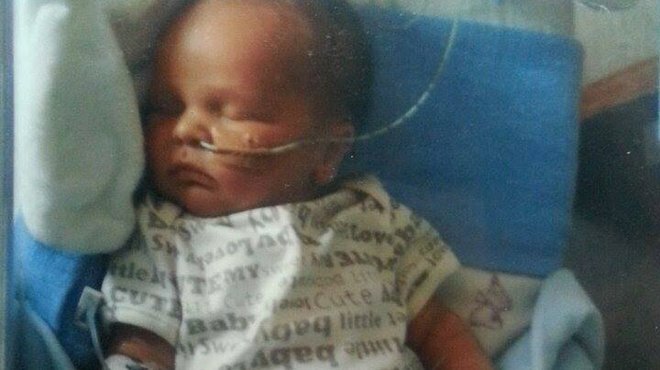 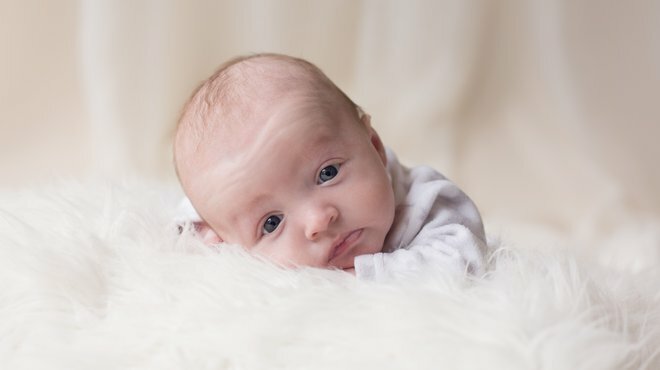 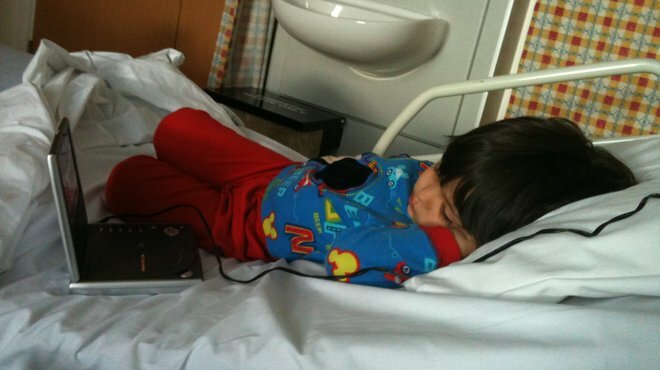 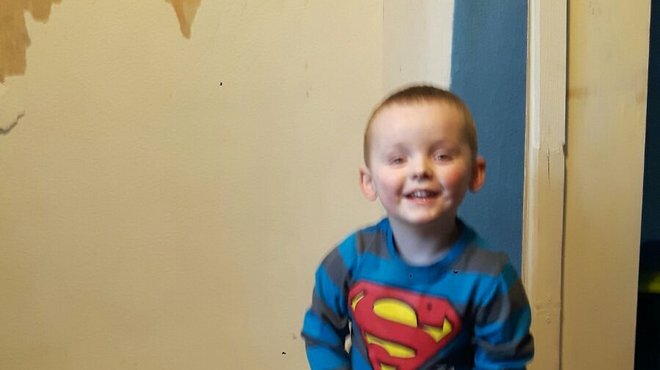 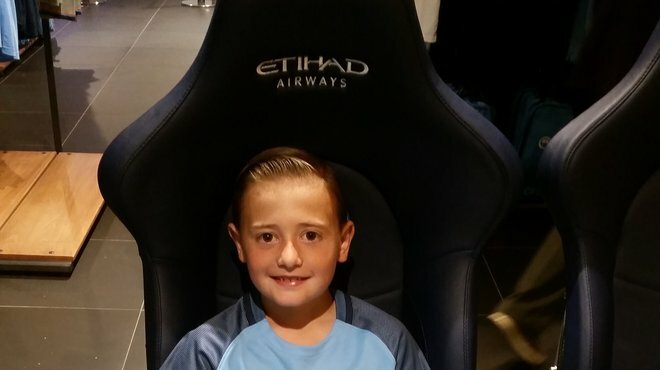 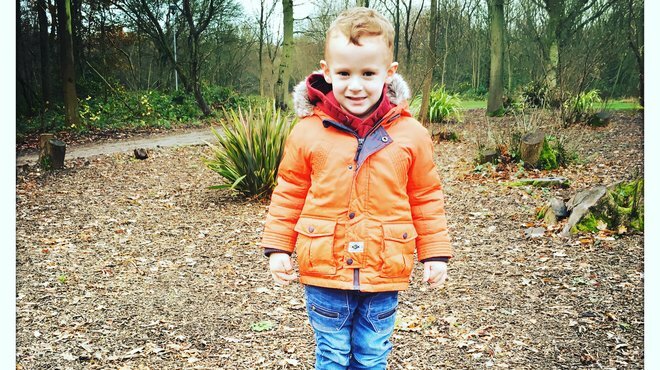 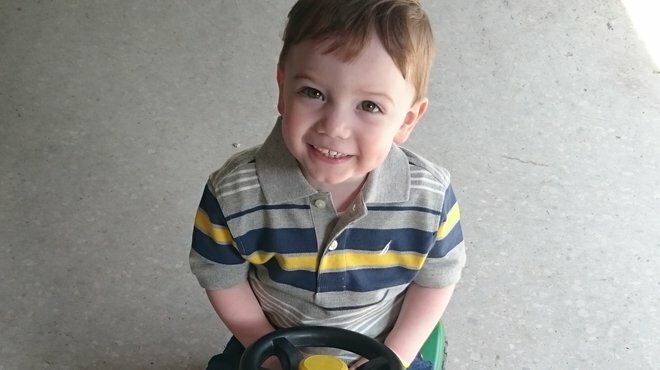 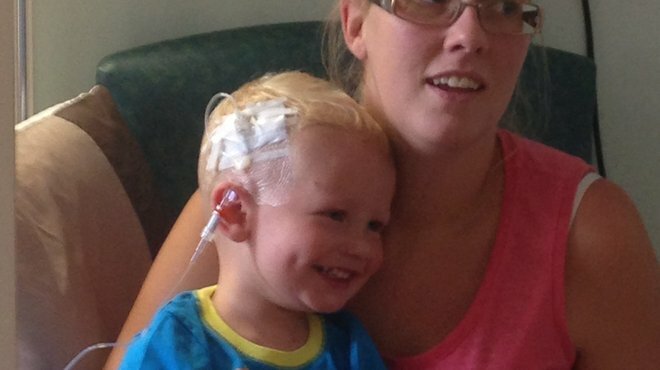 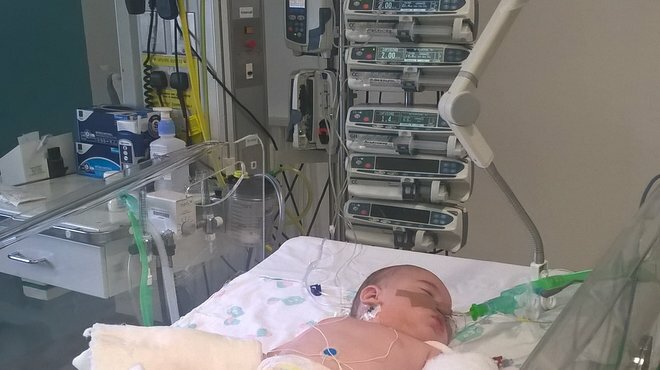 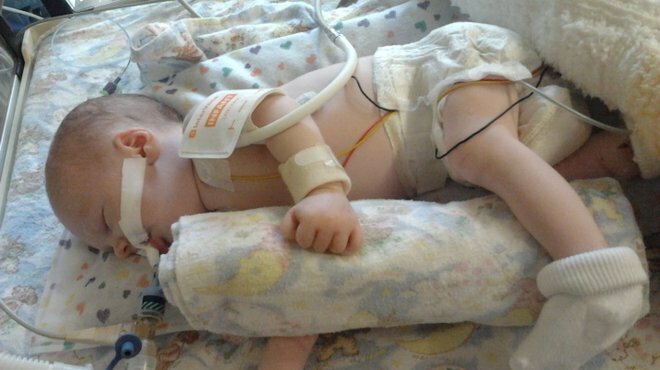 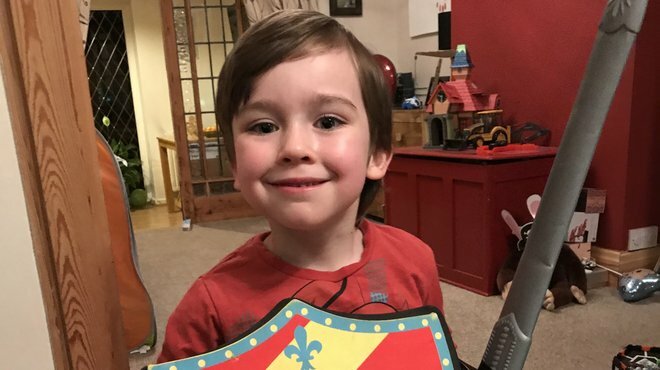 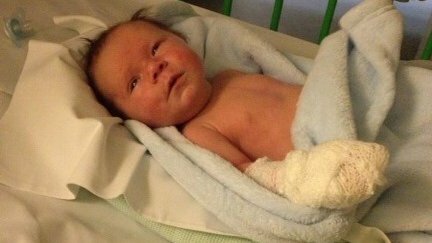 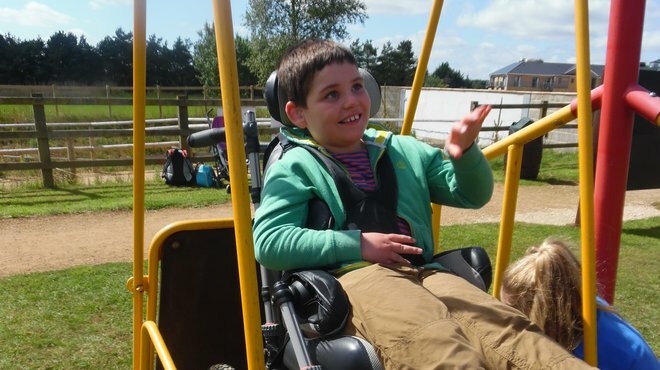 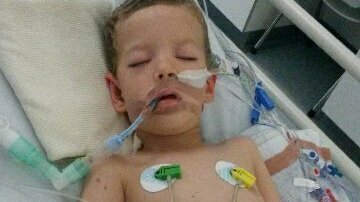 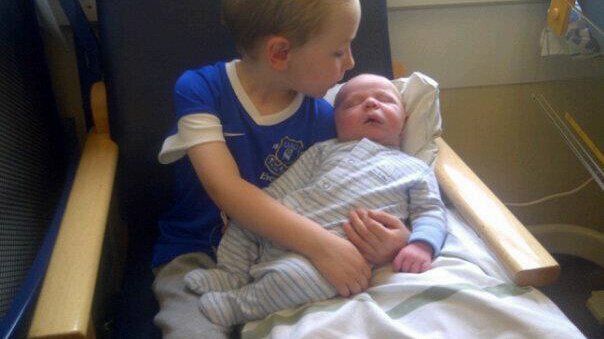 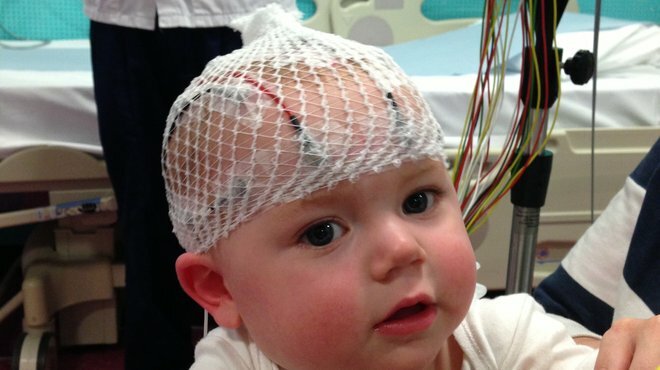 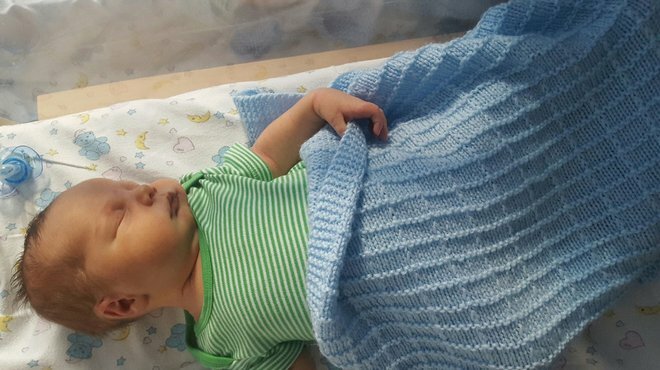 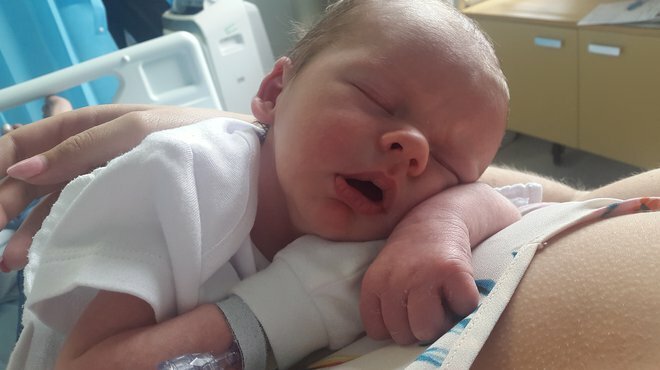 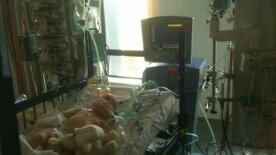 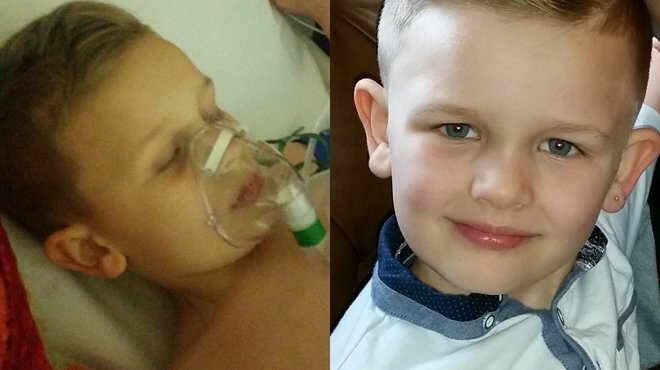 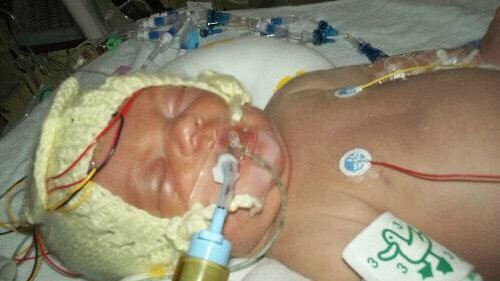 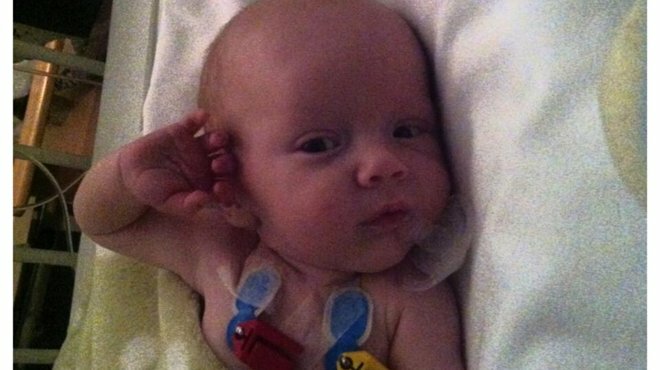 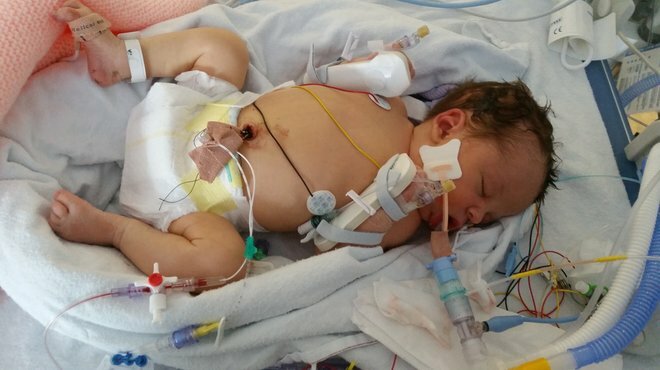 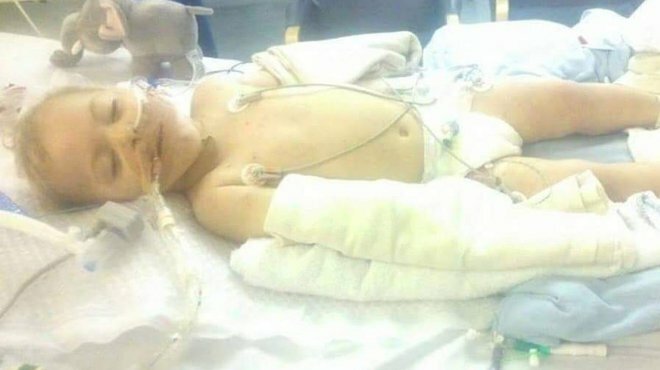 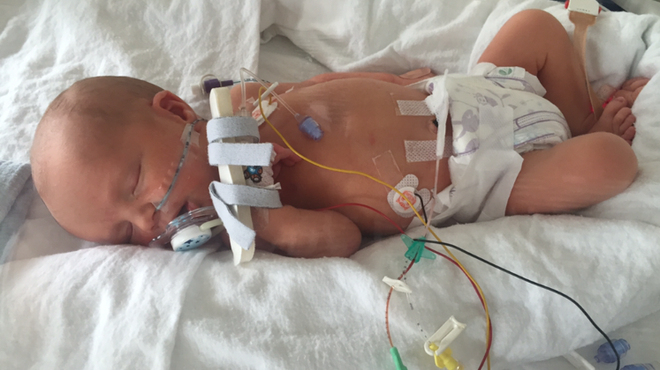 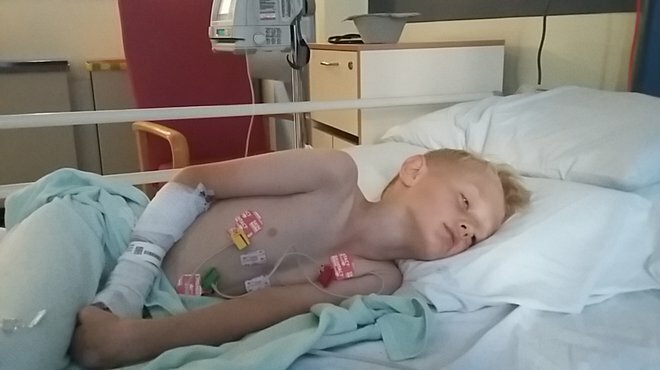 Ethan had viral meningitis that had attacked his heart muscle, therefore his heart was unable to work properly. 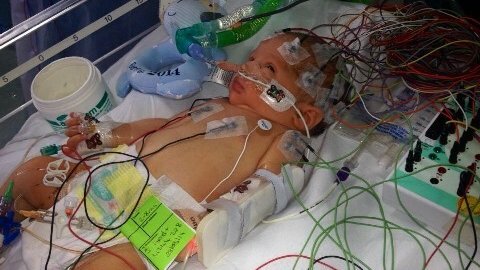 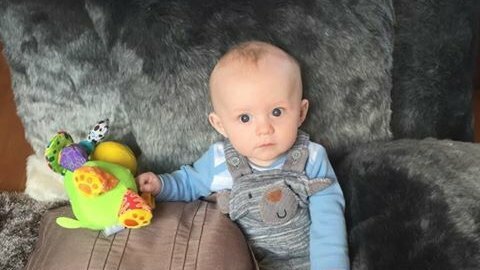 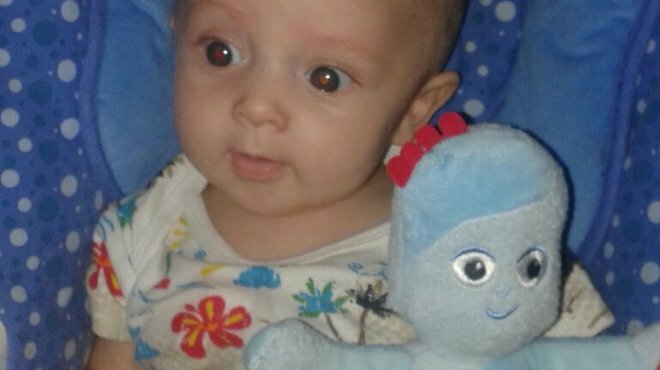 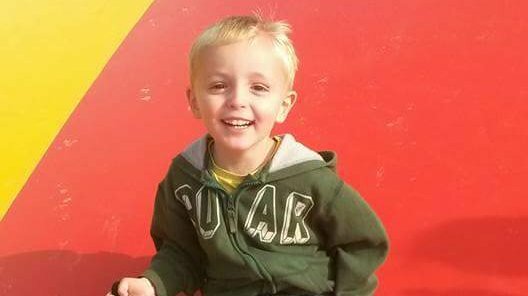 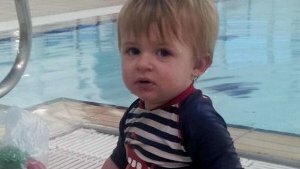 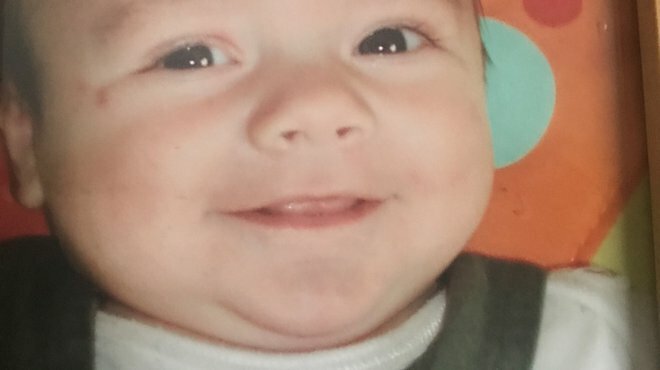 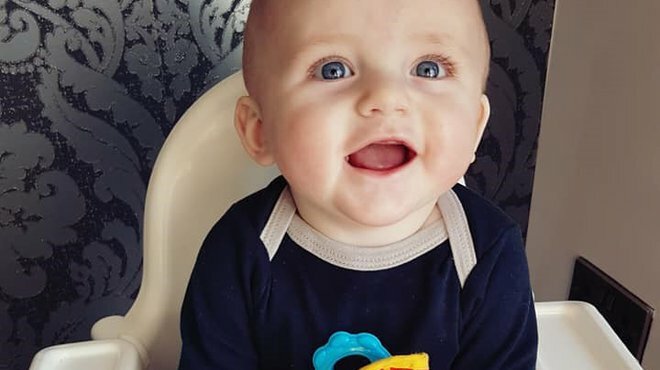 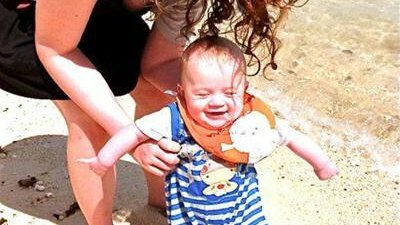 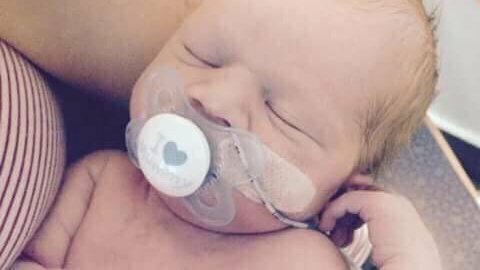 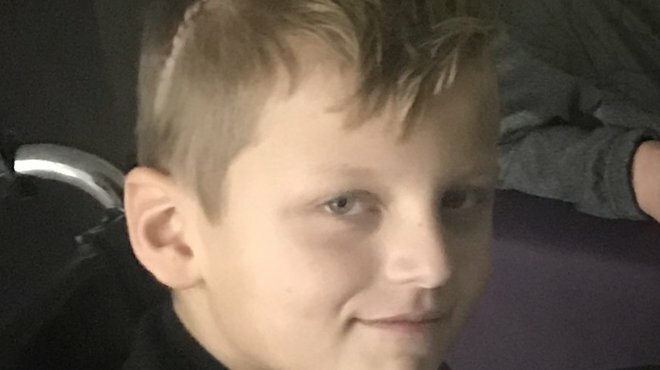 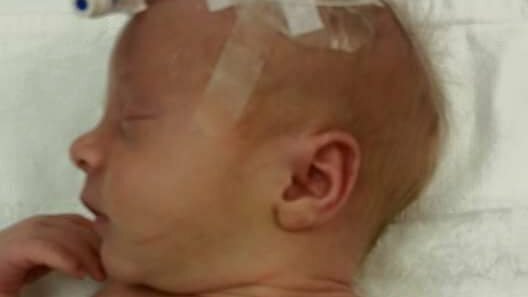 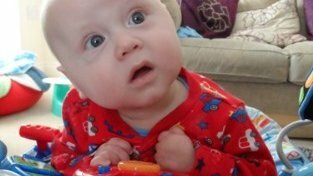 Results came back to show Luke had ecoli meningitis in his brain and spinal fluid, which caused his body to be rife with infection. 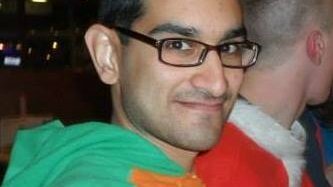 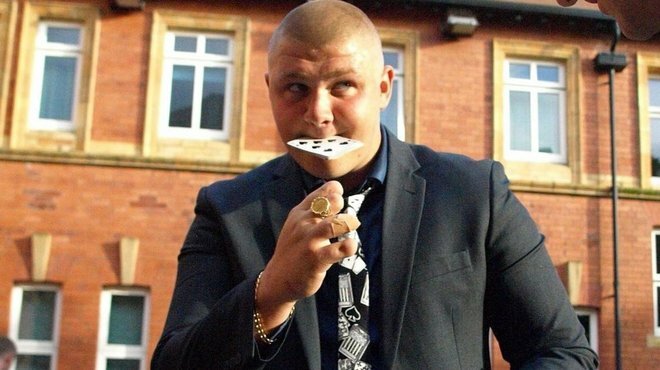 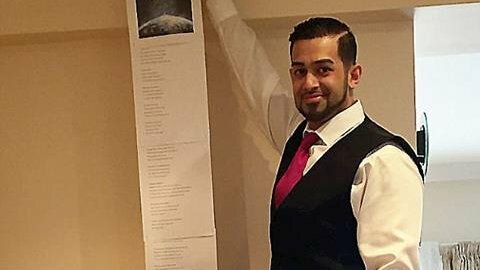 34 year old Rajinder beat meningitis to become a record-breaking poet! 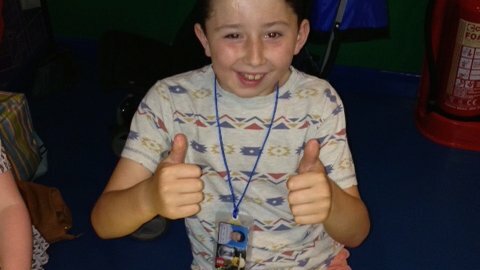 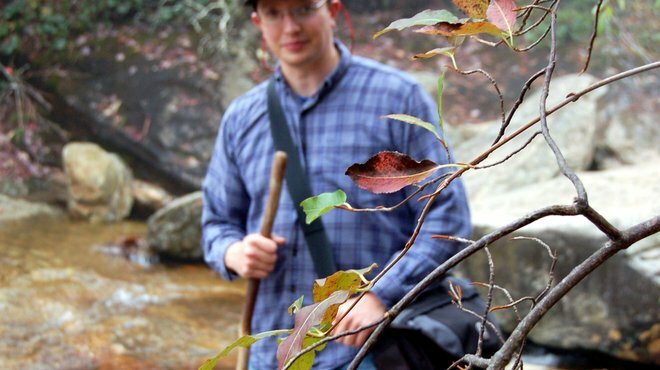 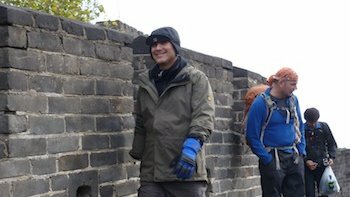 Here he tells us about his experience. 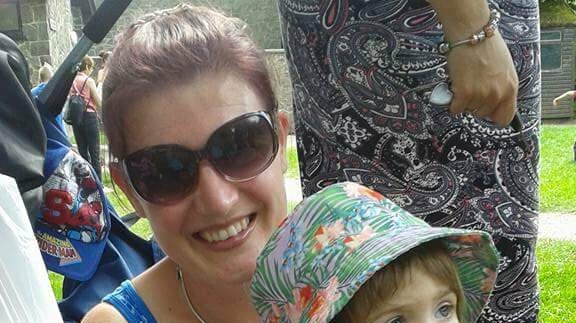 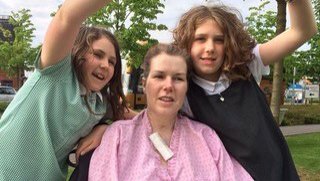 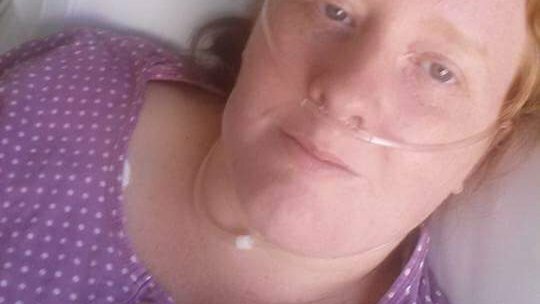 43 year old mum of one Linsay from Edinburgh, contracted meningitis last year. 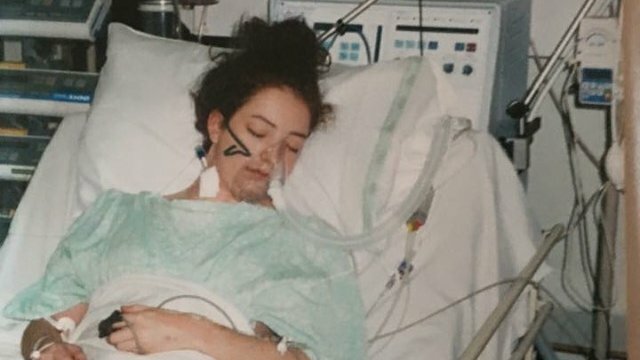 Here she recalls what happened and how she is learning to live with the after effects of meningitis. 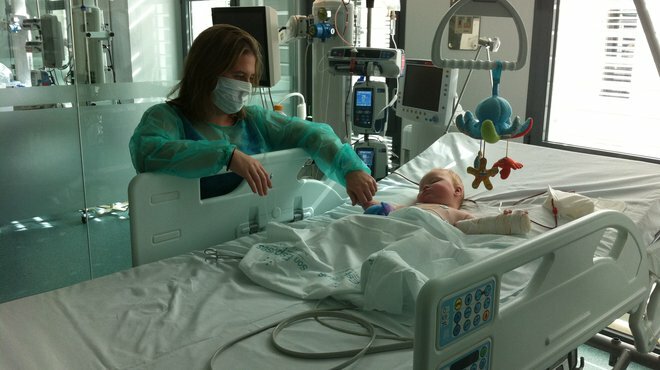 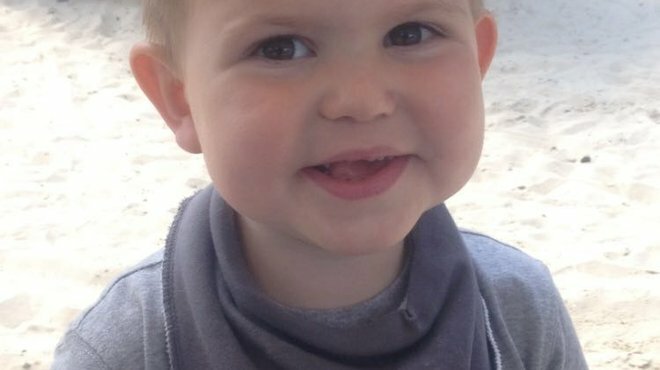 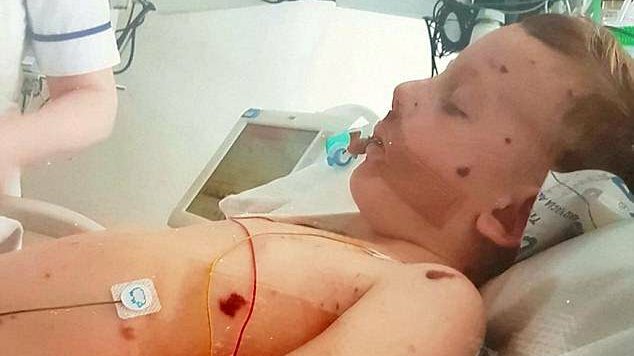 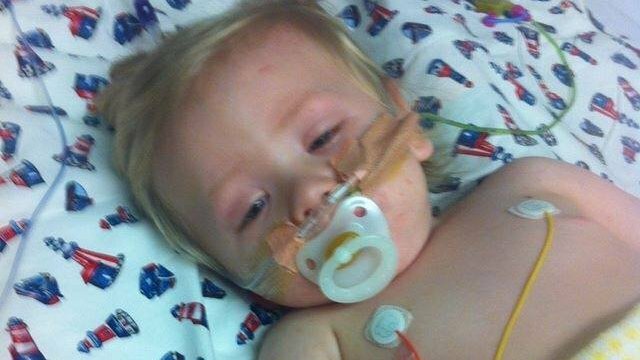 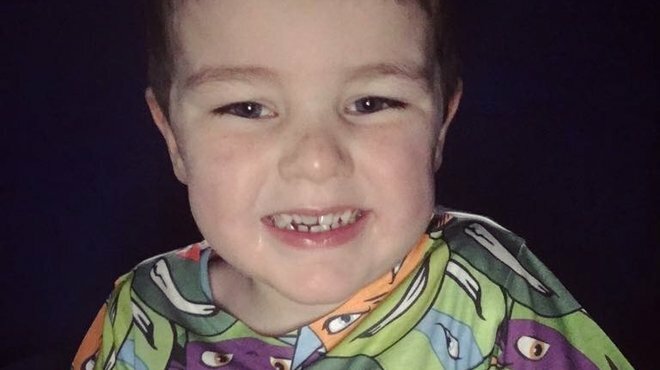 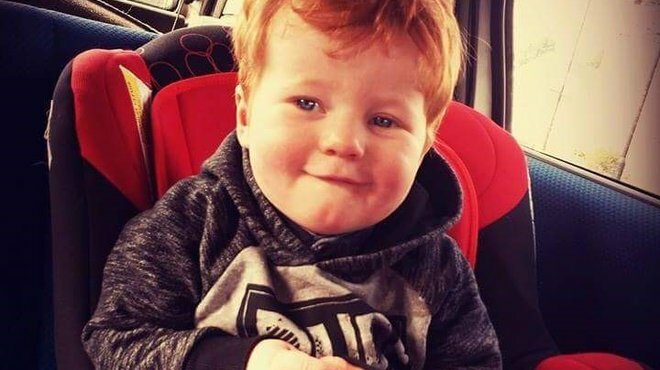 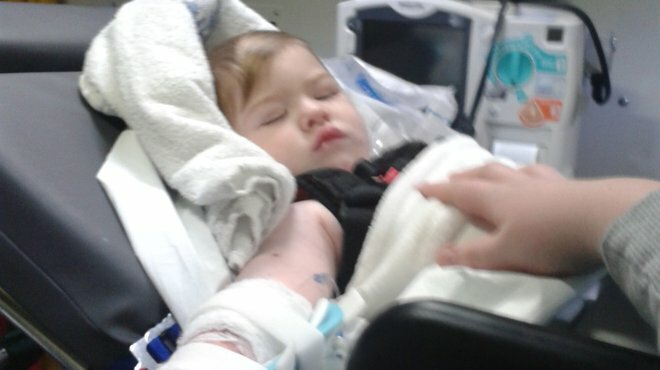 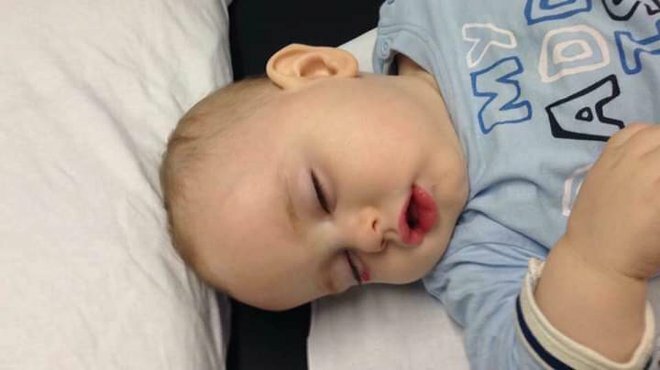 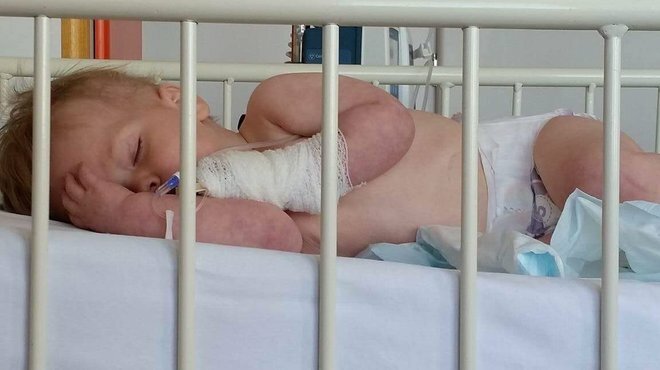 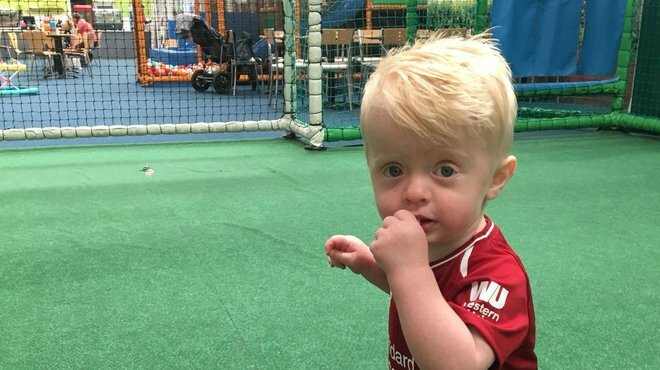 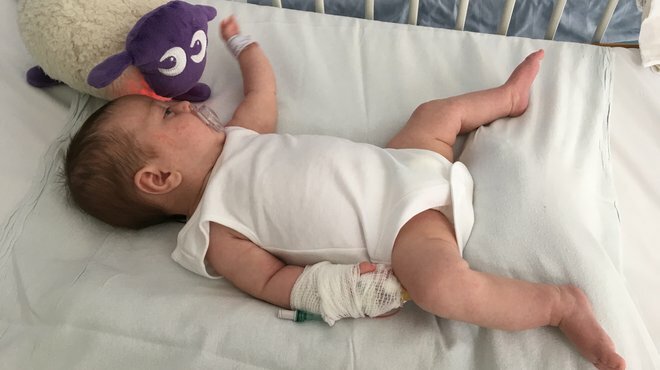 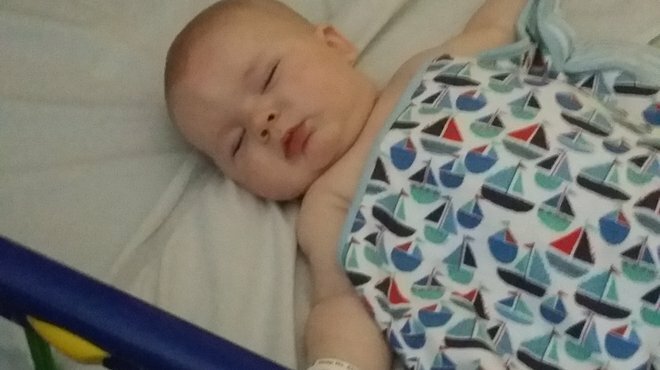 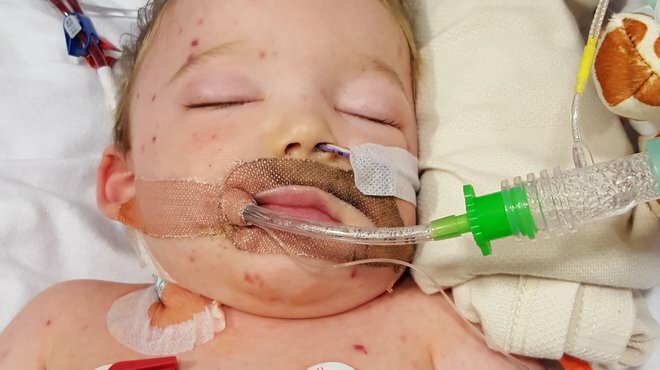 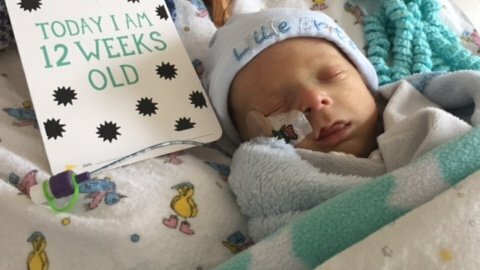 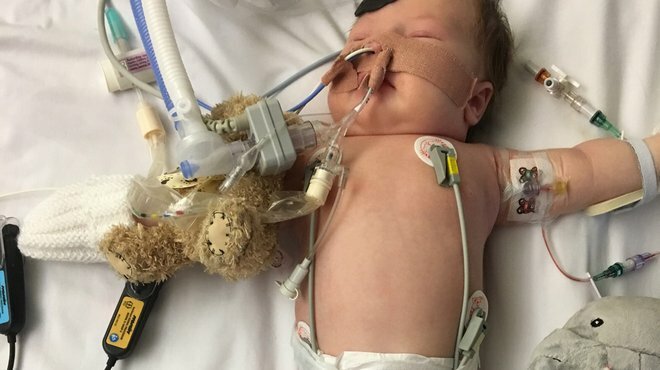 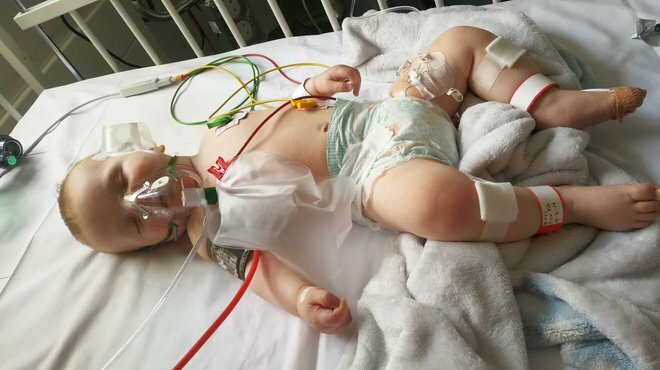 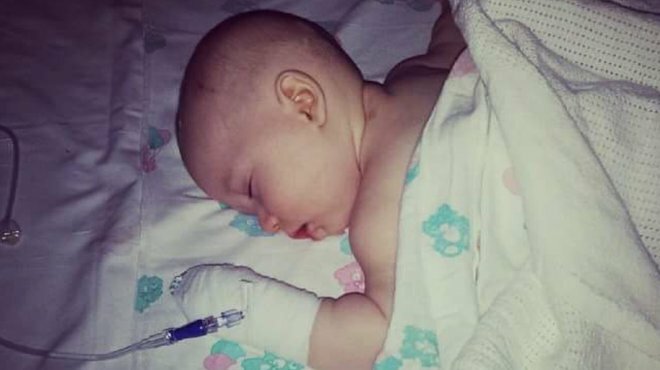 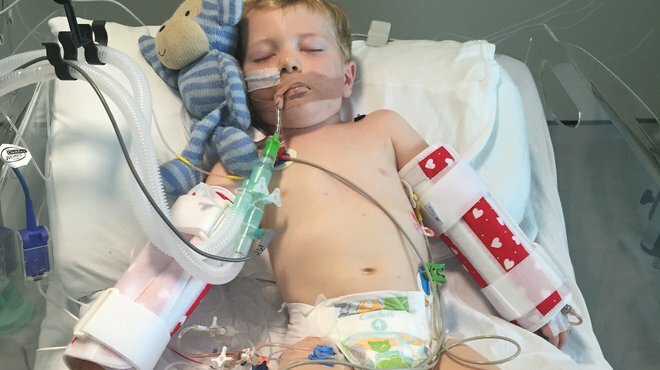 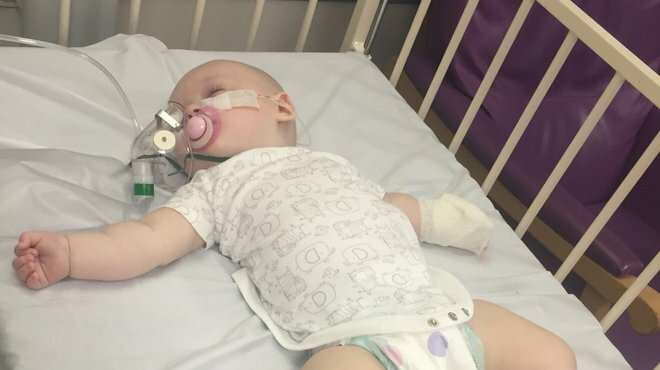 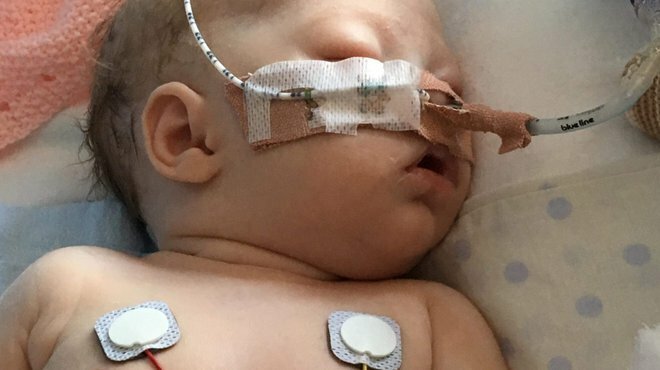 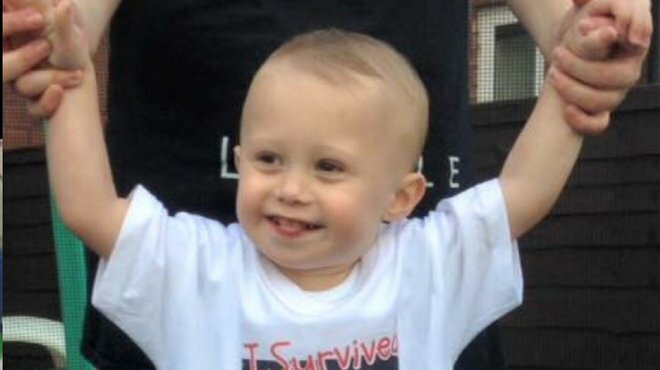 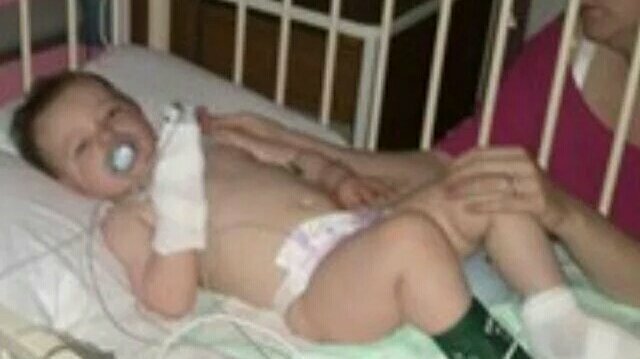 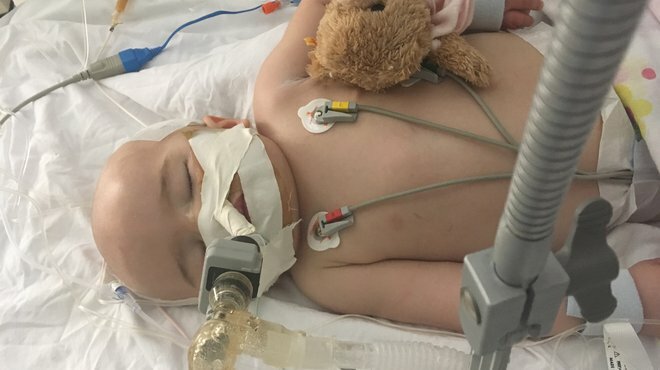 Meningitis had already taken hold of the dinosaur-loving Henry and his parents had to face the awful decision to turn his ventilator off. 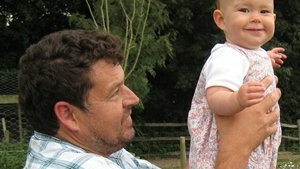 Dad Mark tells their story. 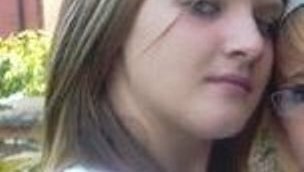 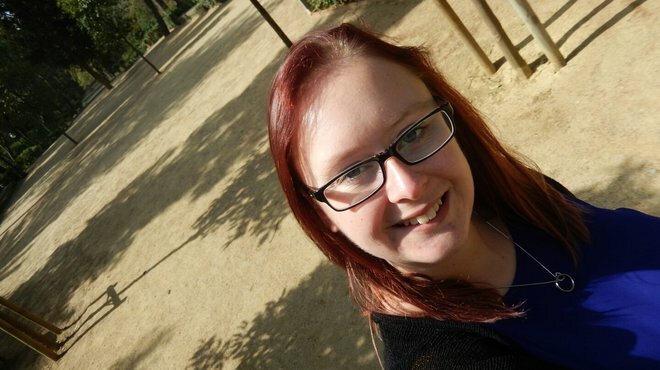 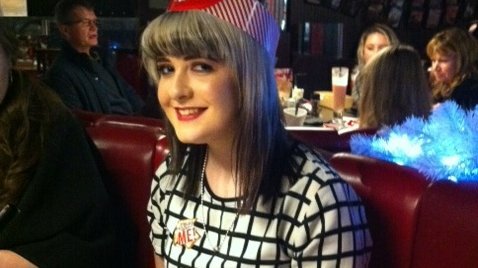 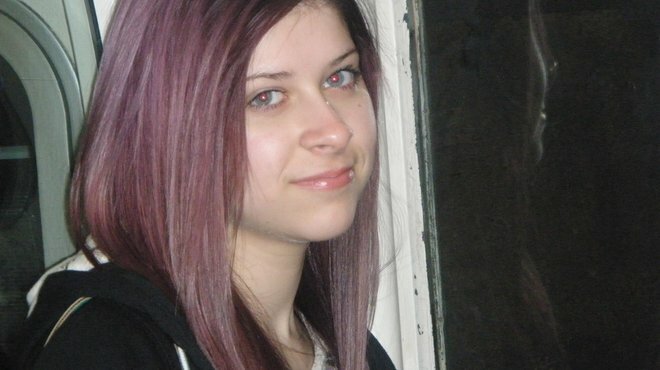 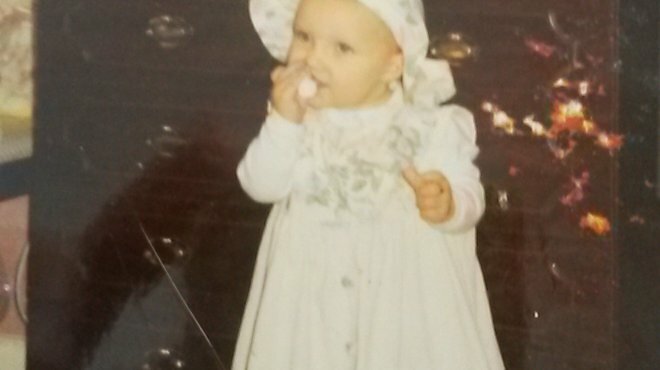 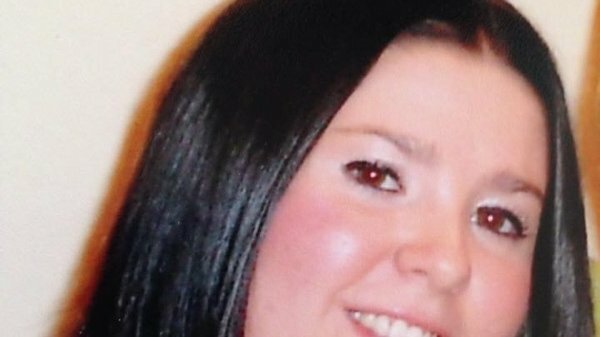 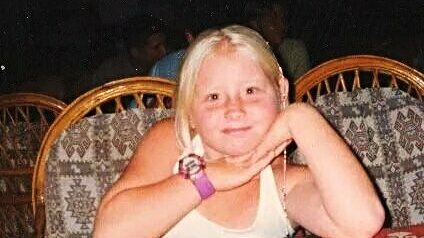 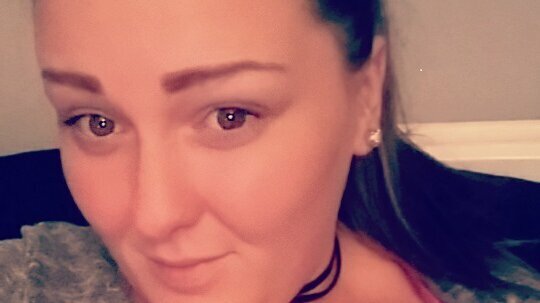 Laura’s sister Michelle, from Sunderland, fell ill at the age of 11 and sadly lost her life to meningitis. 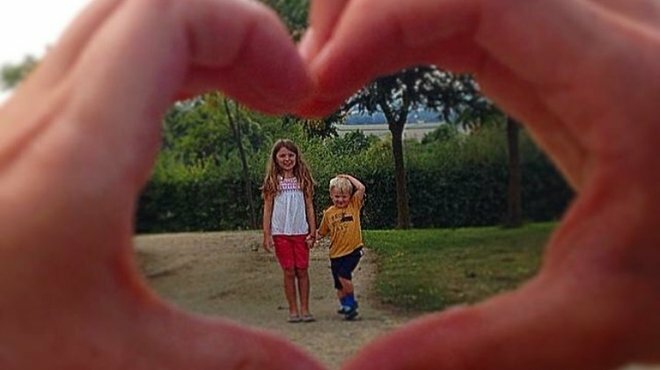 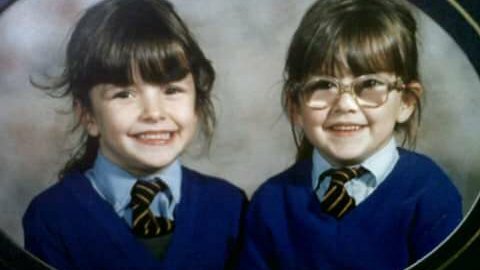 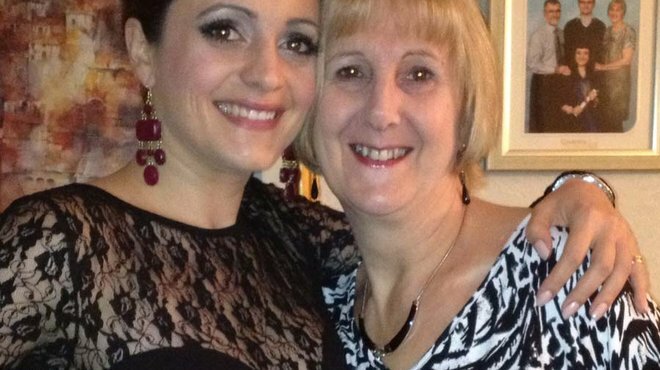 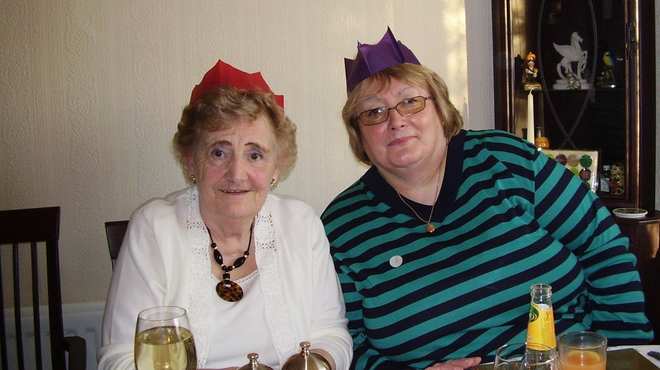 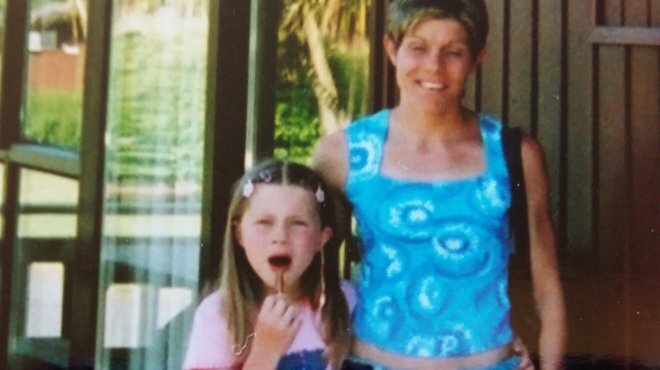 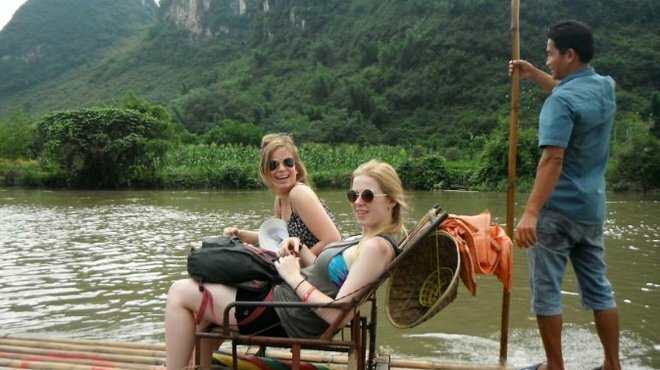 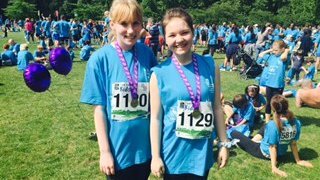 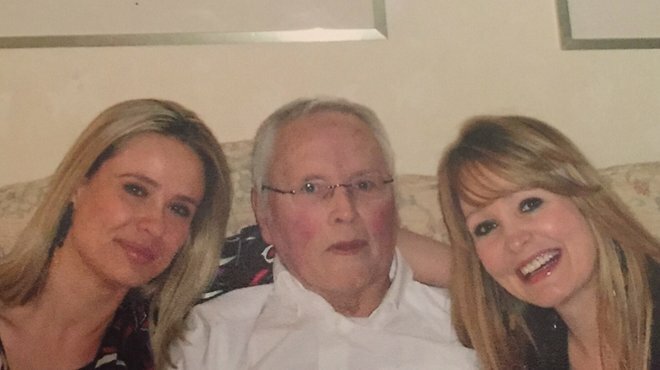 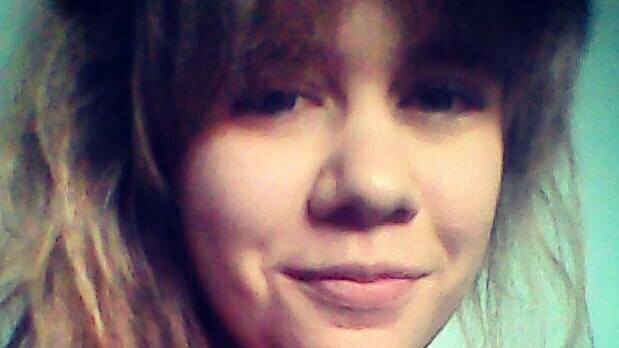 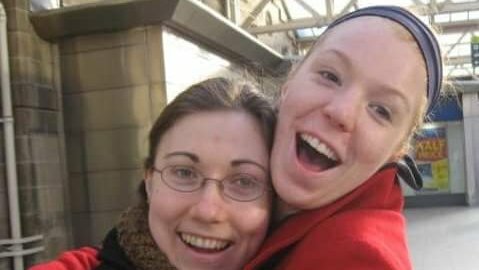 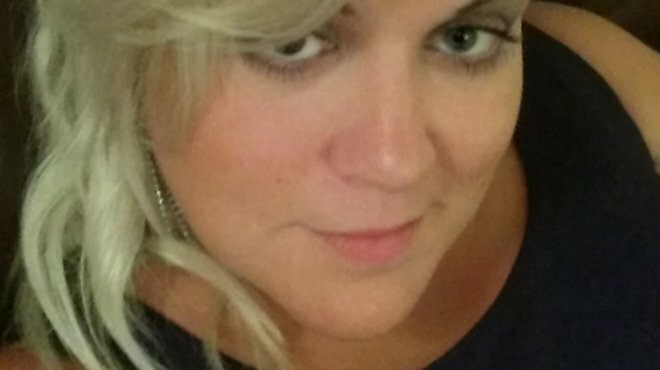 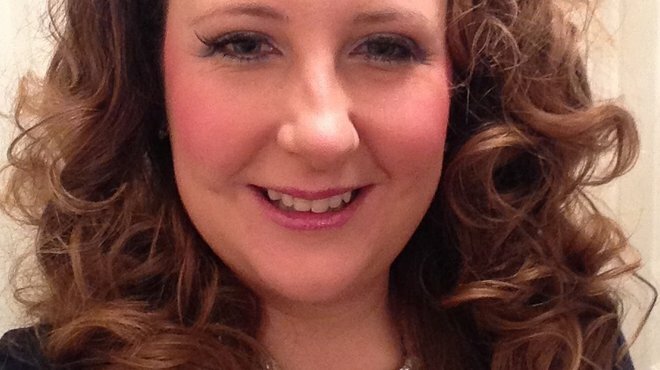 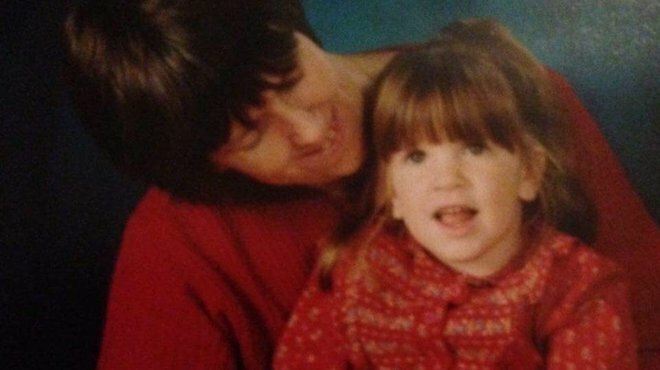 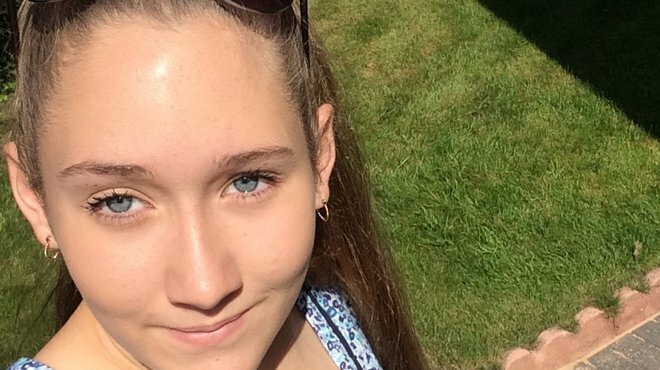 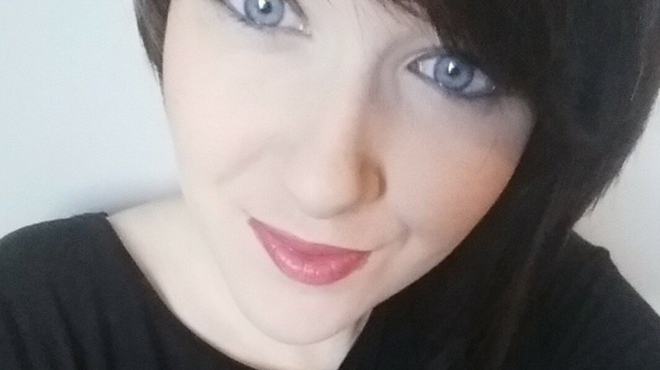 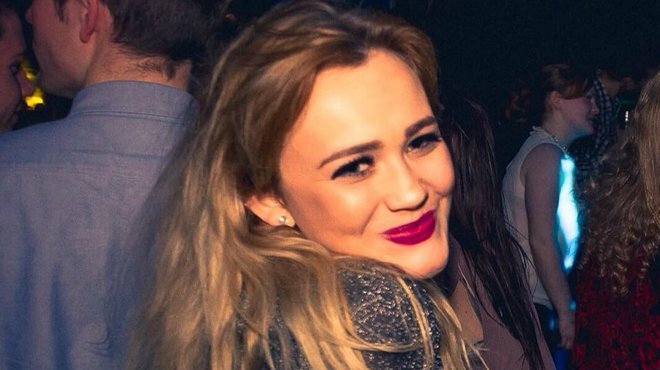 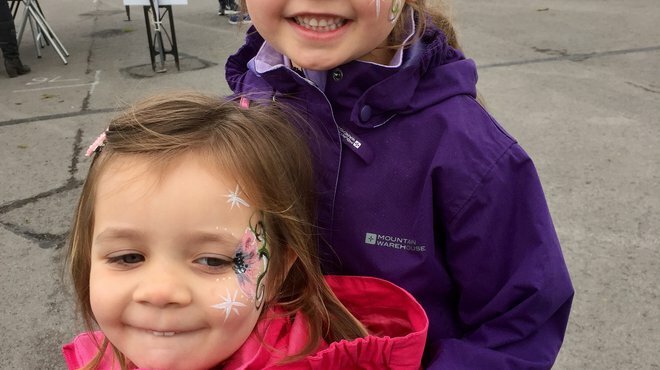 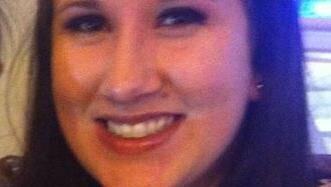 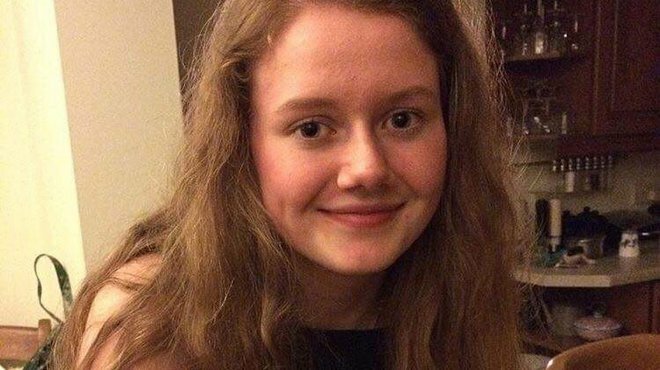 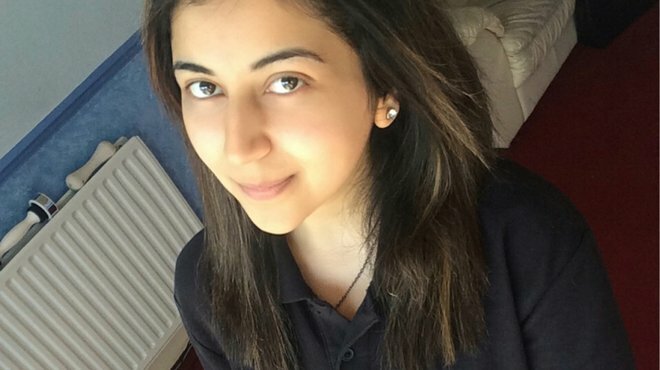 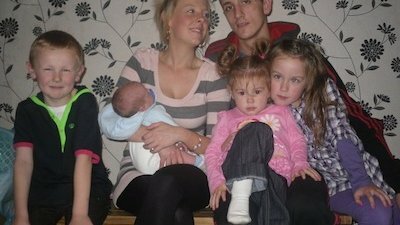 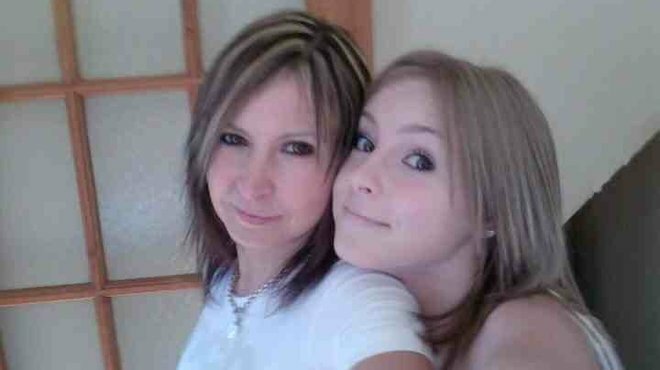 Laura urges everyone to learn the signs and symptoms in memory of her sister. 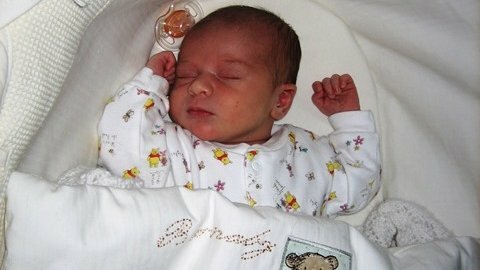 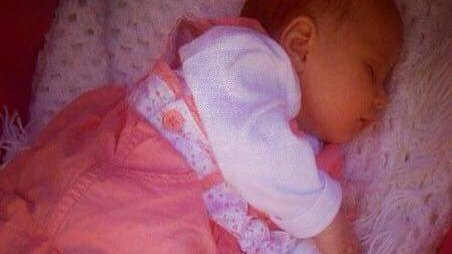 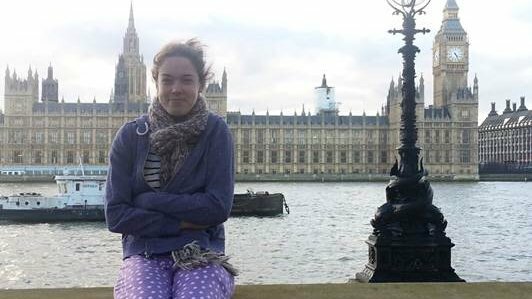 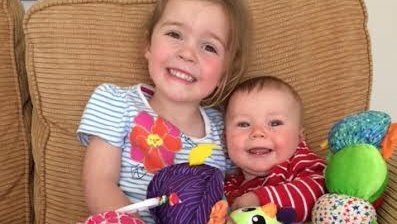 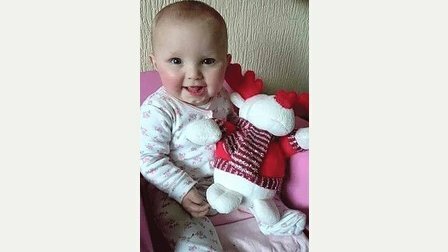 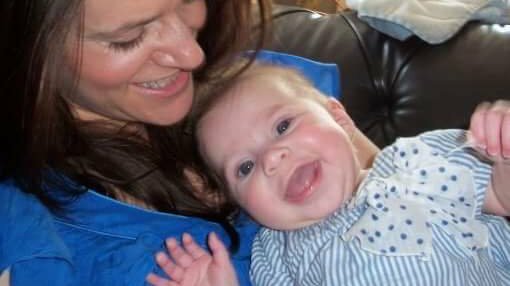 Eva contracted meningitis on the 24 January 2015 when she was 22 days old, and sadly passed away six days later on 31 January 2015. 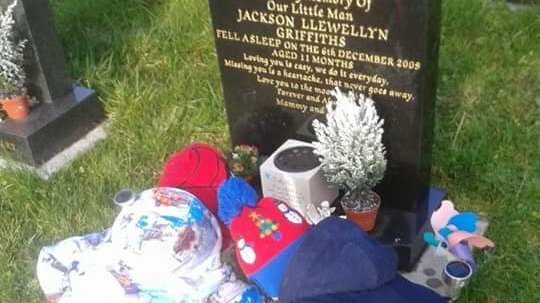 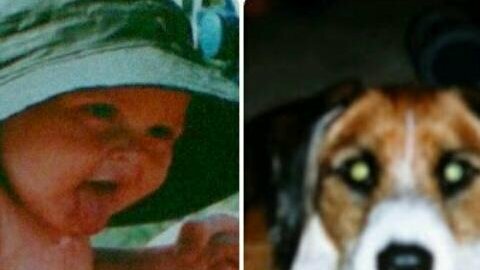 Jackson fought with every inch of his being but, unfortunately, Jackson’s story doesn’t have a happy ending and he passed away in December 2009. 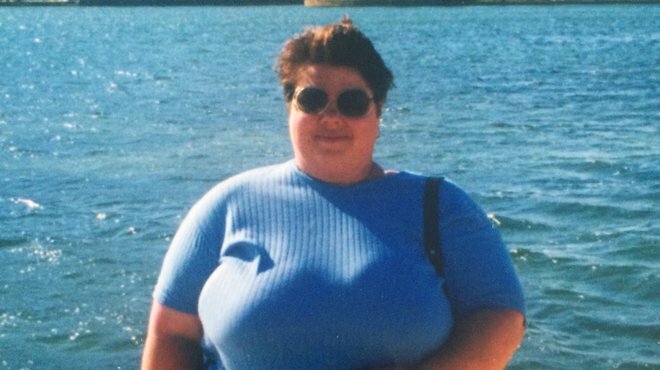 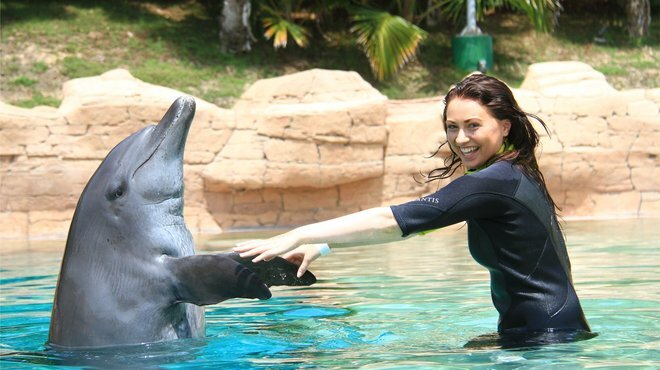 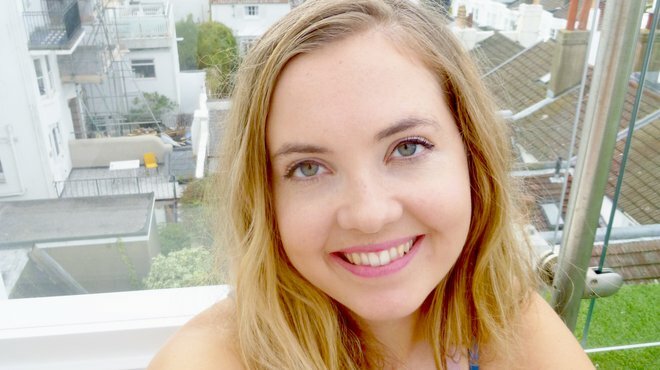 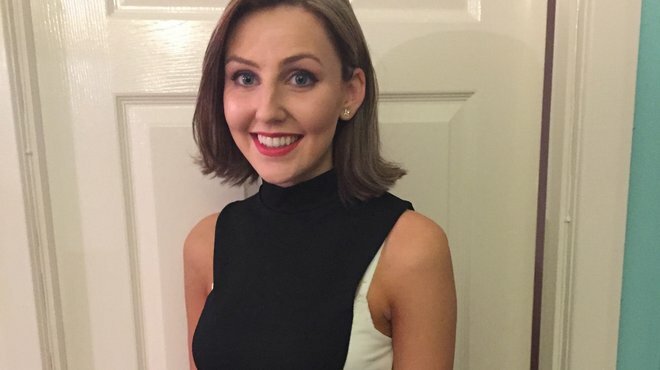 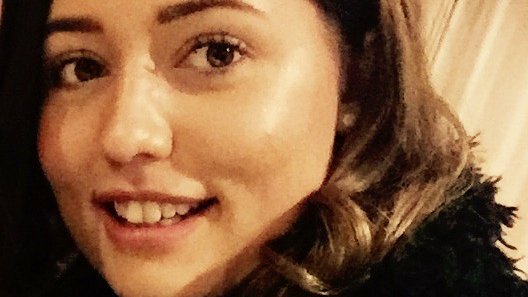 Sophie, from Aberdeen, was a normal, fit and healthy 22-year-old. 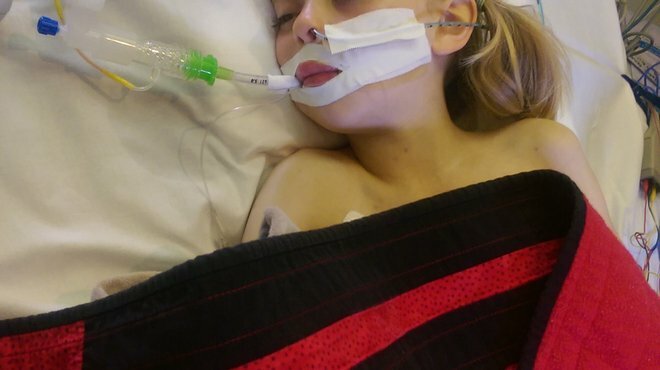 It was a day no different to any other, but little did Sophie know when she woke up that day that things would never be the same again. 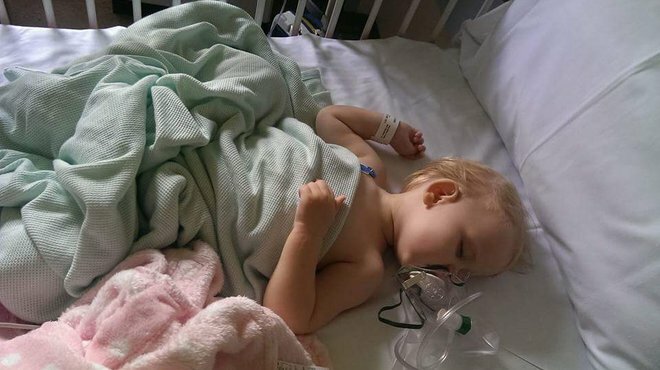 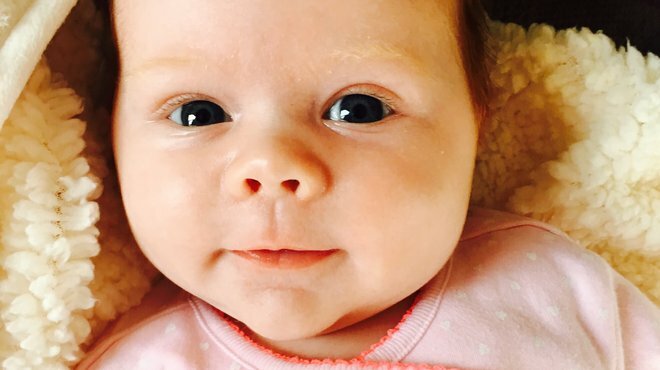 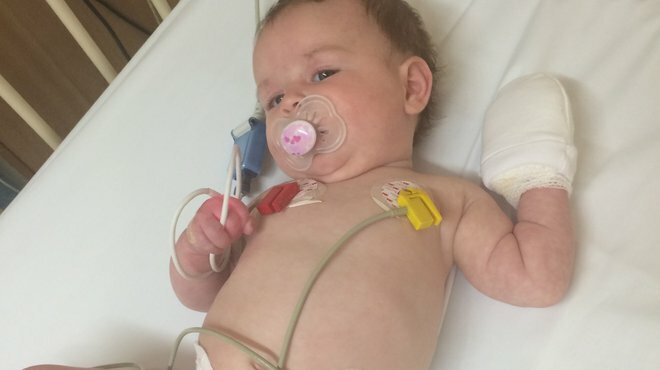 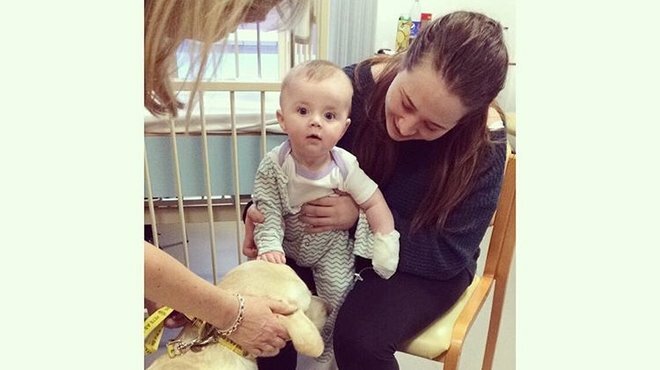 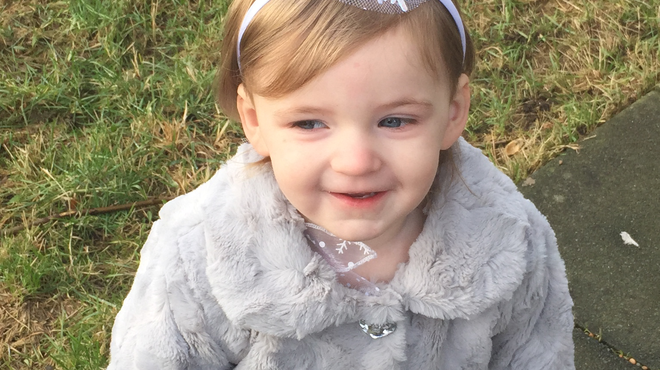 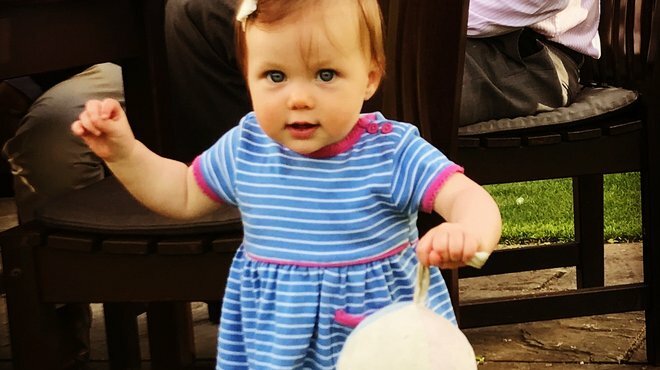 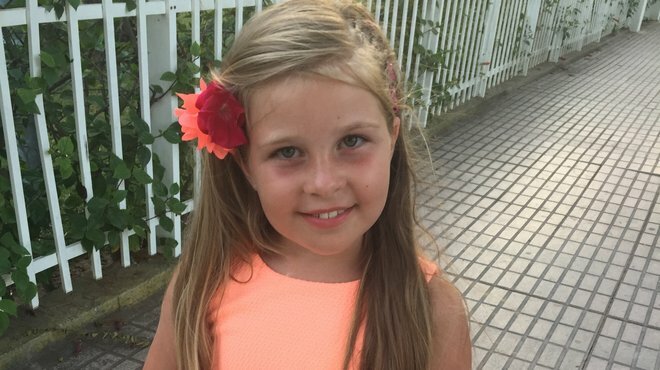 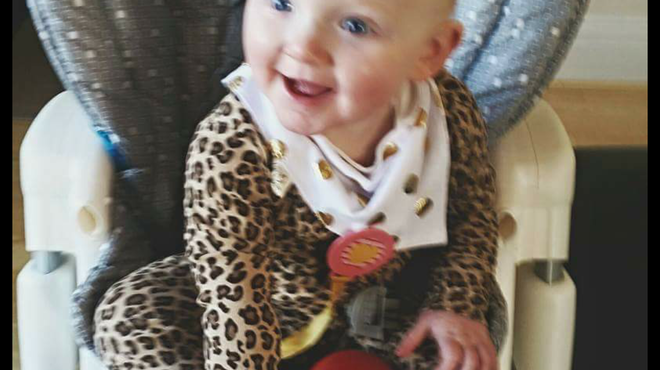 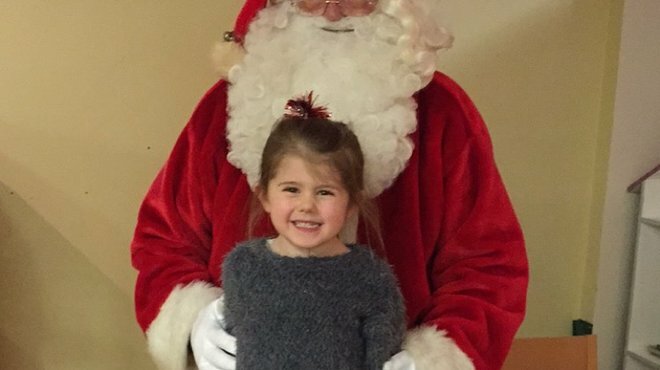 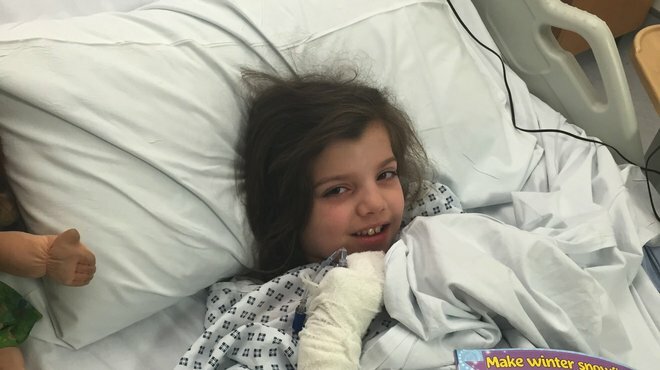 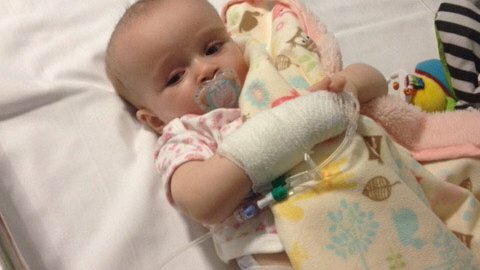 Little Harmonie-Rose , from Bath, has captured the heart of everyone she meets as she battles back from meningitis. 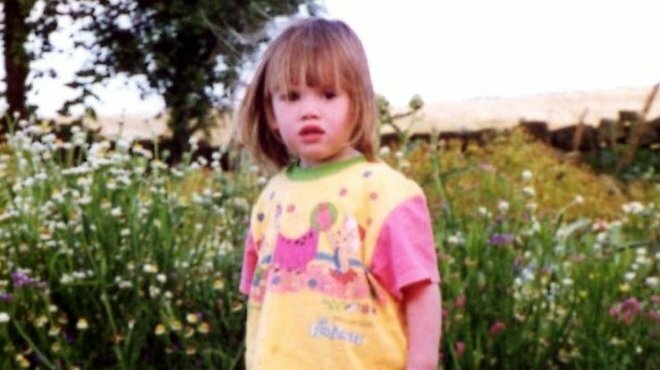 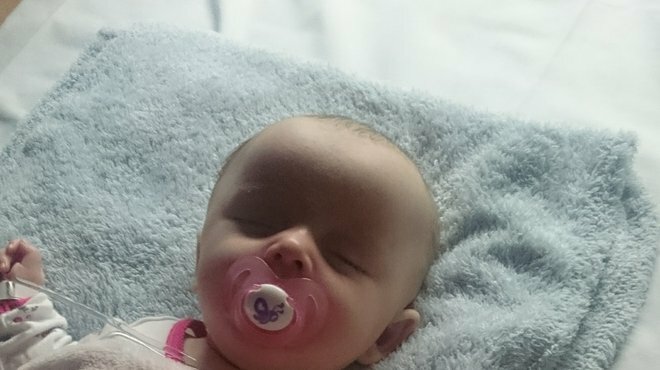 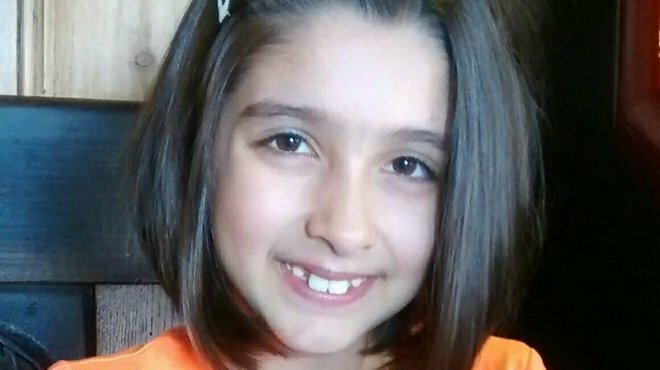 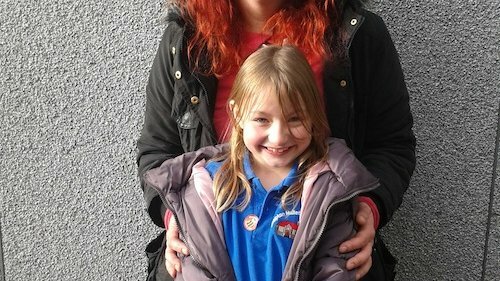 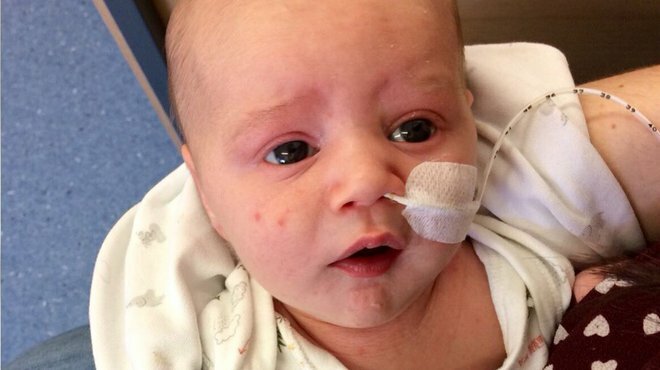 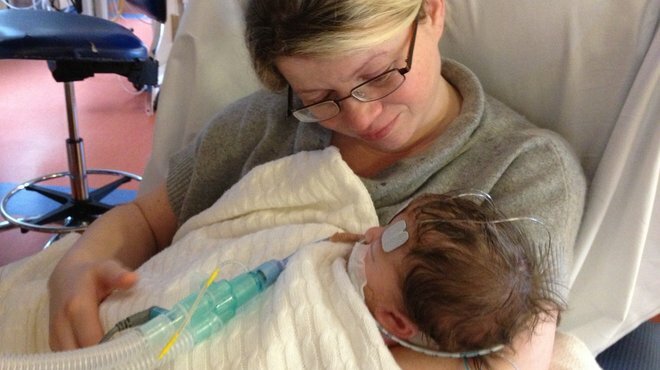 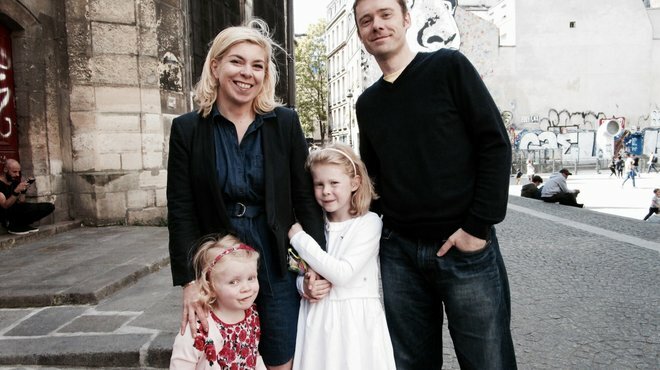 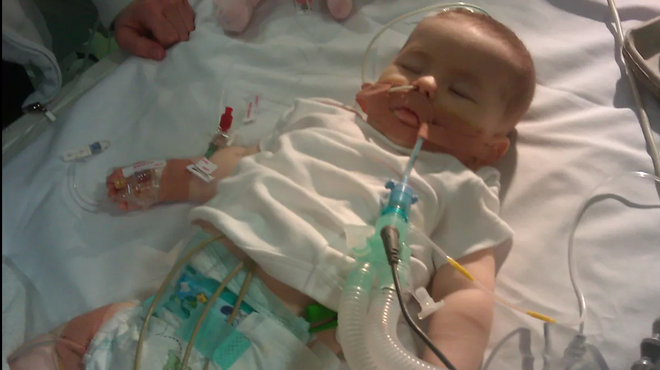 Her parents, Freya and Ross, tell her story. 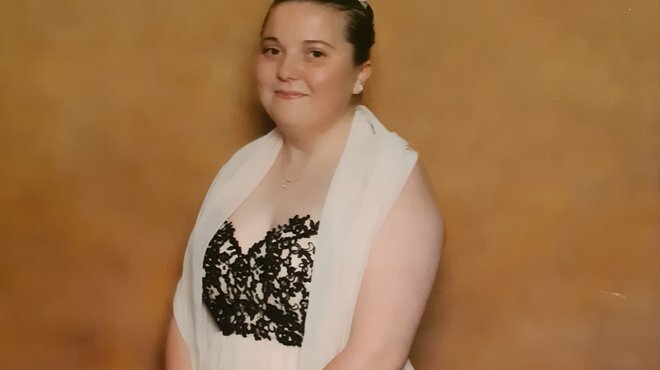 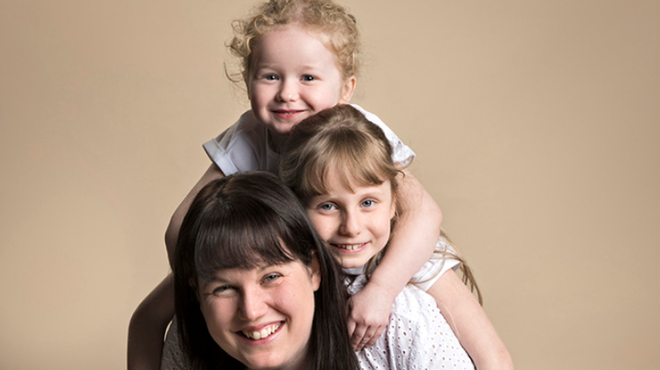 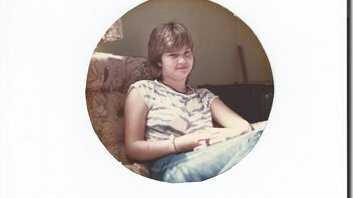 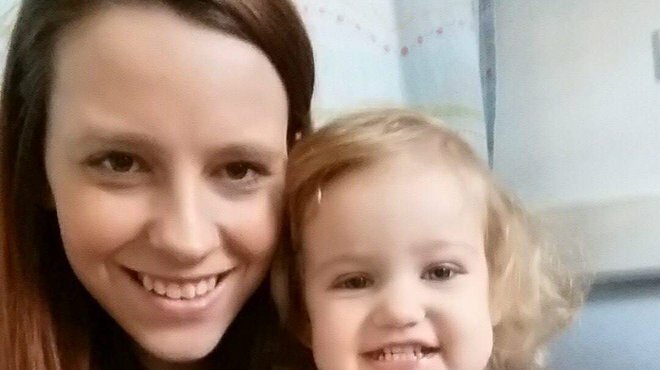 Community Ambassador Jodie lost her daughter Mariah from meningococcal meningitis when she was just 13 months old. 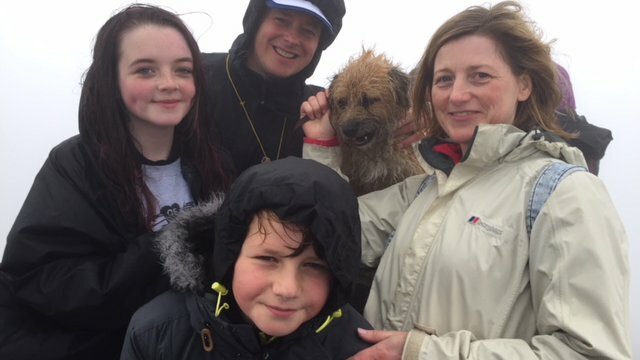 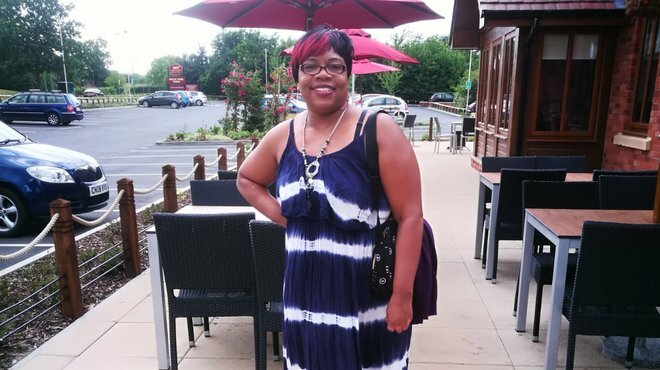 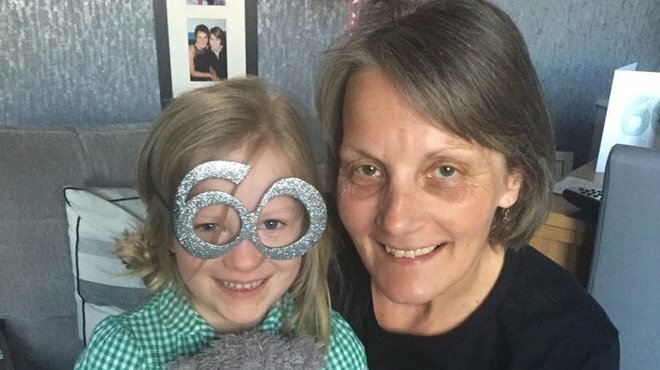 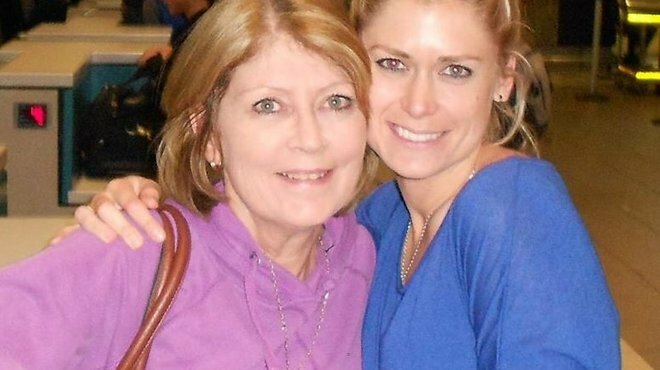 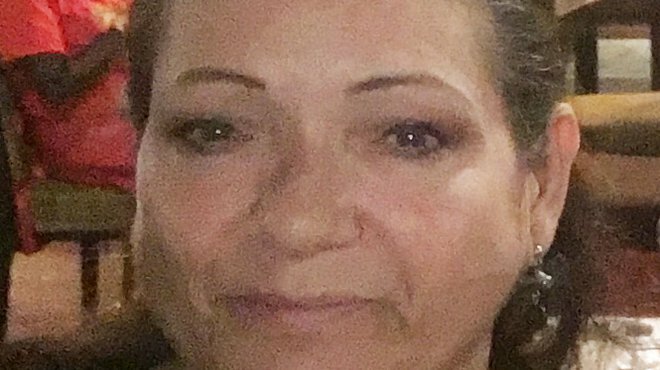 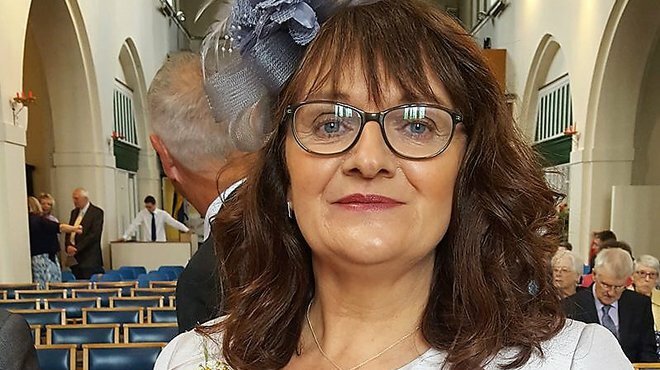 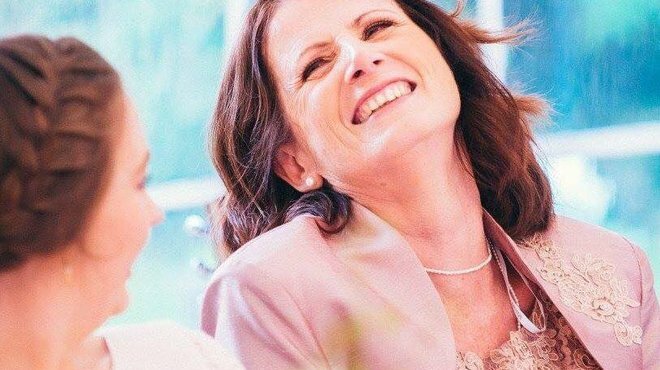 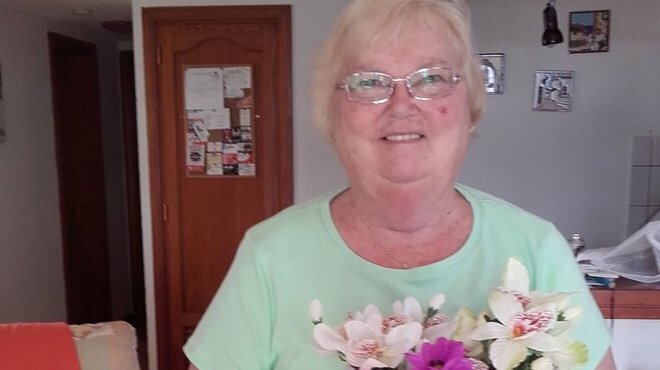 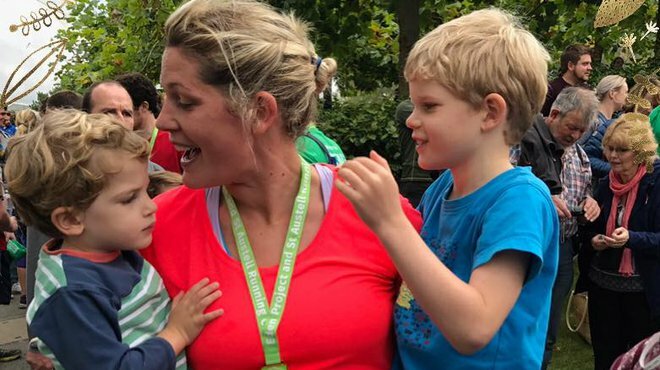 Jackie Hill's day started like any other but when her daughter Corrine fell ill she had no idea how it would affect her, Corrine's sister Jodee and the rest of the family. 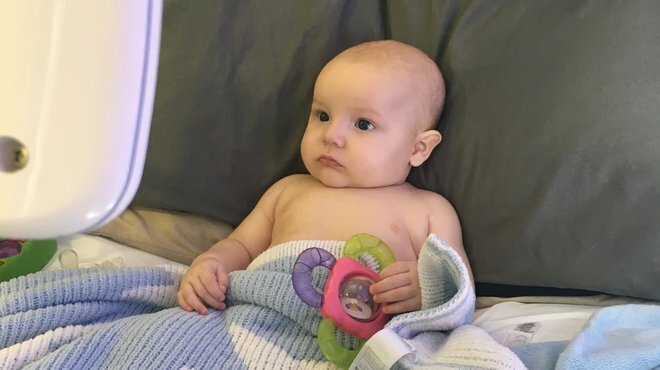 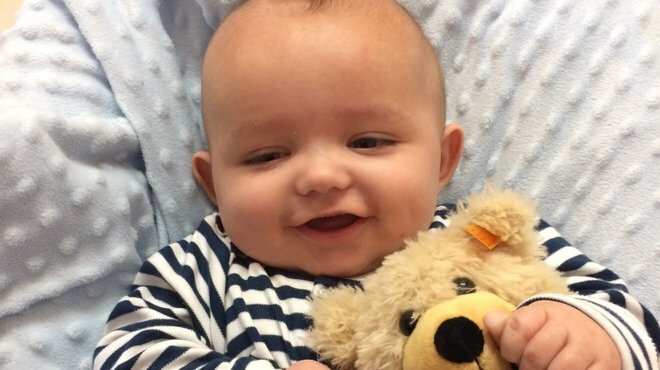 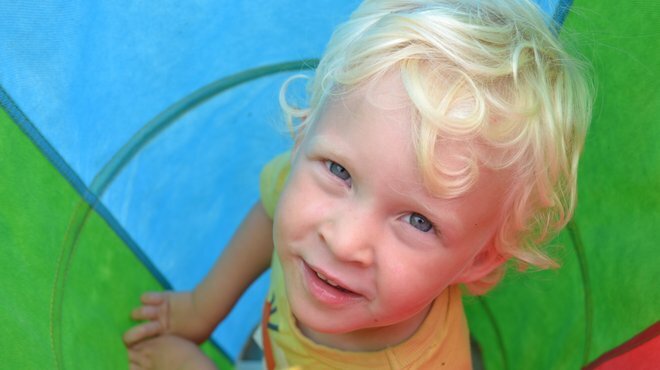 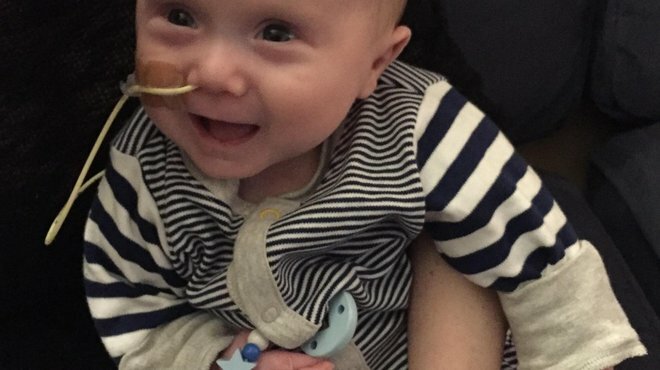 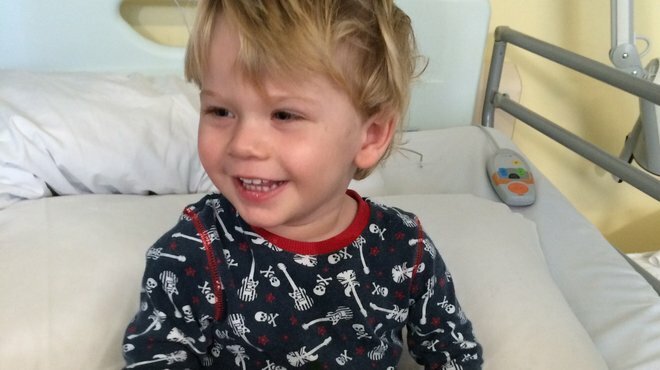 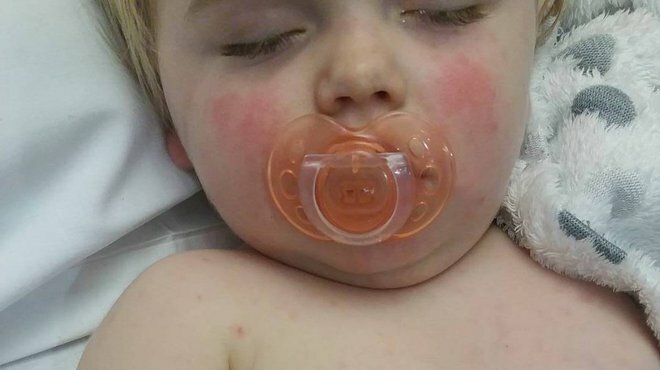 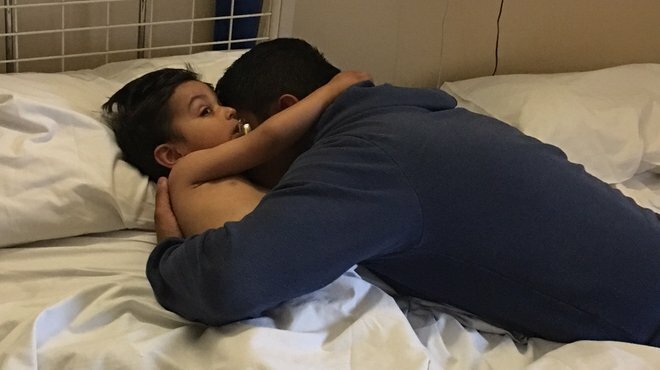 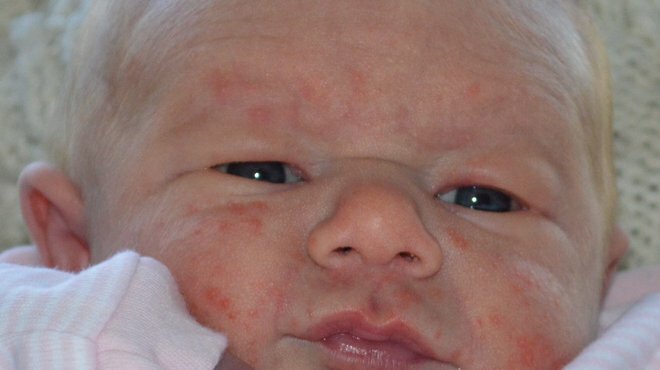 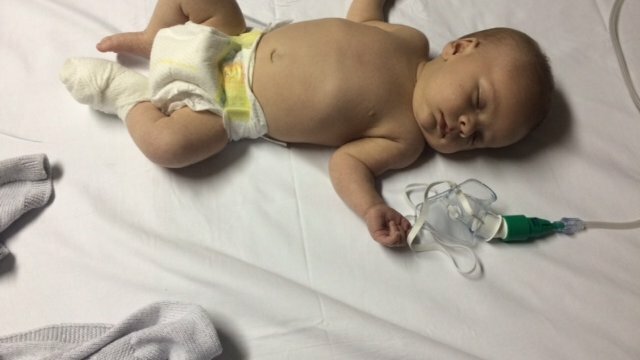 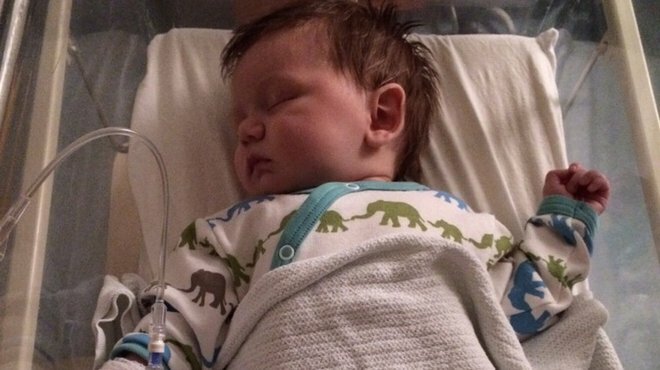 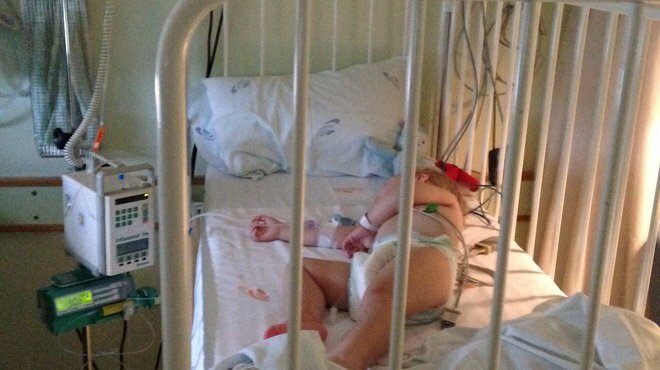 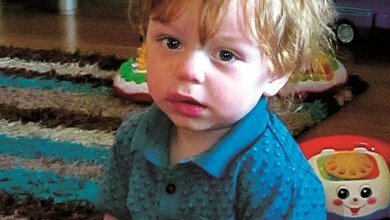 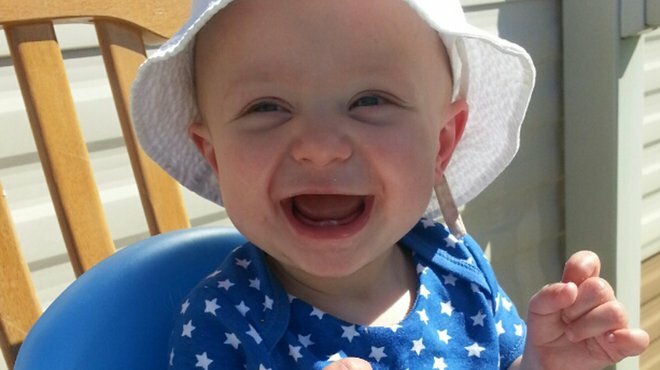 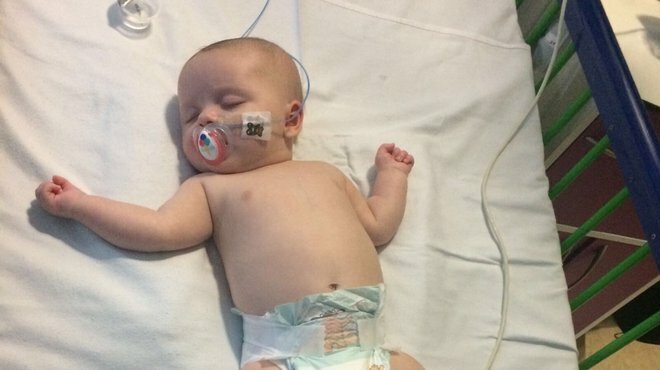 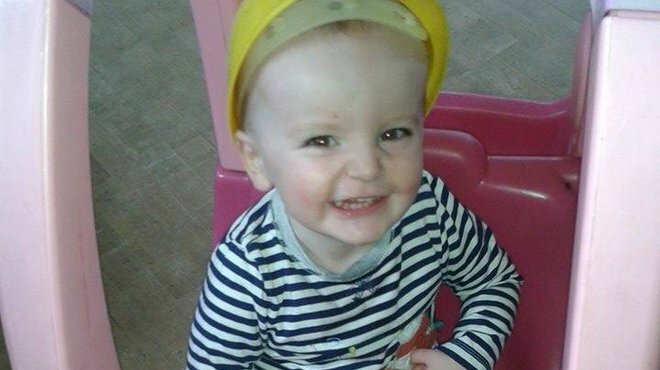 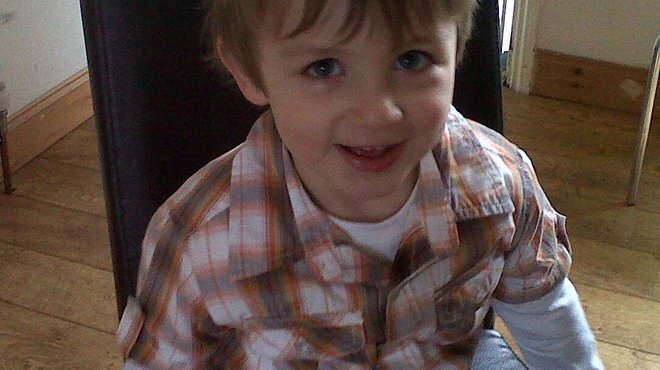 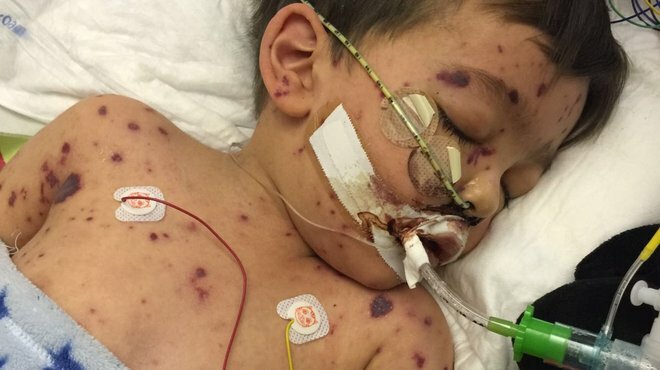 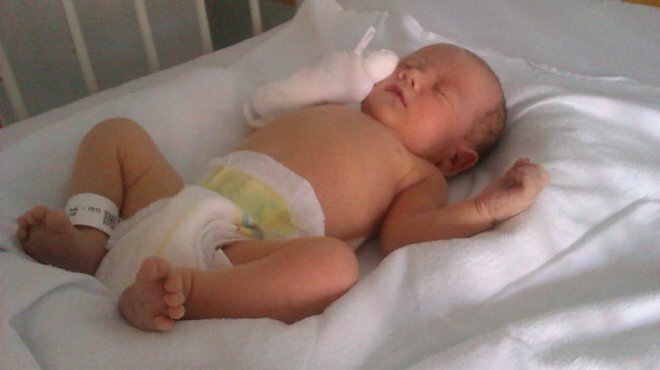 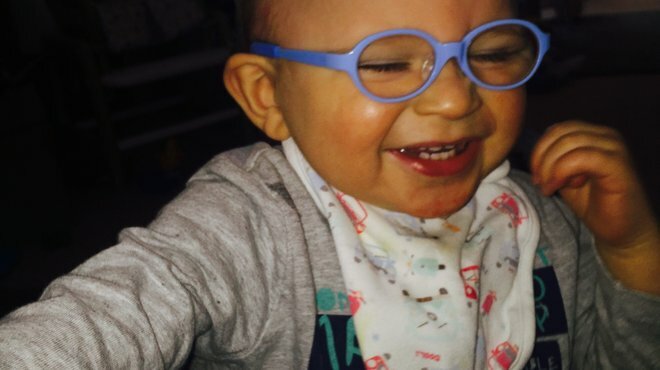 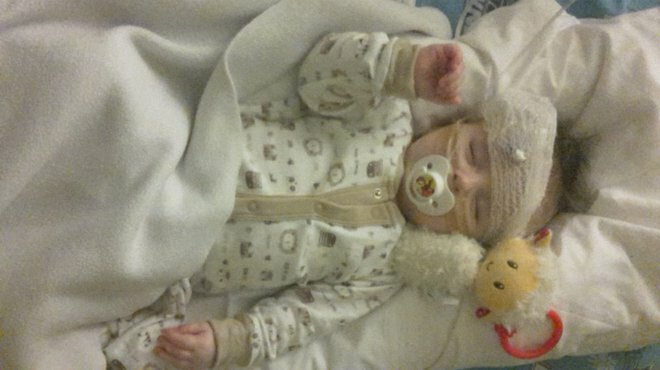 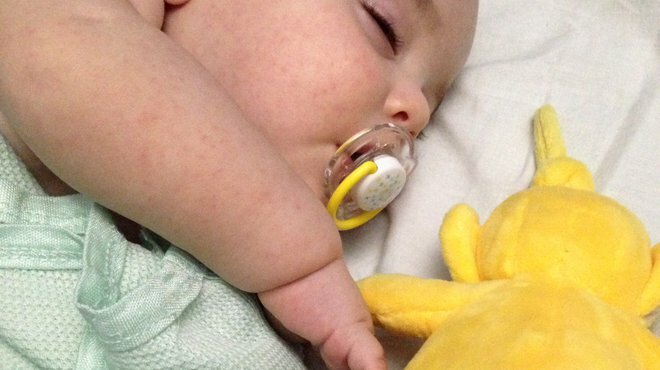 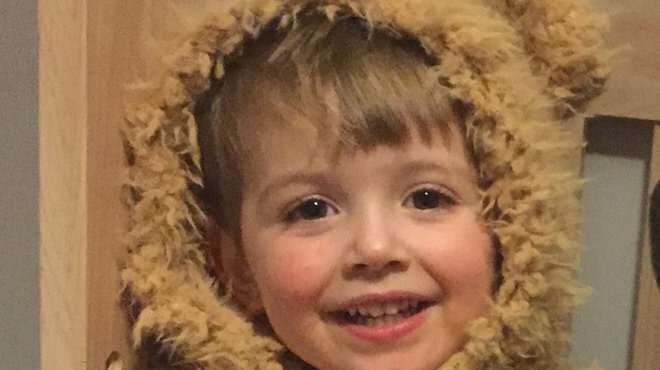 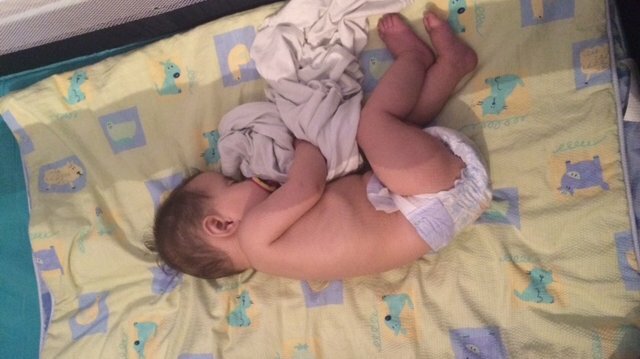 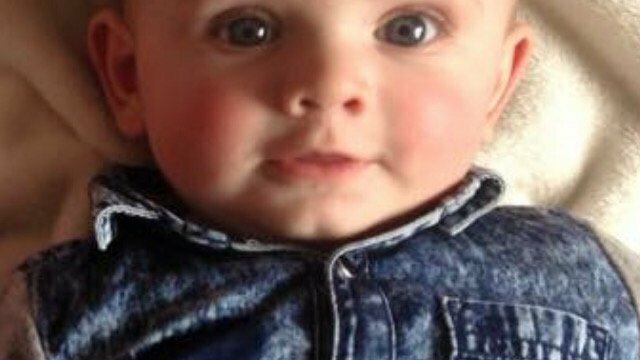 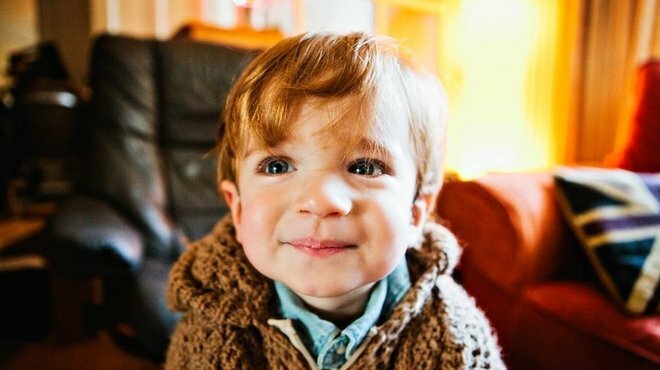 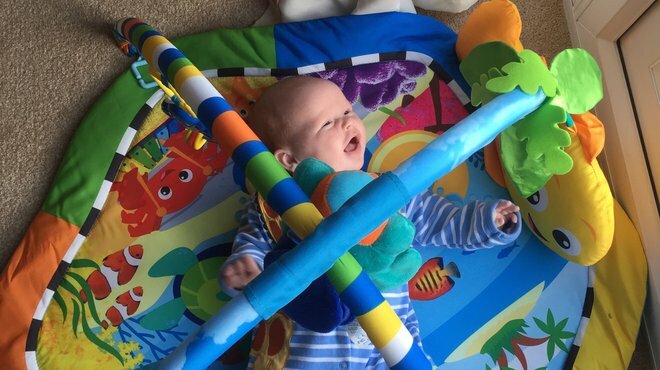 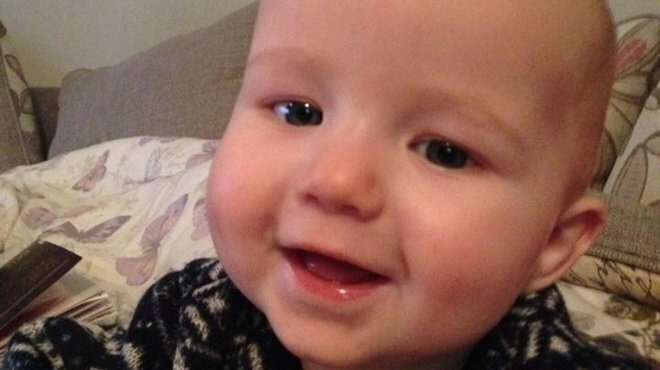 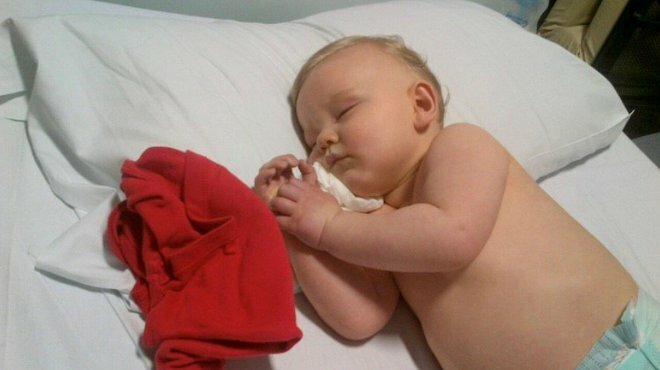 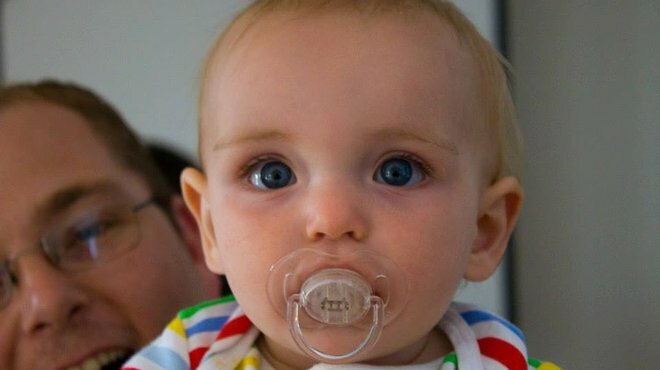 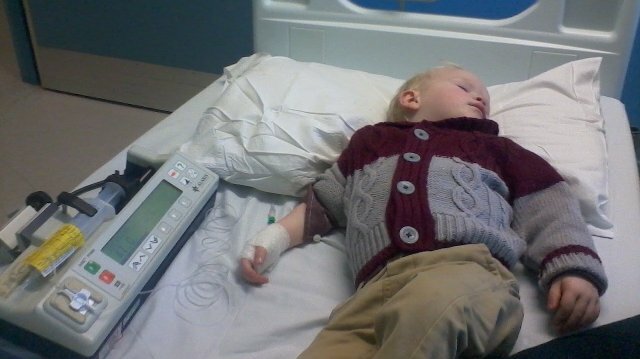 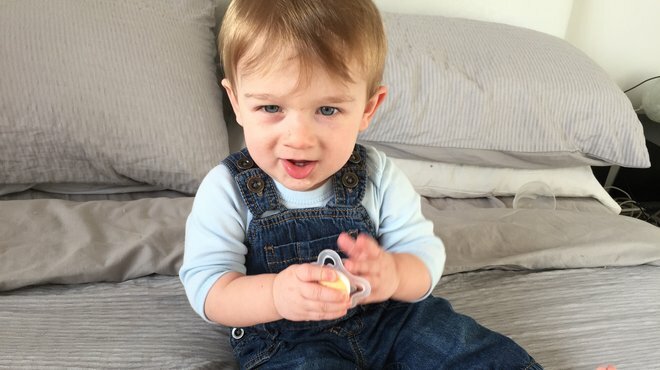 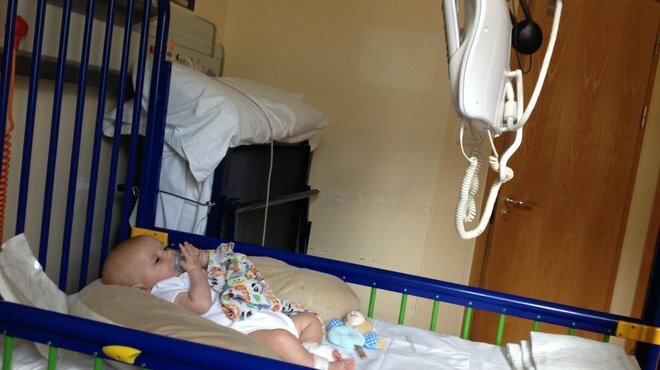 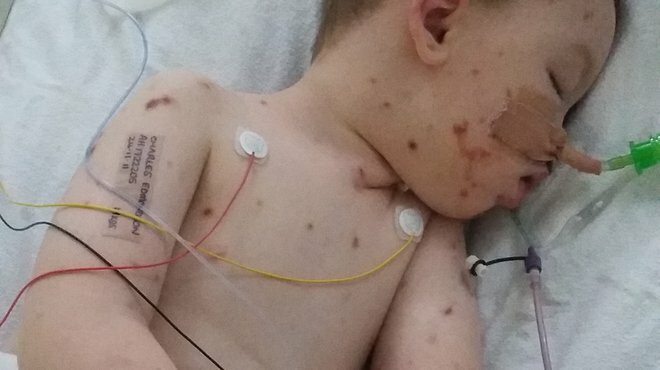 Oscar was ill and doctors failed to initially diagnose him with meningitis. 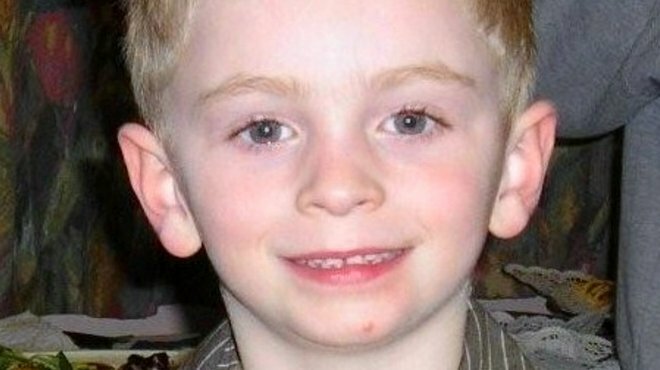 He tragically passed away. 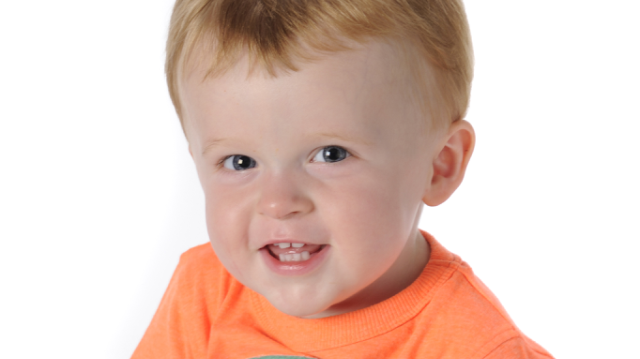 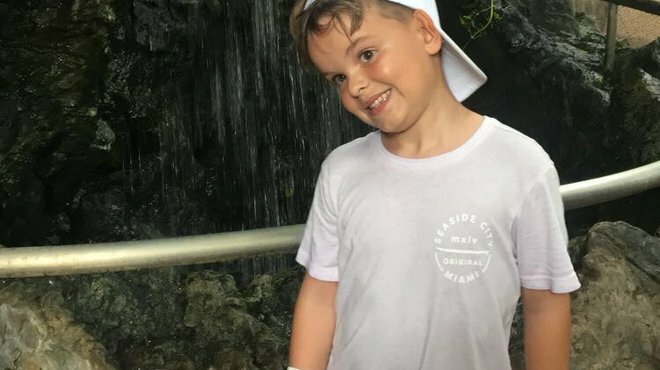 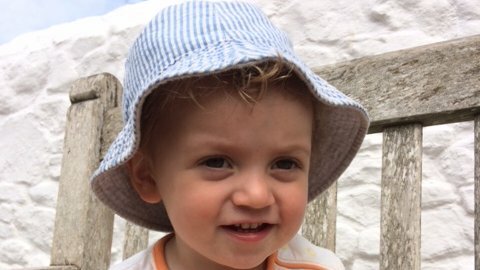 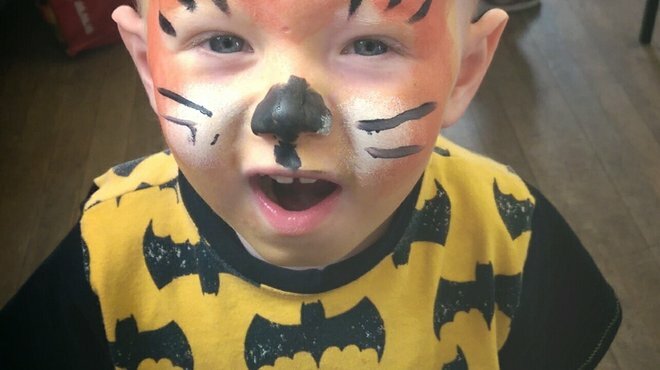 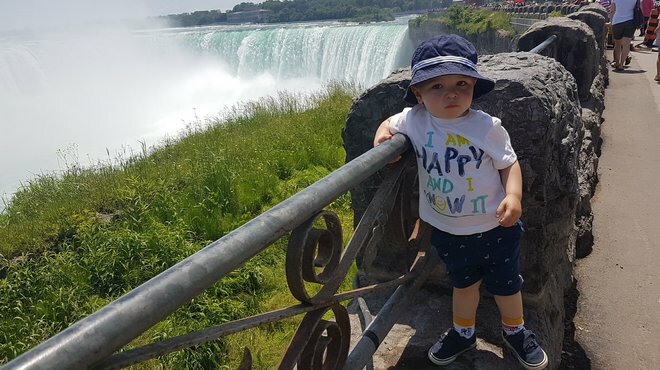 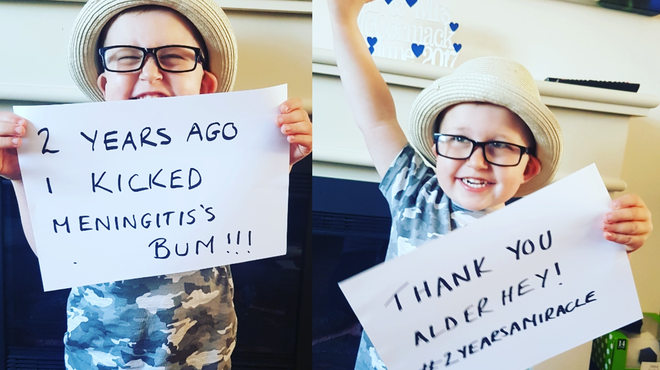 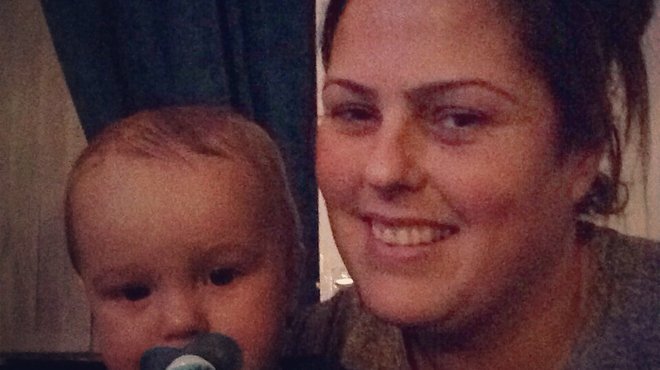 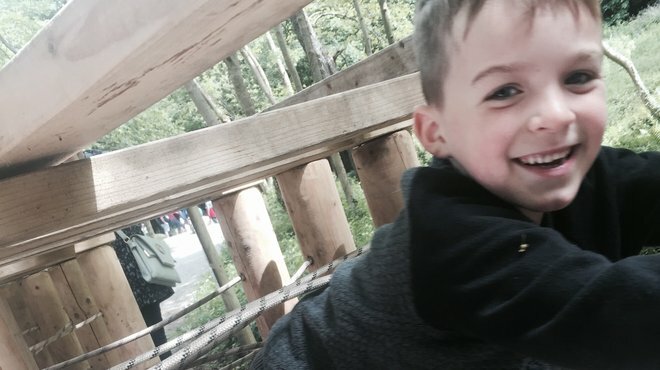 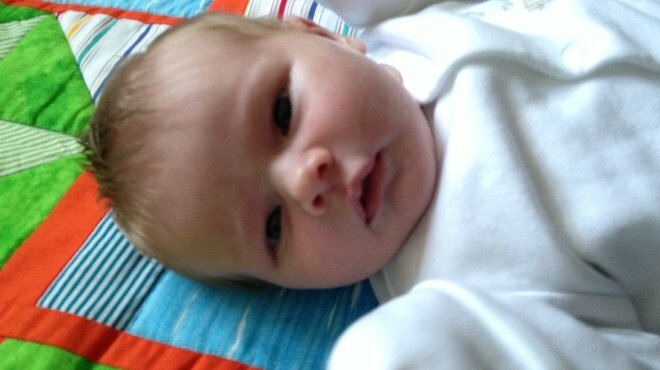 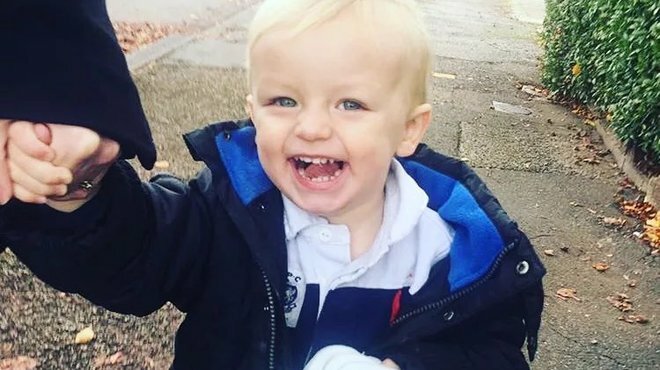 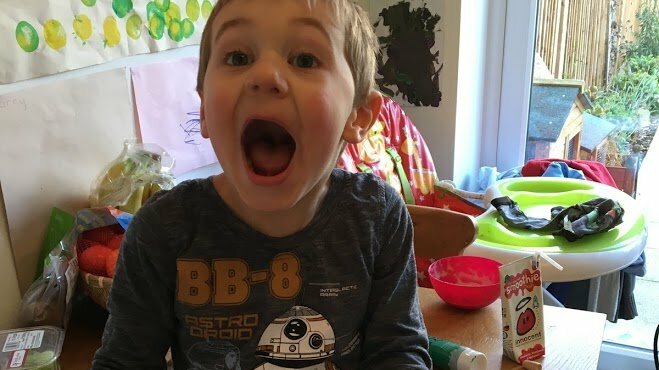 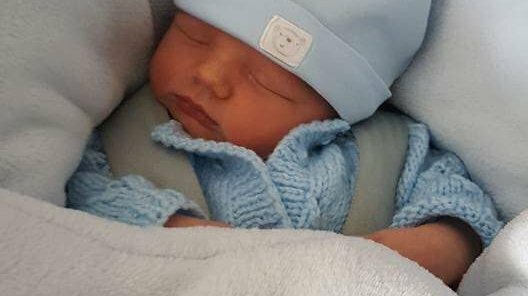 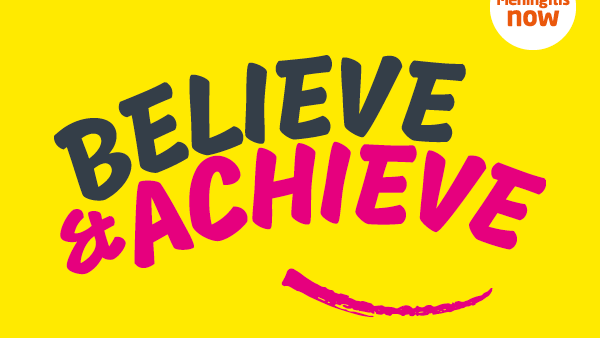 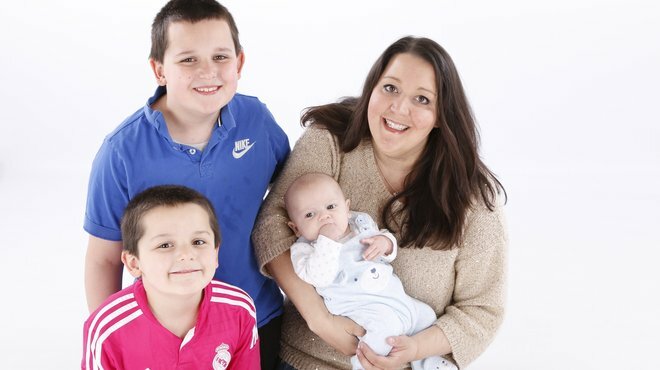 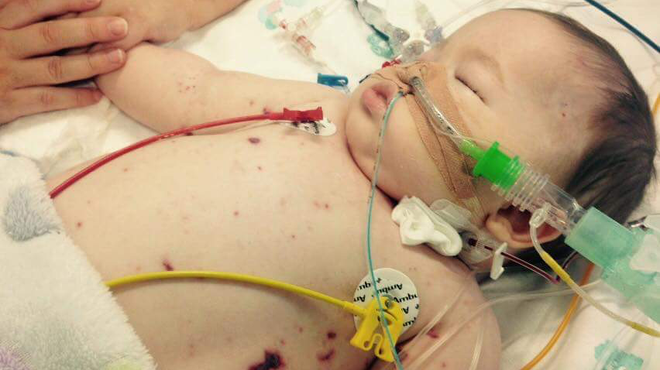 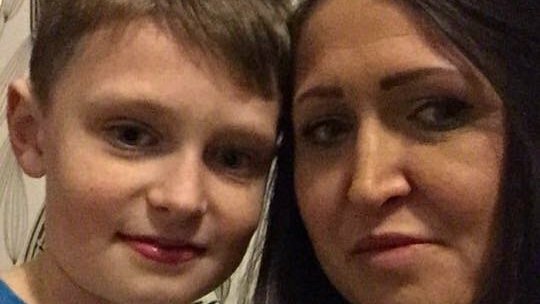 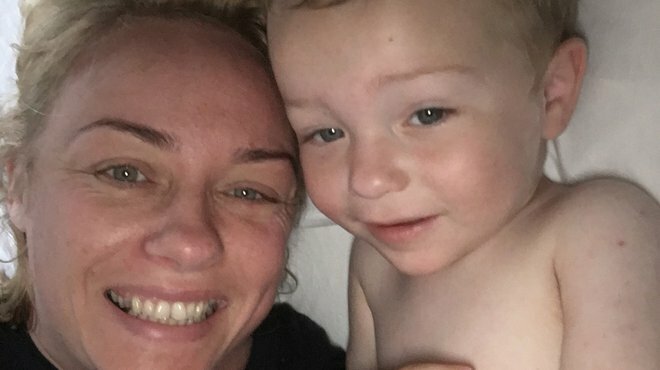 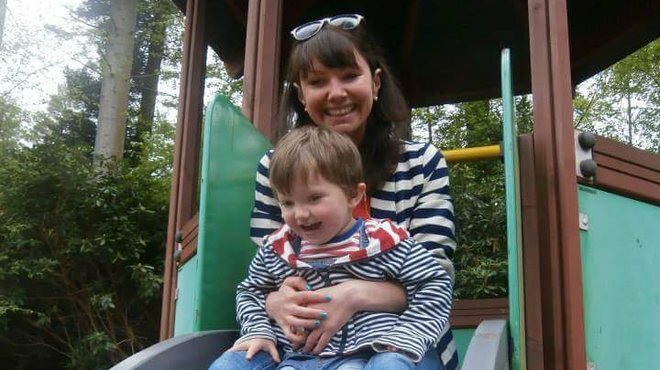 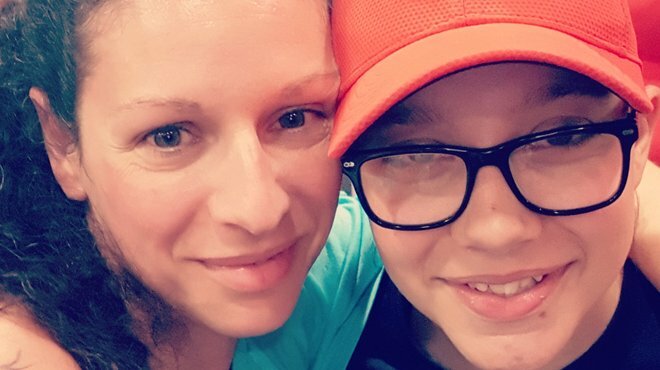 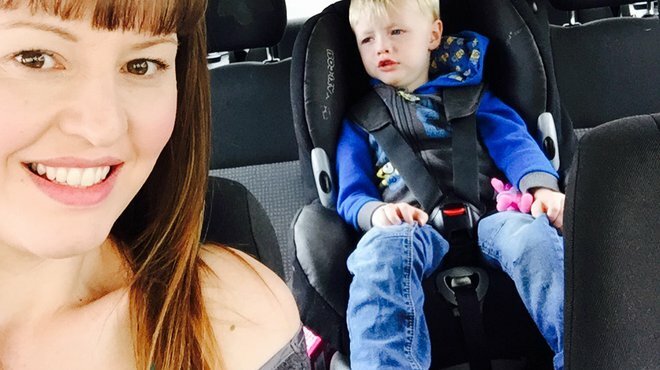 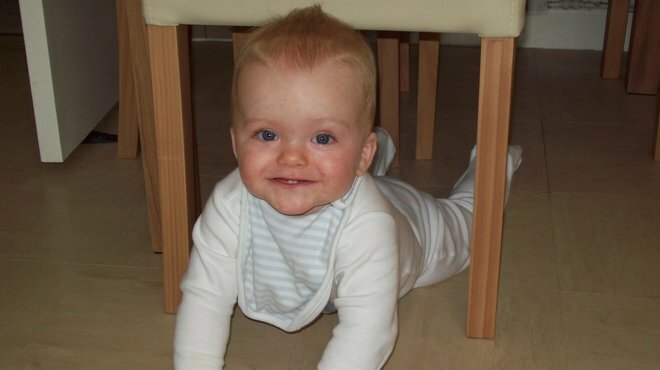 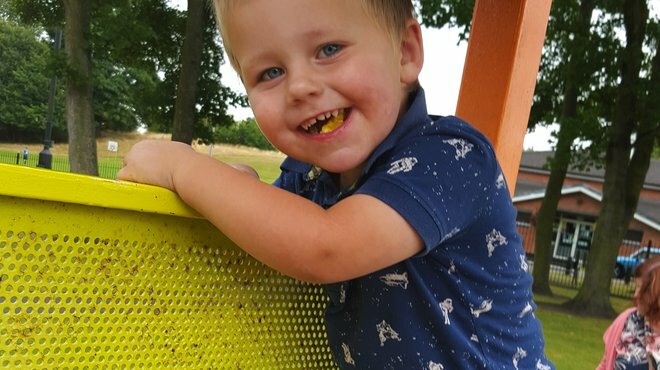 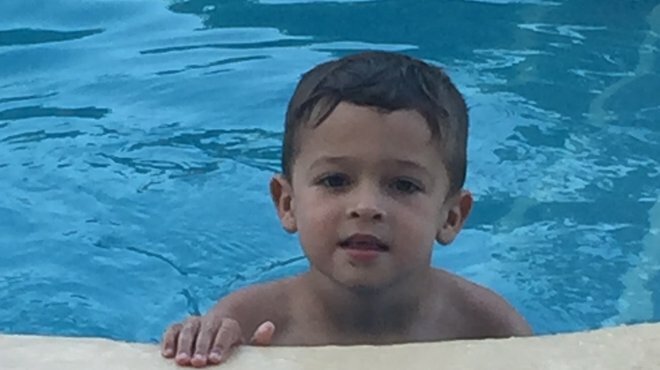 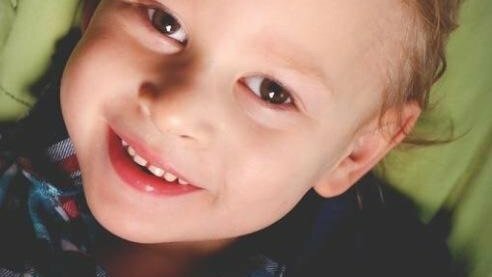 Oscar's mum Amy tells her story and wants people to trust their instincts if they suspect meningitis. 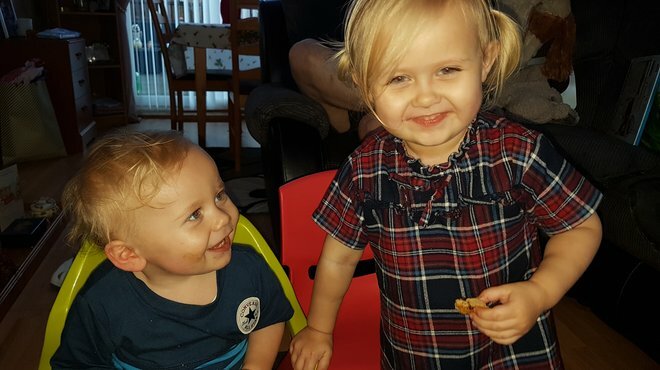 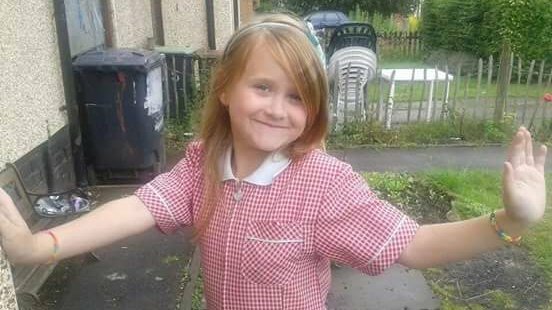 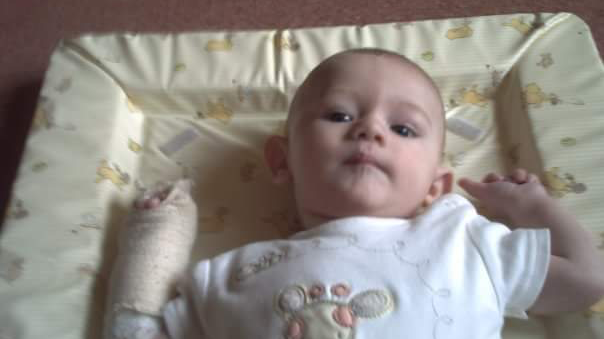 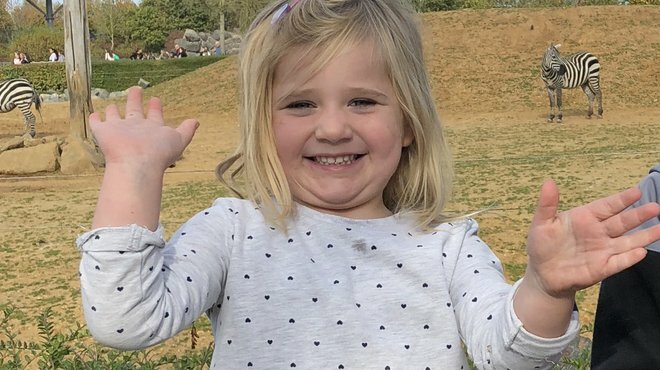 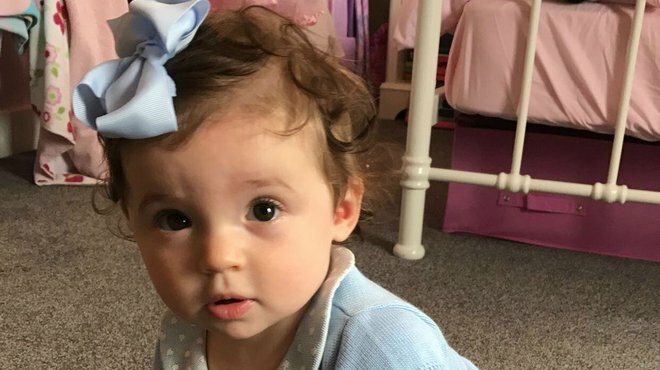 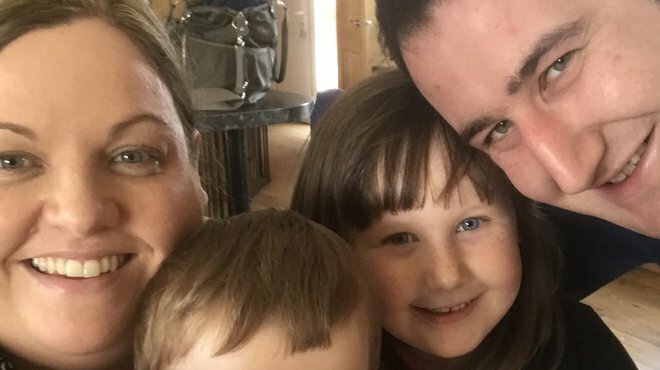 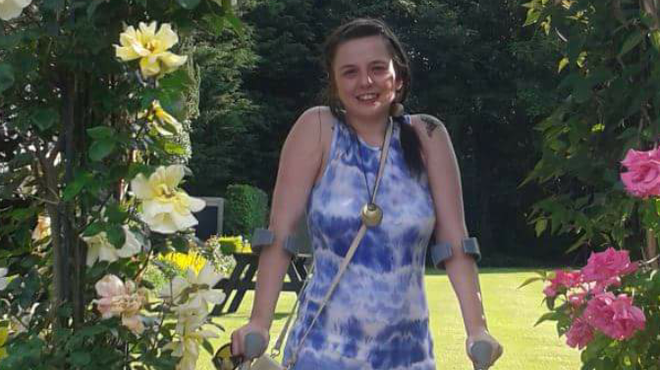 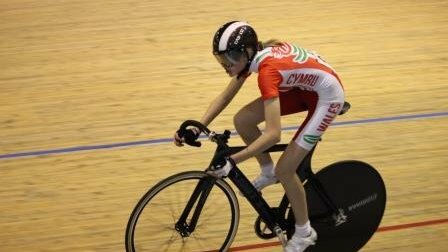 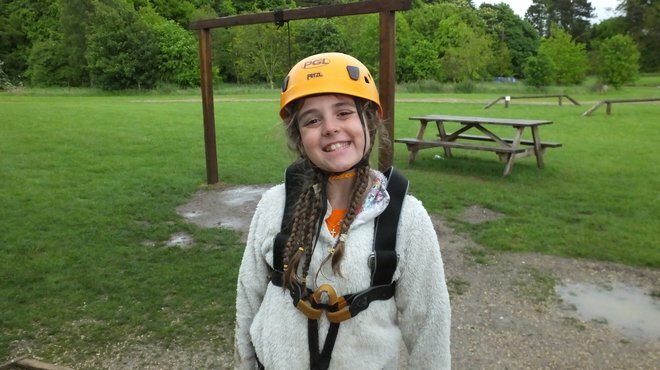 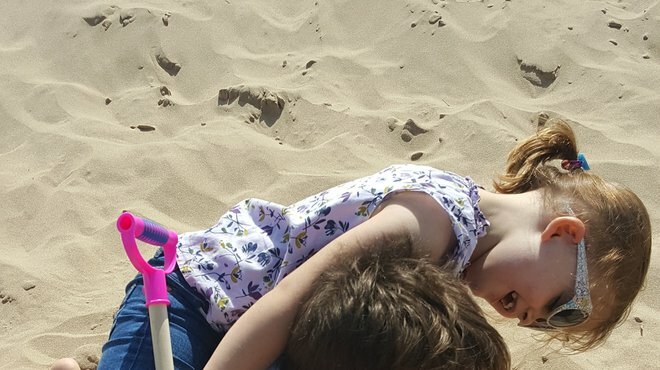 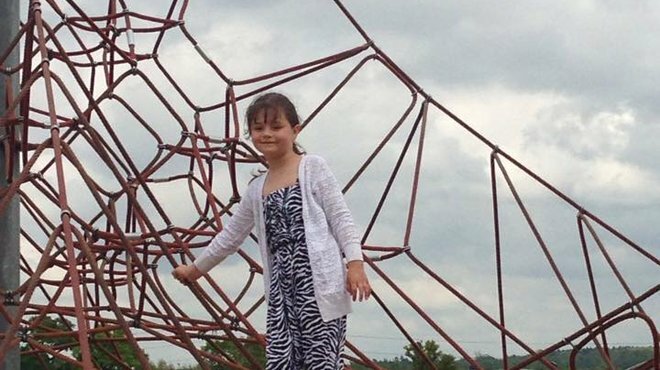 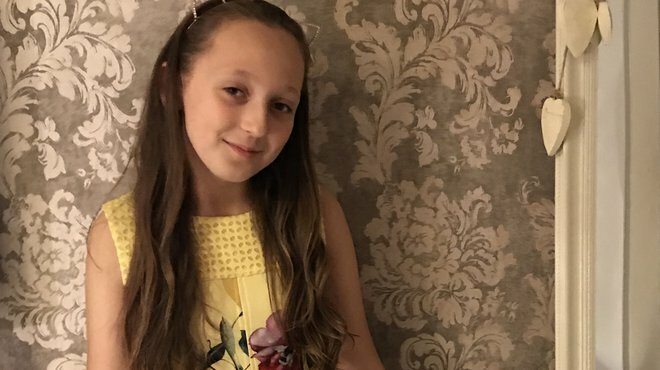 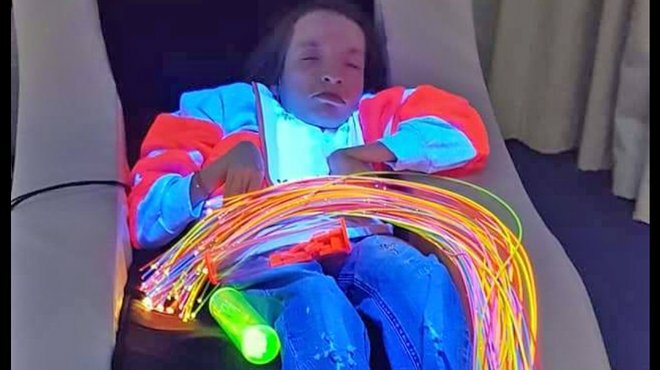 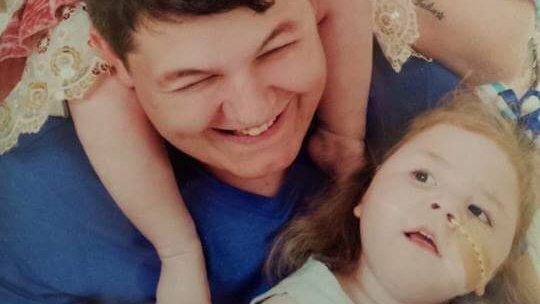 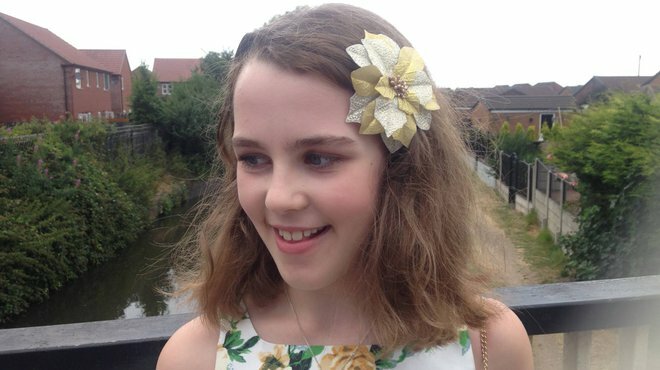 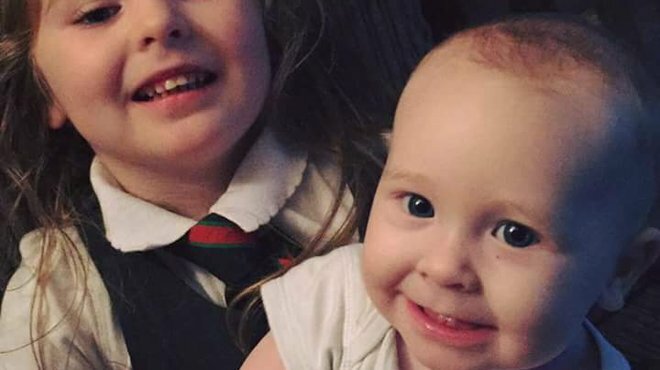 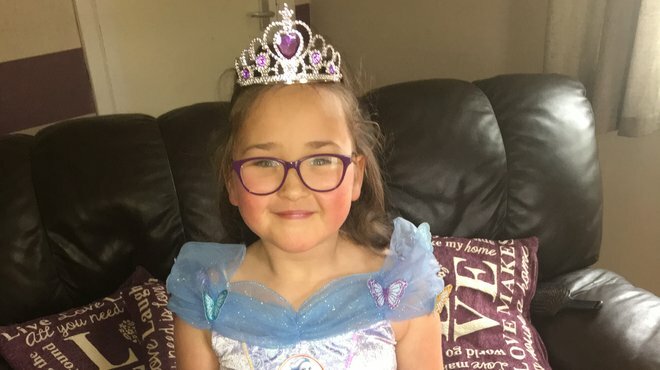 When she was six-weeks-old Lauren had meningitis, which left her with brain damage, hearing loss in one ear and cerebral palsy, affecting her left arm and leg, and creating balance difficulties. 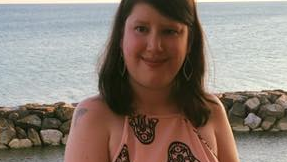 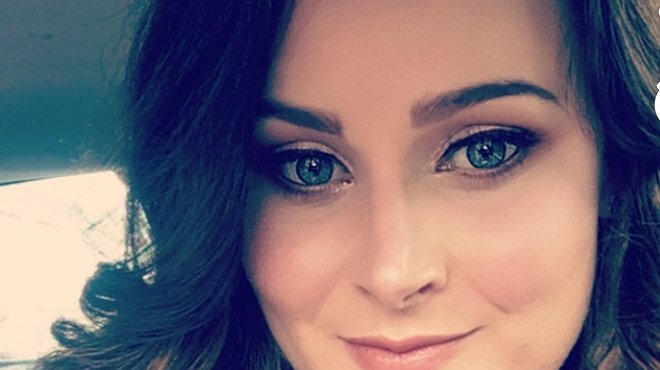 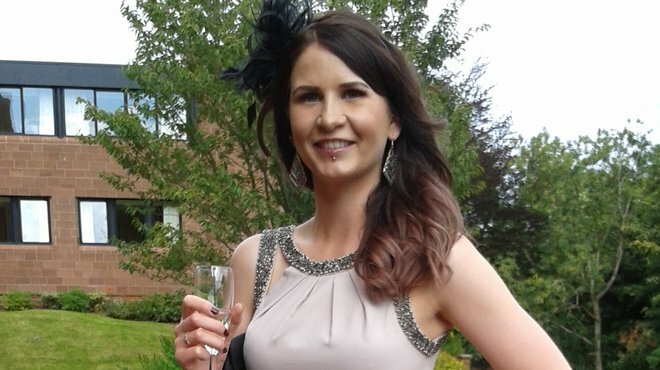 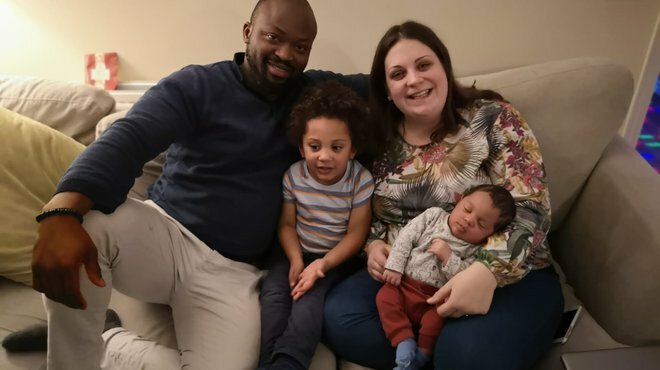 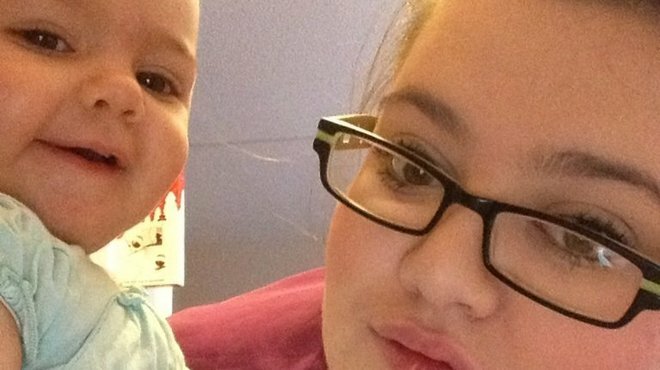 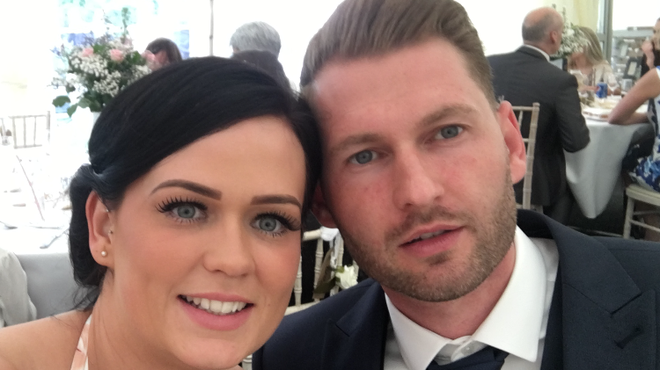 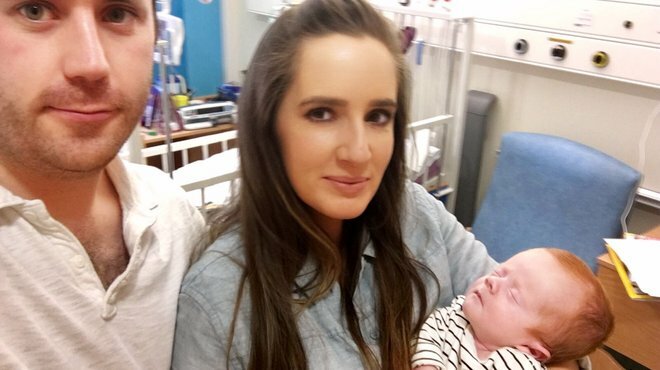 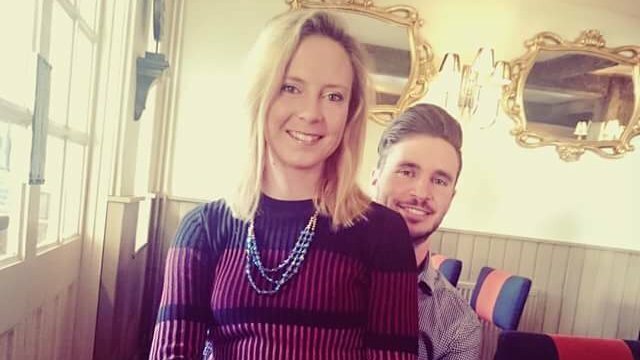 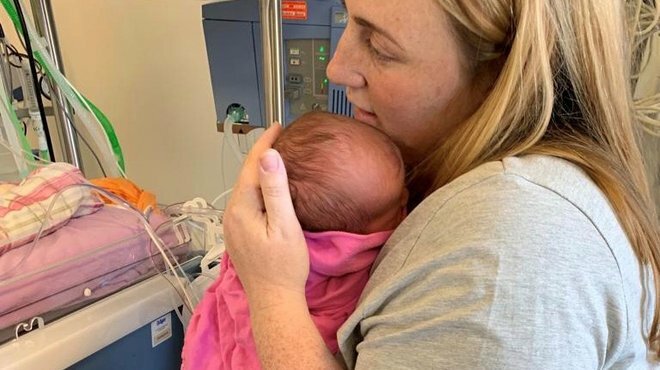 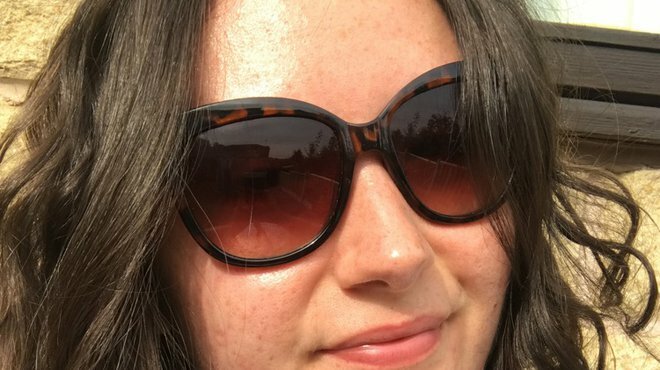 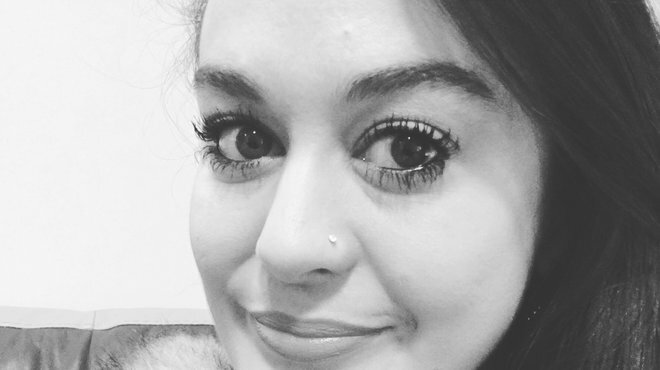 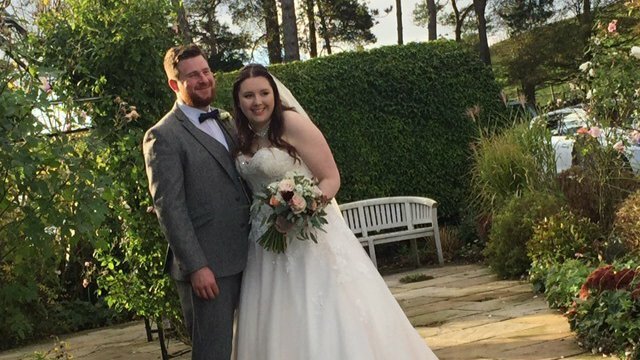 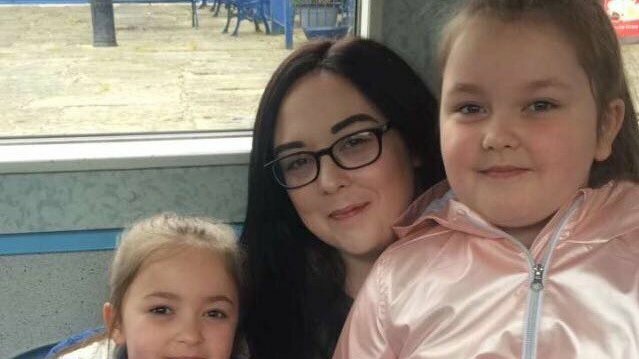 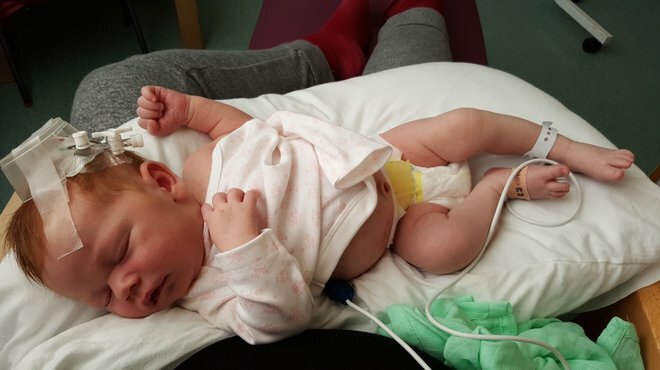 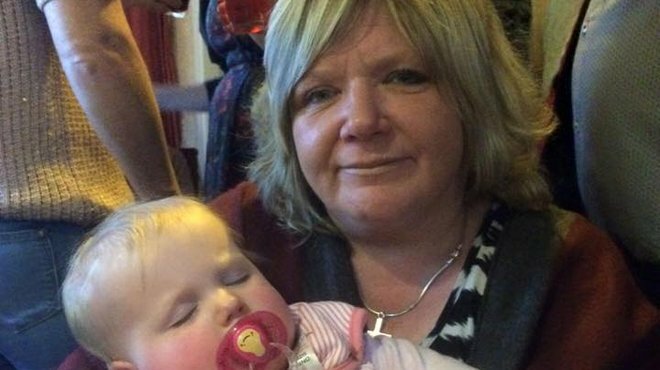 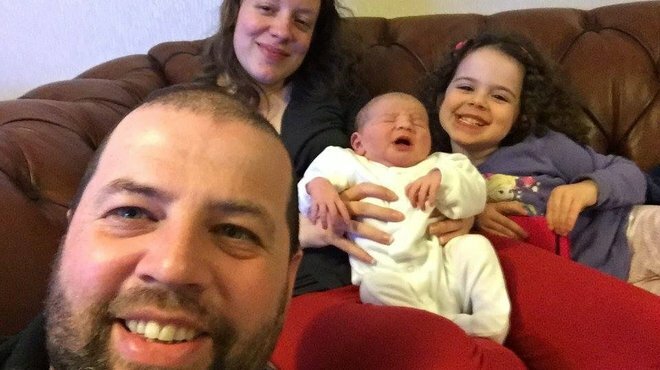 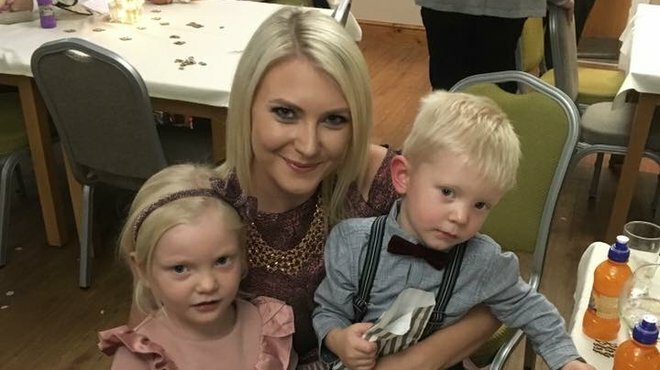 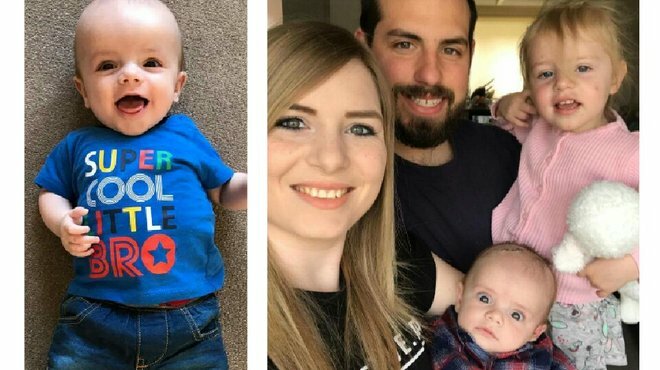 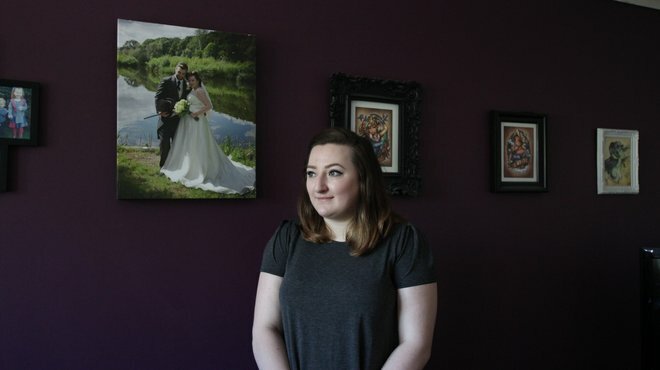 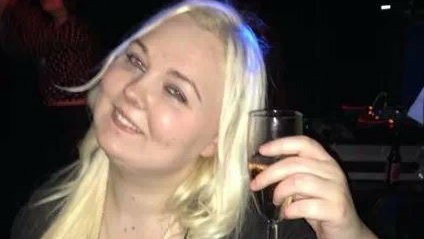 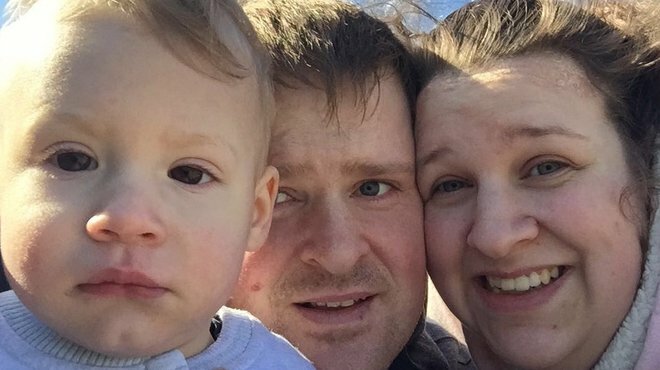 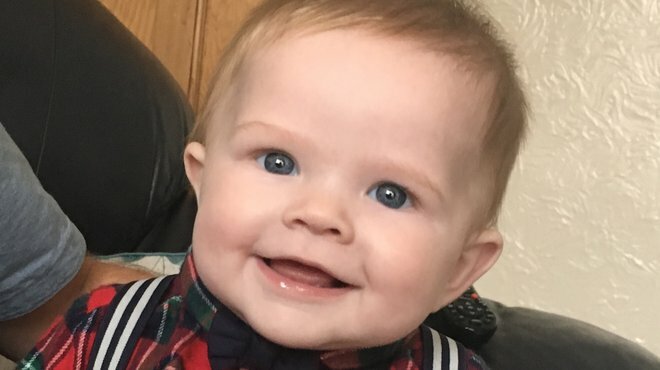 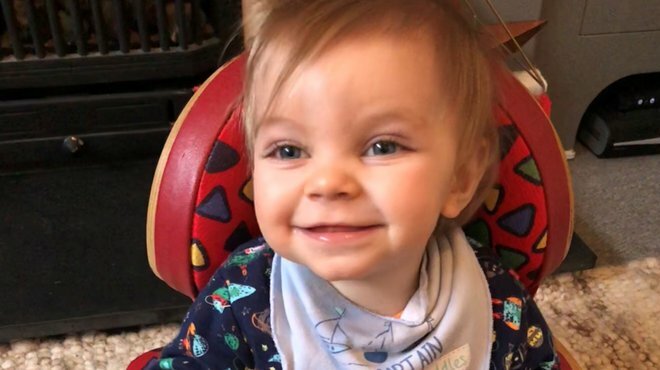 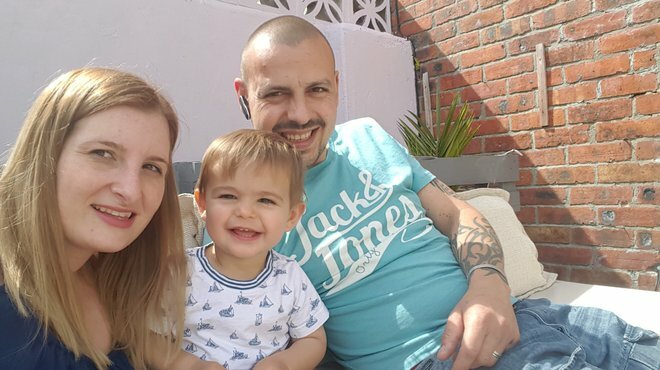 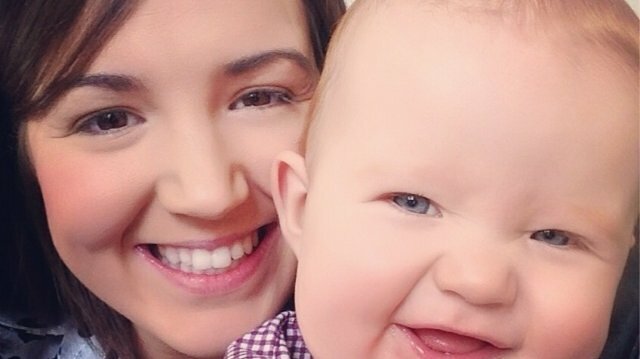 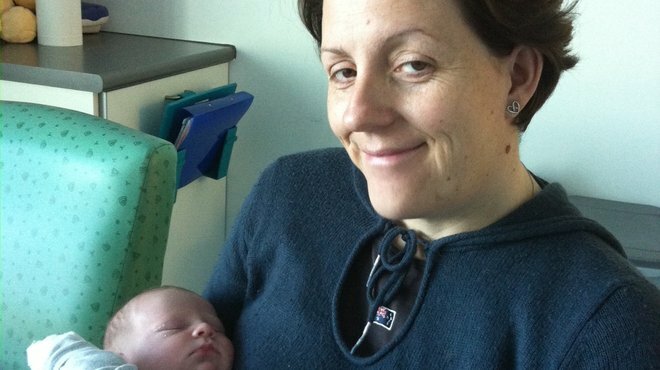 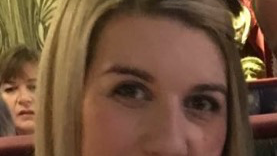 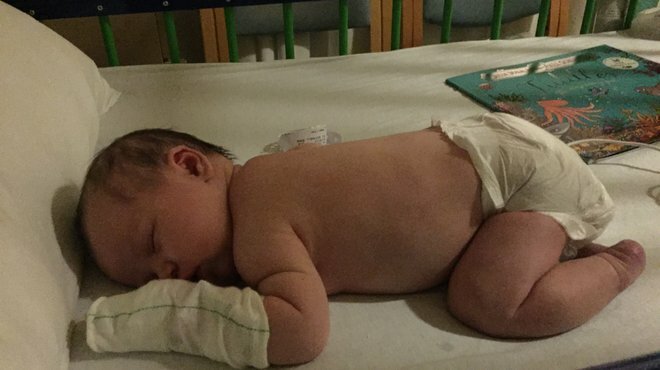 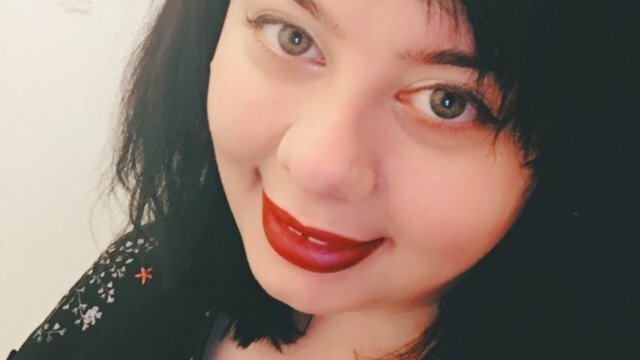 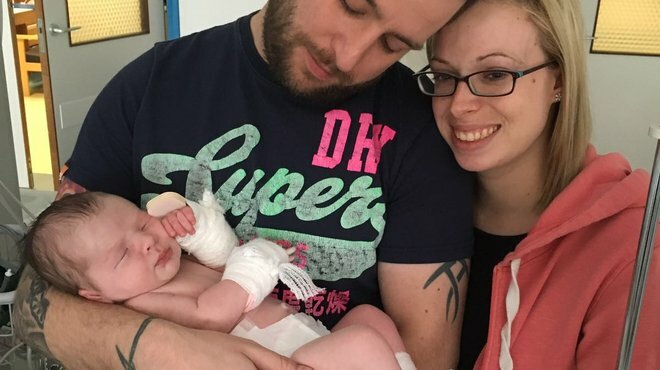 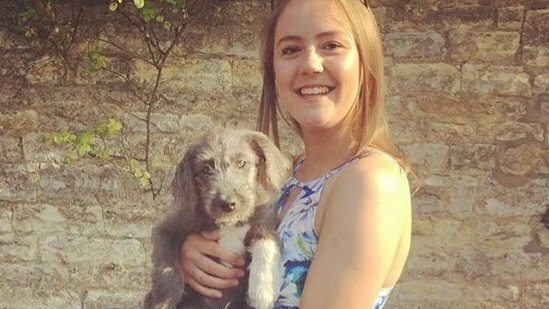 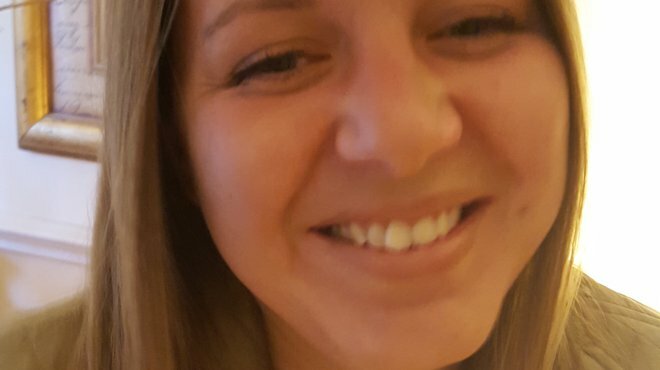 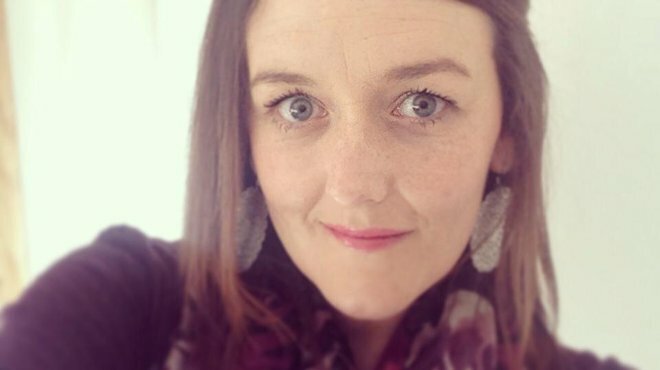 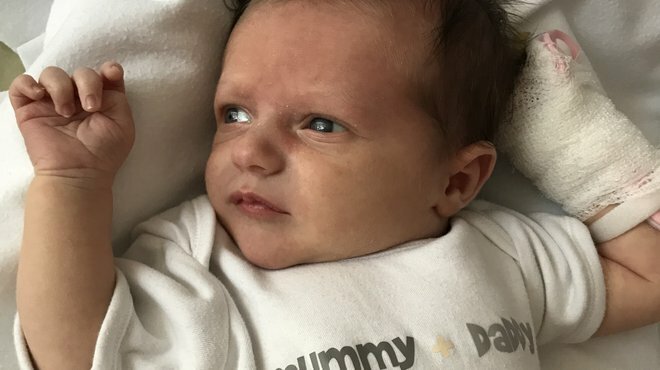 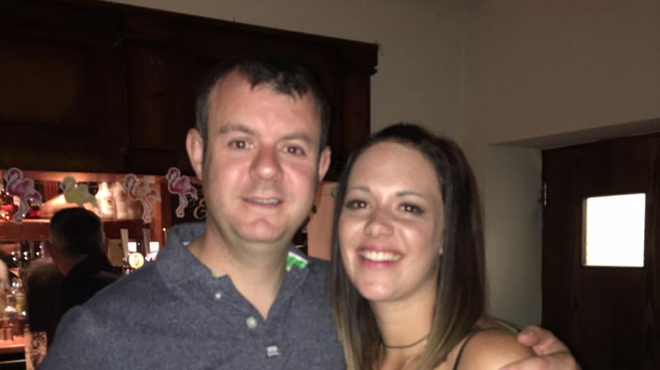 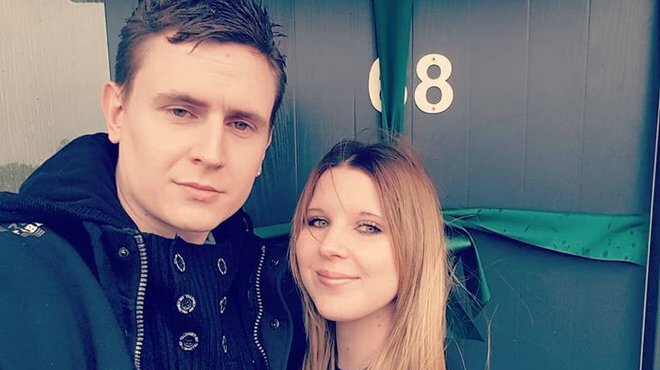 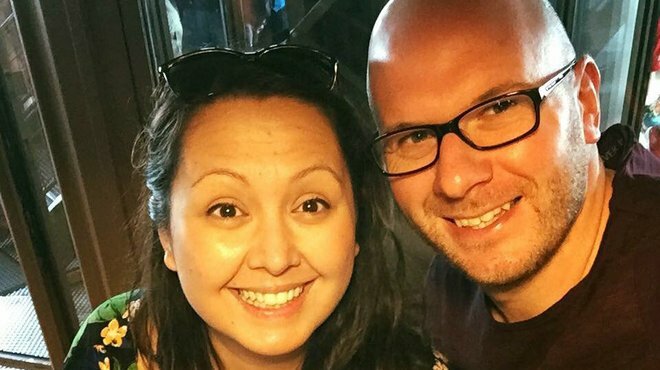 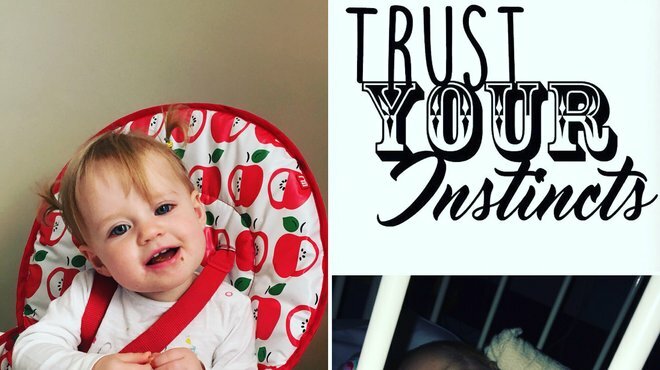 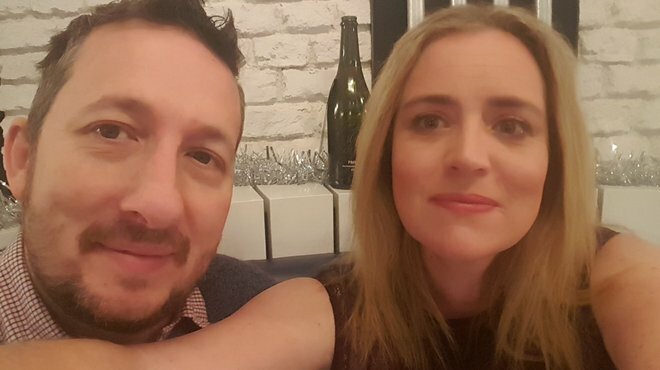 Rebecca Williams fell ill with meningitis when she was 21 weeks pregnant, which initially caused confusion with doctors who thought she had a migraine. 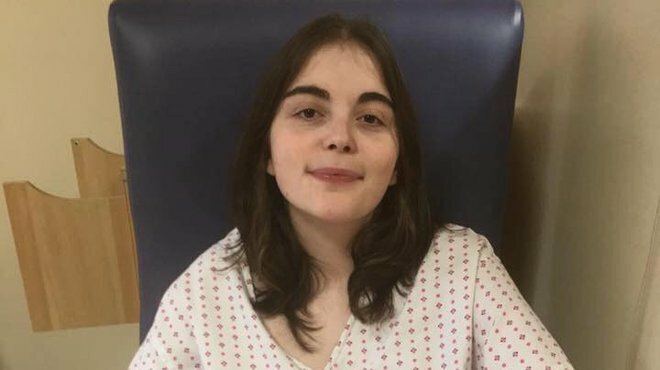 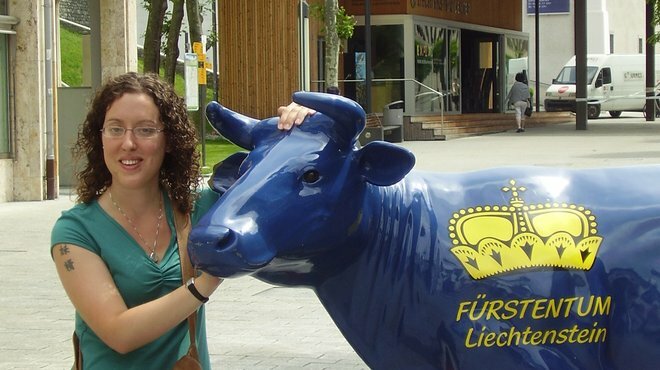 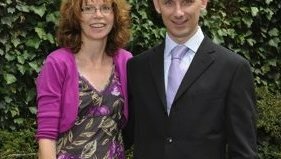 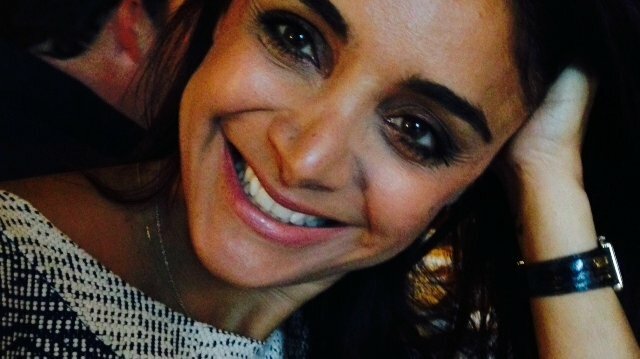 I met Tess at university – I was very nervous on my first day, I didn’t know anybody else on my course and one of my biggest worries was settling in somewhere completely new. 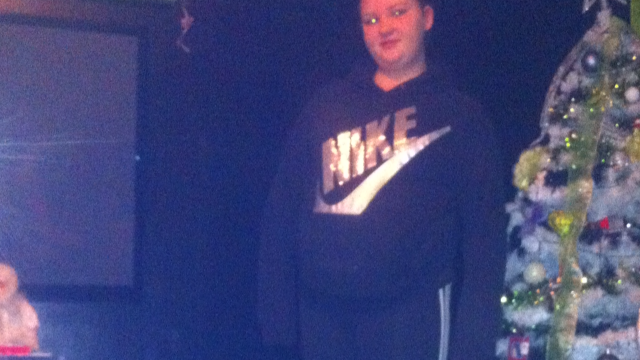 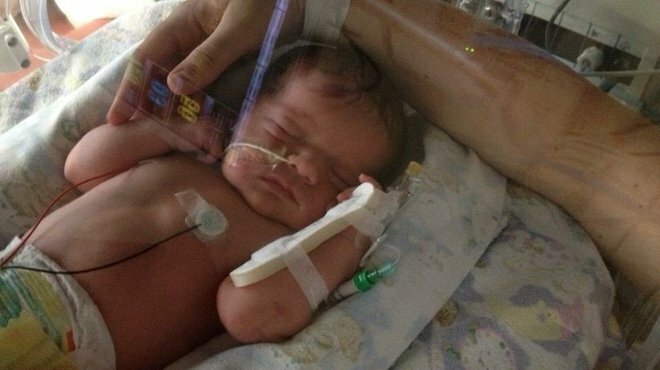 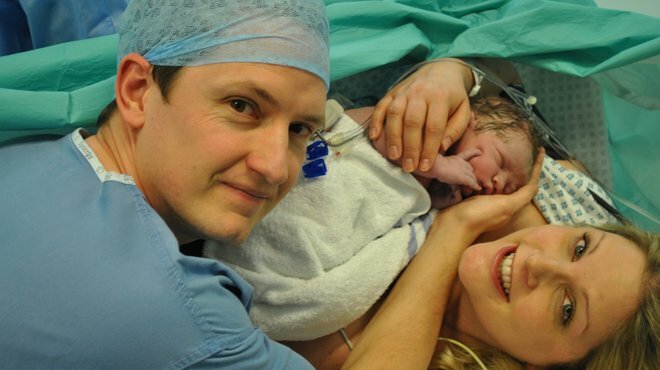 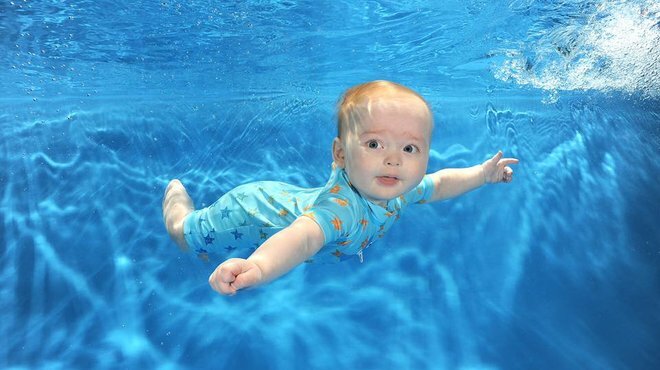 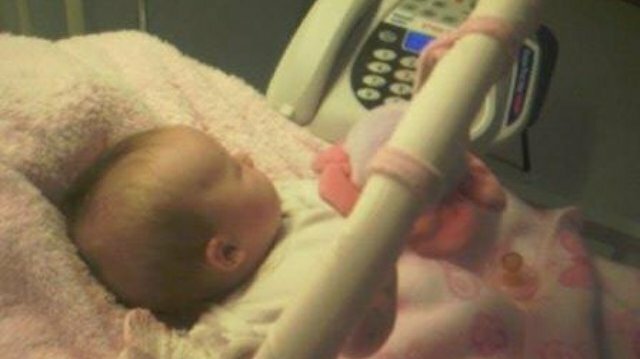 In October 2012 Hayley’s beautiful baby girl Amber was born. 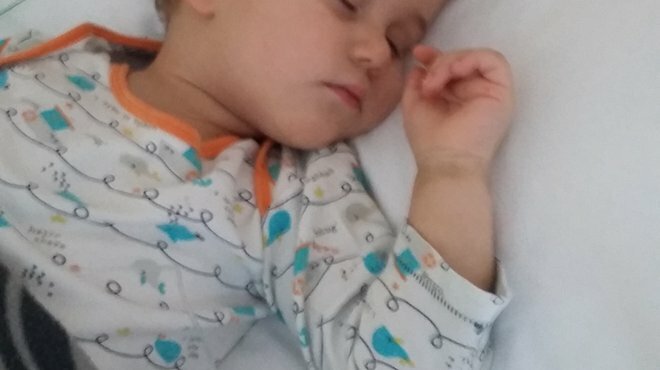 For the first couple of days all was well. 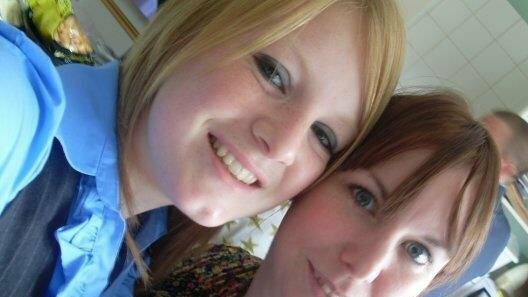 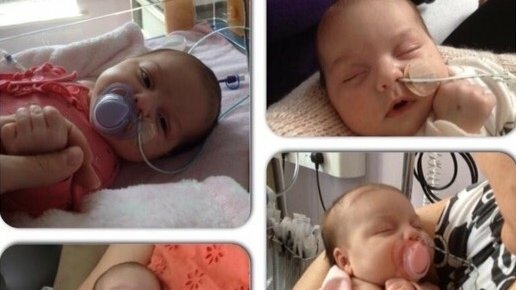 However, when Amber was just five days Hayley noticed she was extremely unwell. 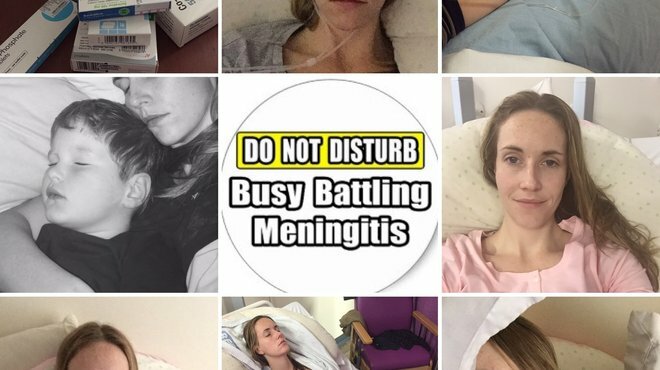 Amber had contracted viral meningitis. 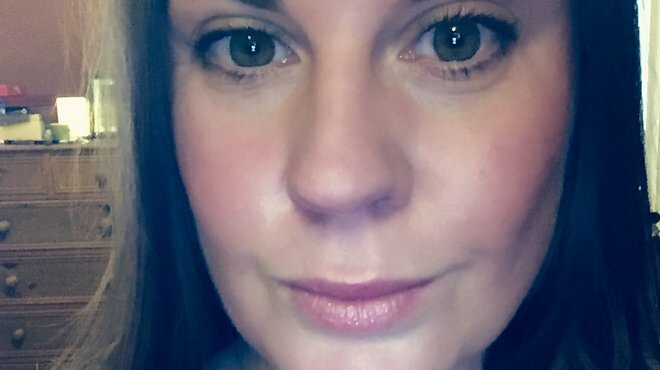 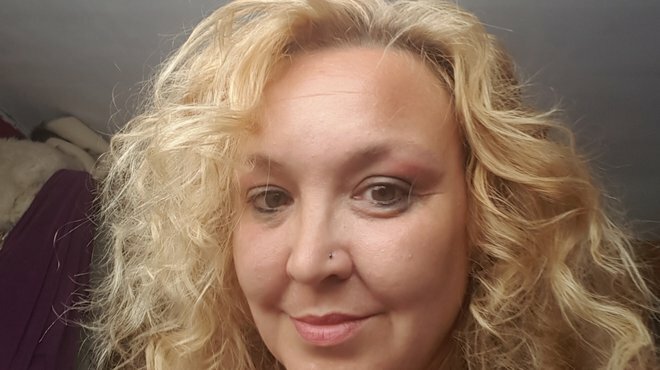 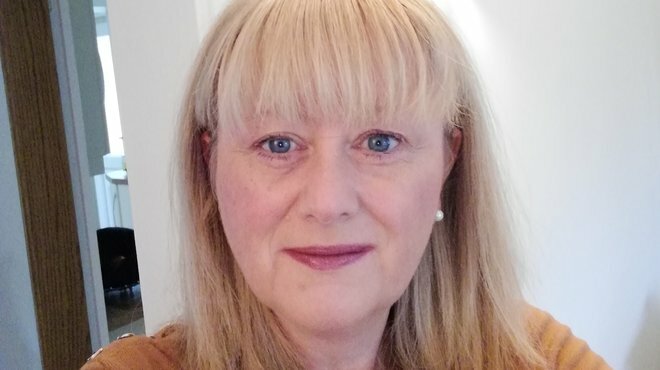 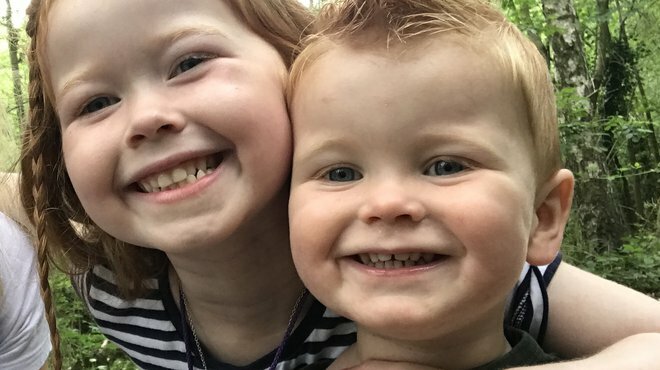 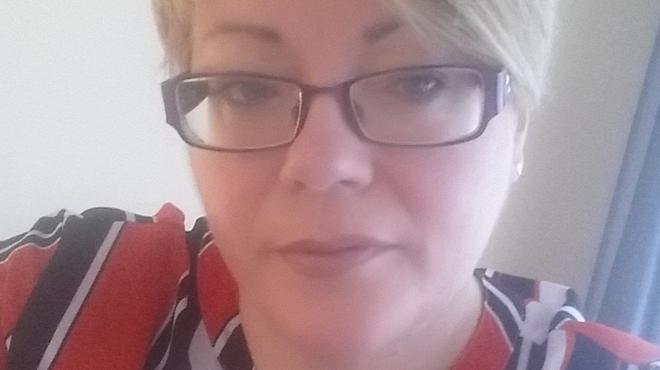 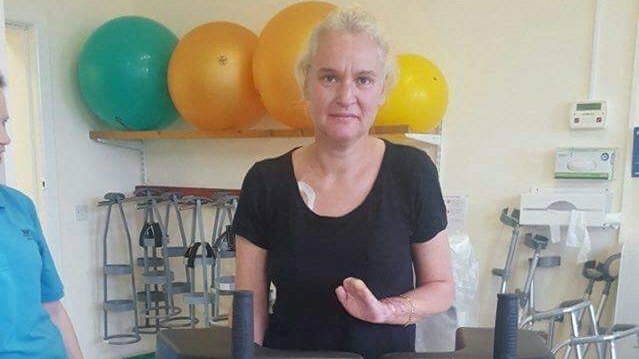 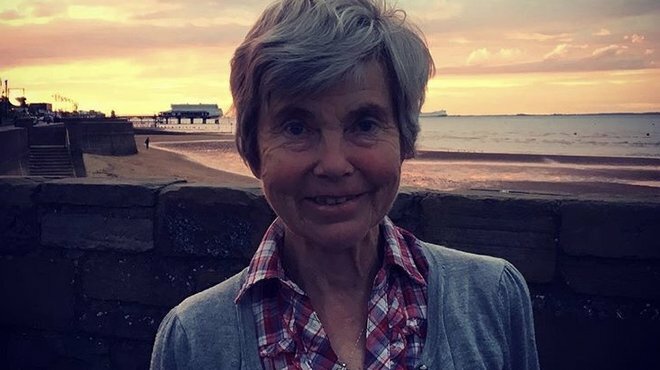 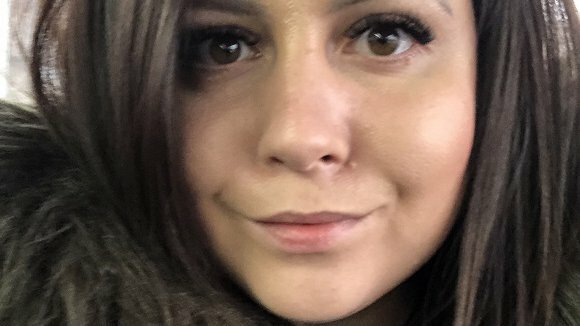 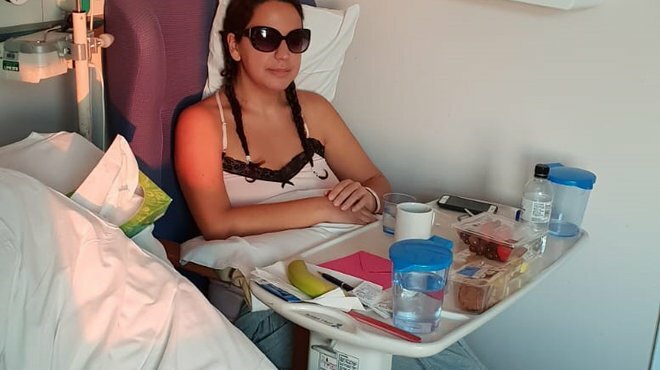 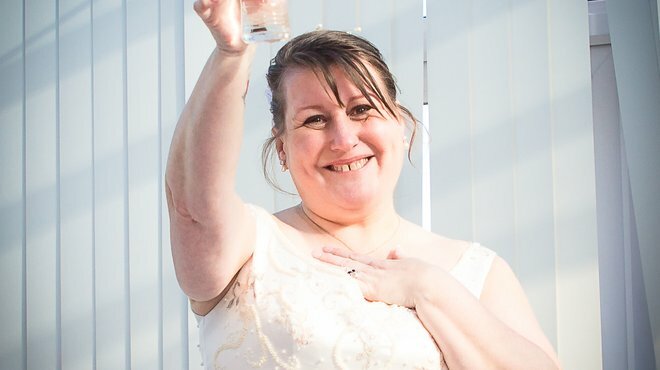 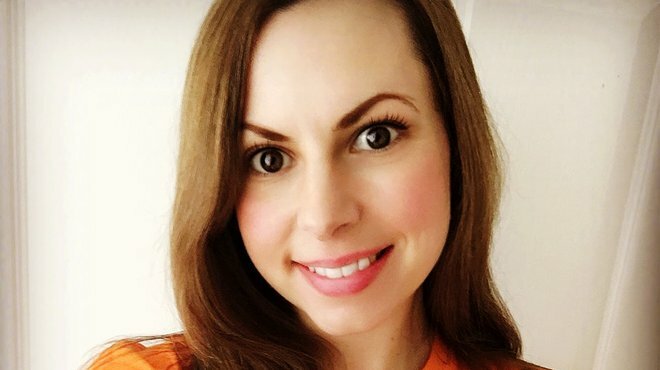 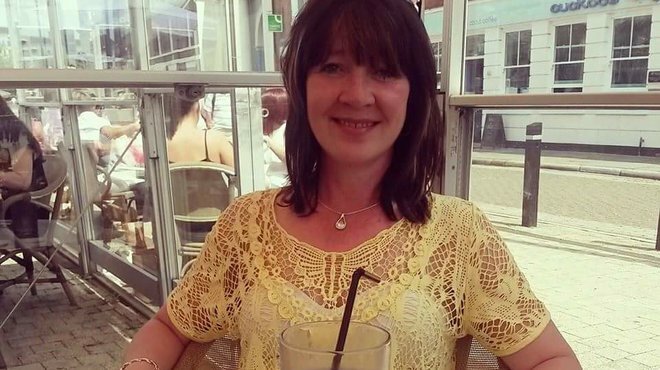 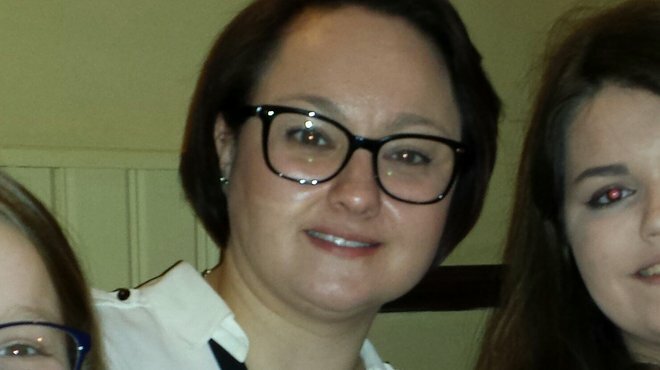 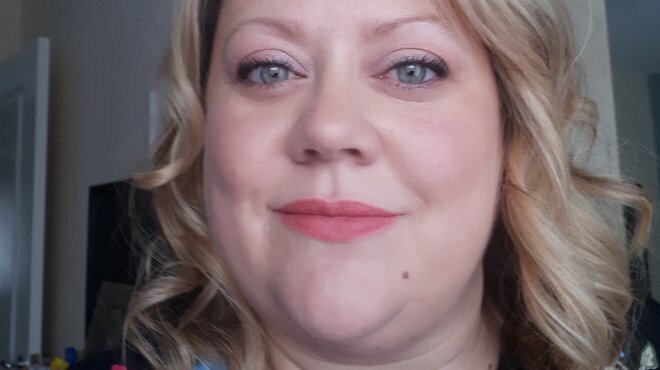 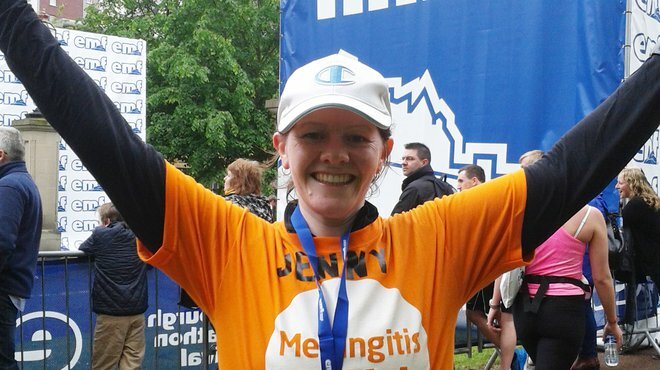 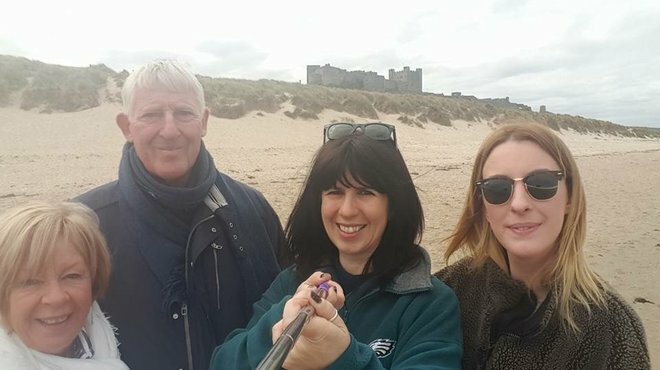 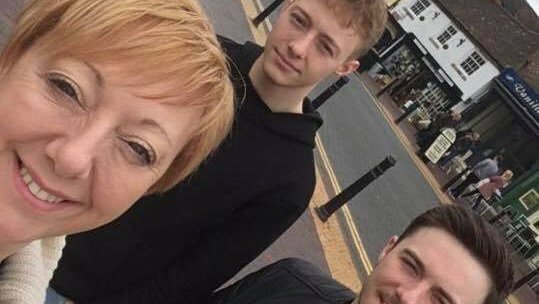 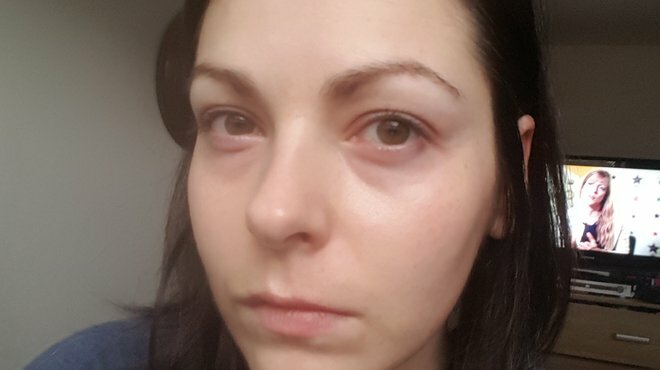 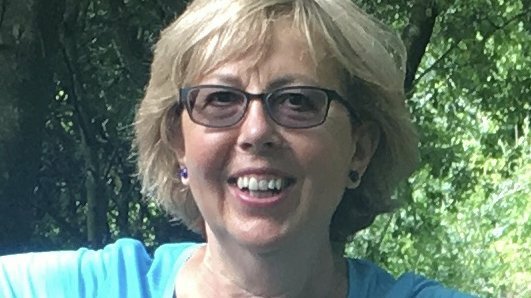 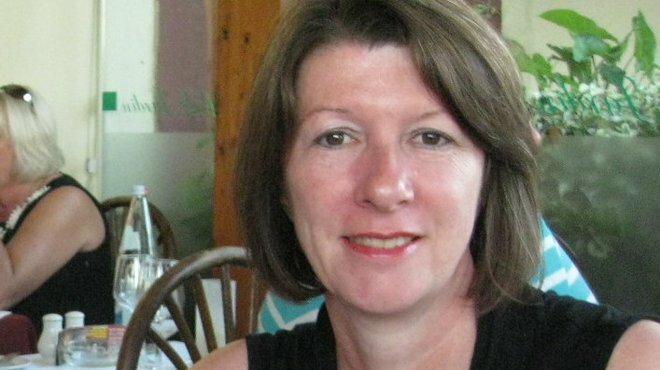 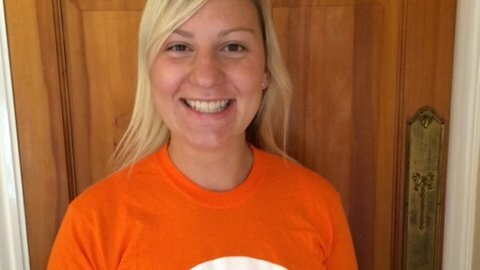 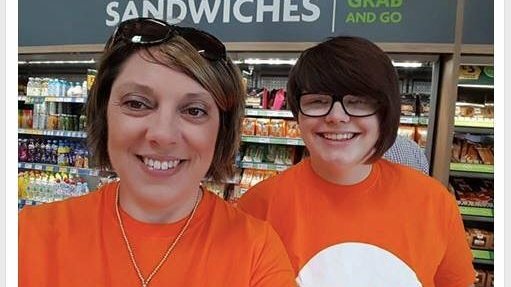 The lack of understanding by some of the healthcare professionals she saw was really frustrating for Jane – one reason why she’s sharing her viral meningitis story. 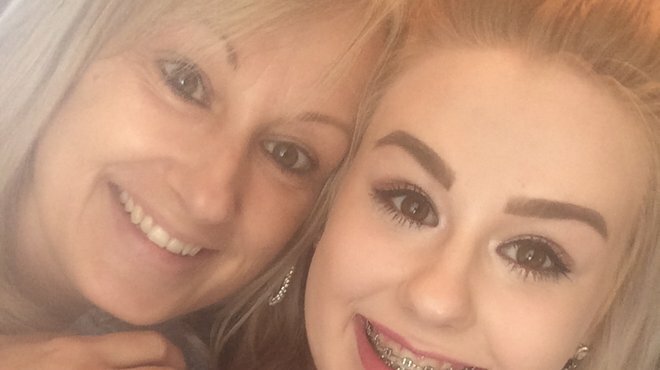 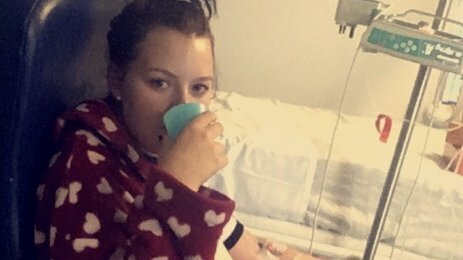 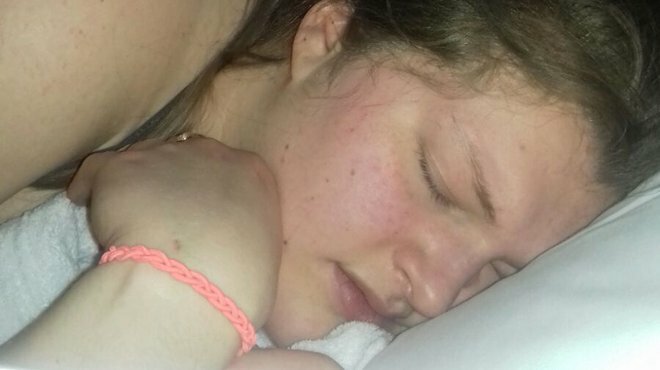 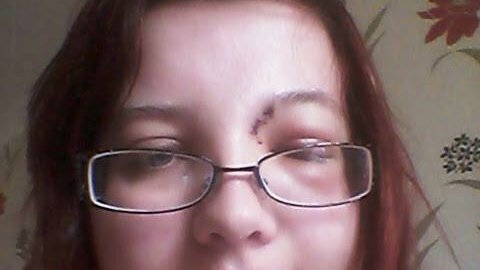 Tracey’s 15-year-old daughter Sarah, from Skegness in Lincolnshire, had a headache for three days before she was admitted to hospital. 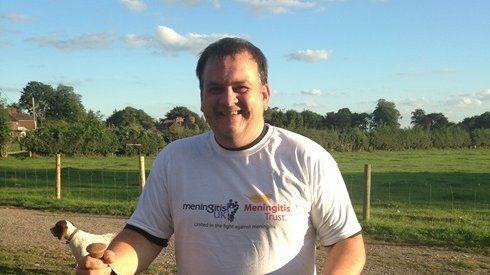 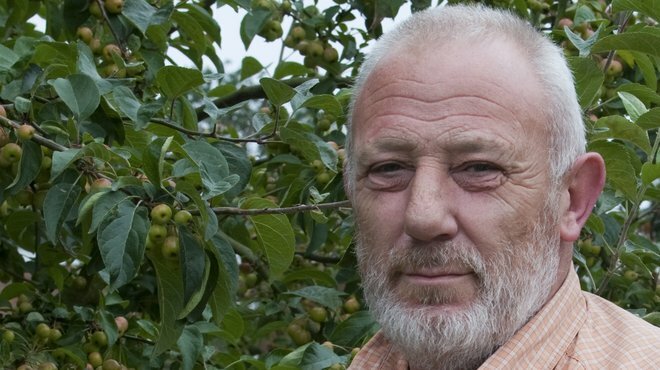 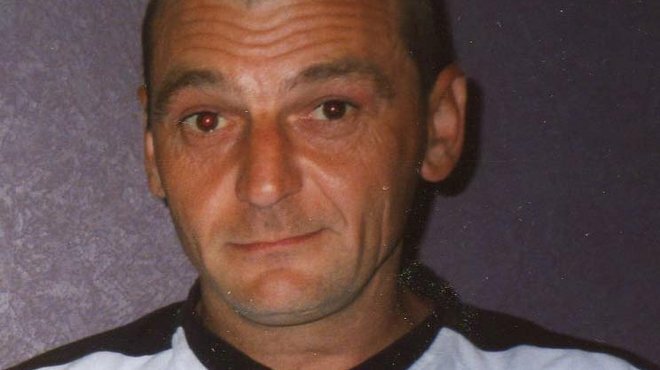 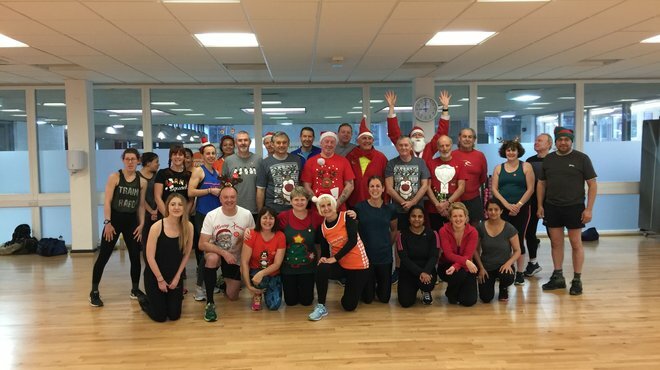 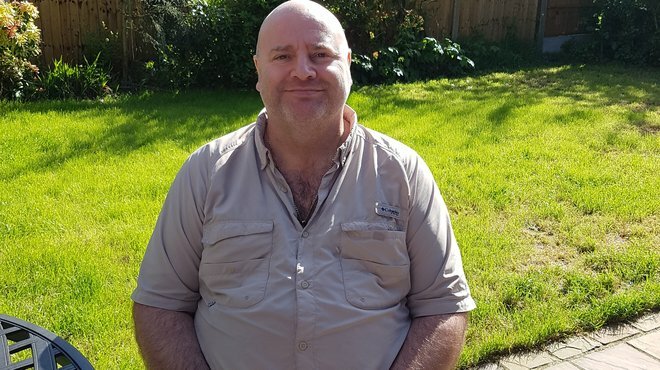 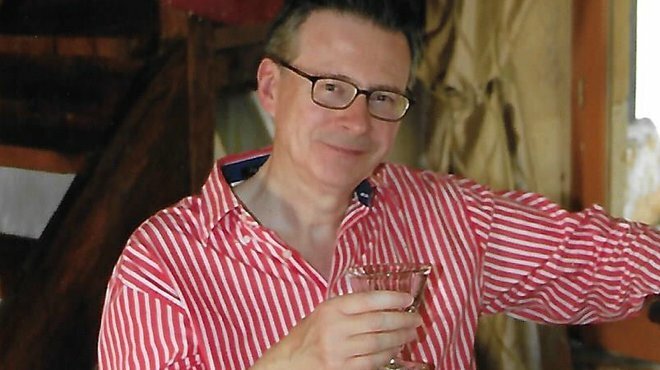 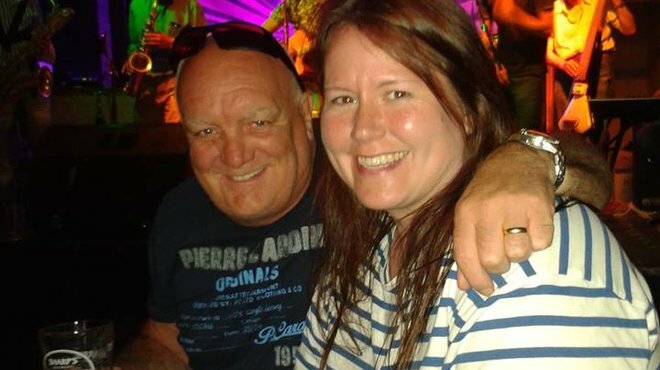 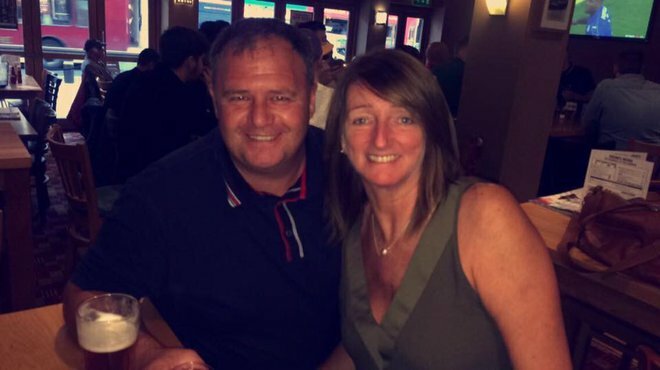 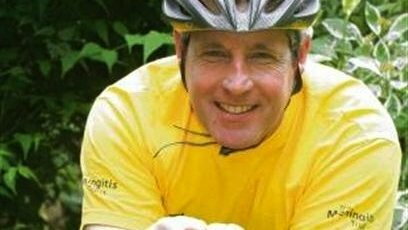 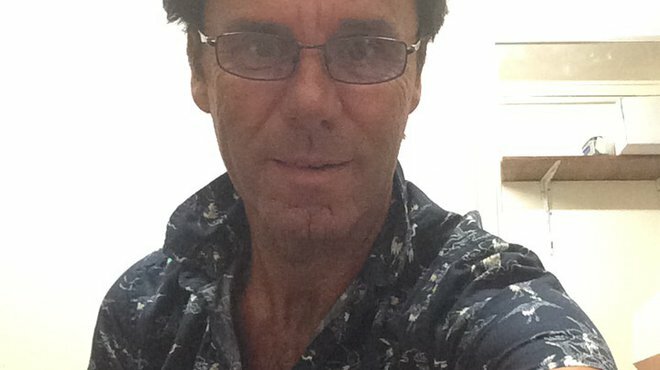 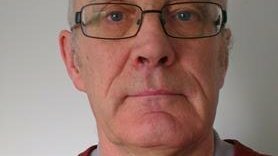 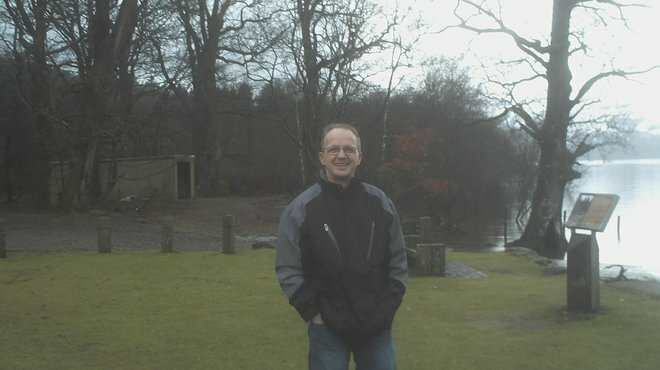 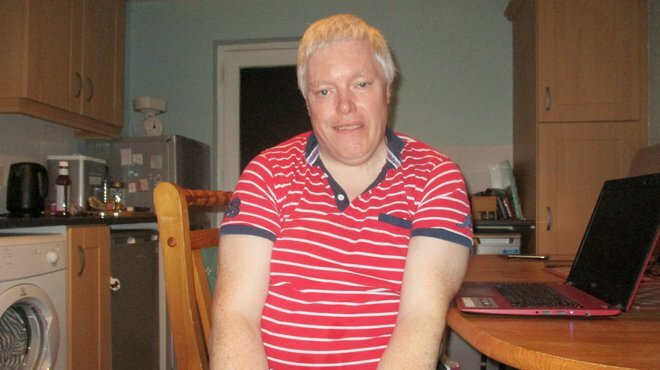 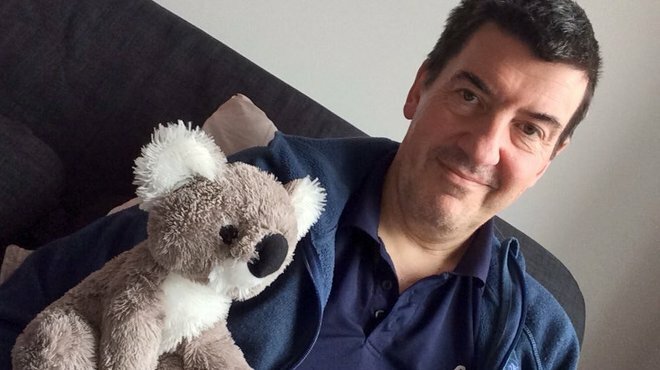 Before meningitis Andy, now 62, was a bar manager, working long hours but as a result of his illness he struggled to walk or even stand for any period of time and struggled to remember things. 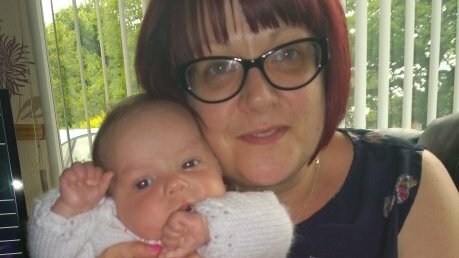 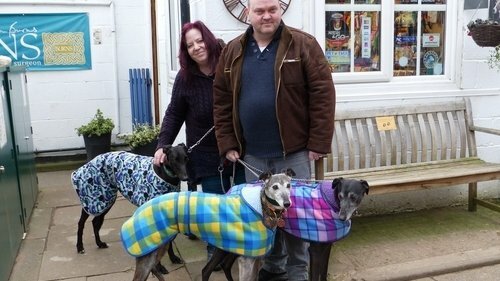 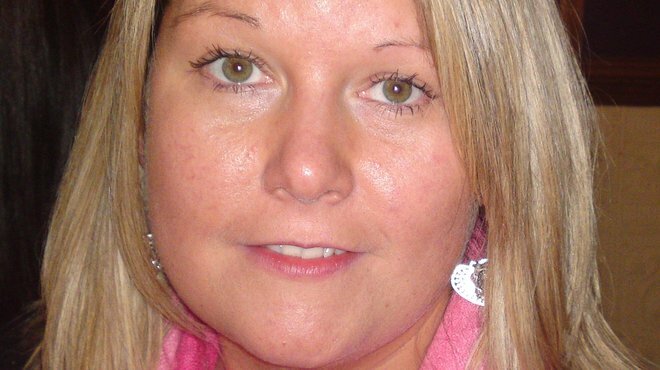 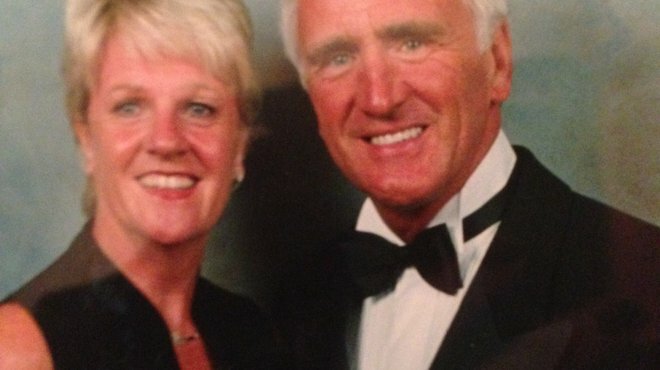 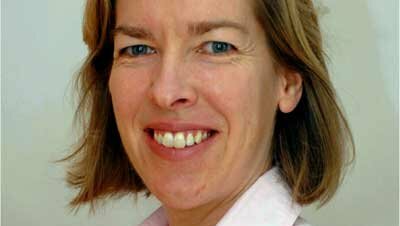 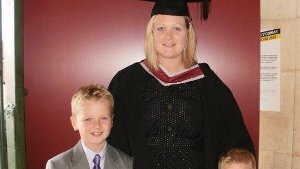 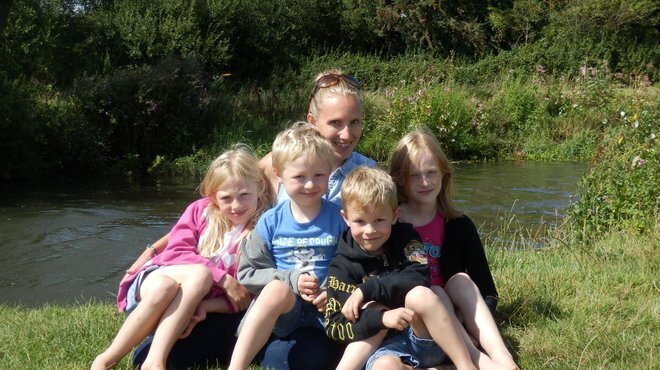 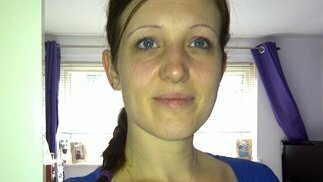 In December 2012 Amanda-Jayne Buckland, 30 from Norfolk, began suffering from excruciating headaches. 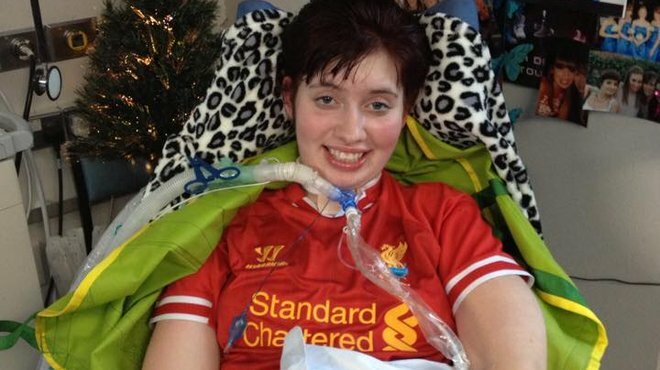 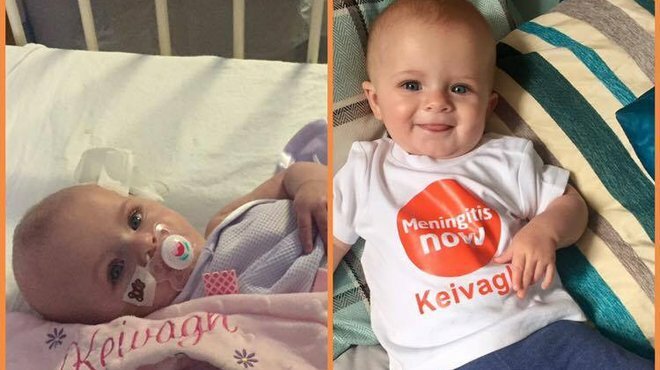 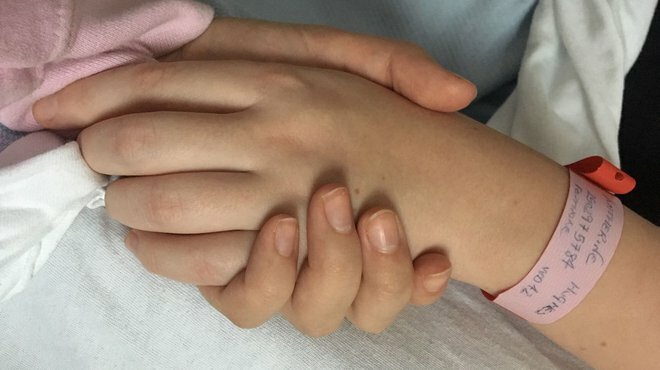 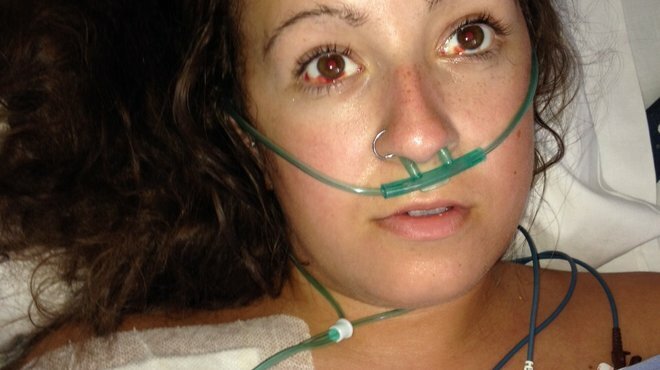 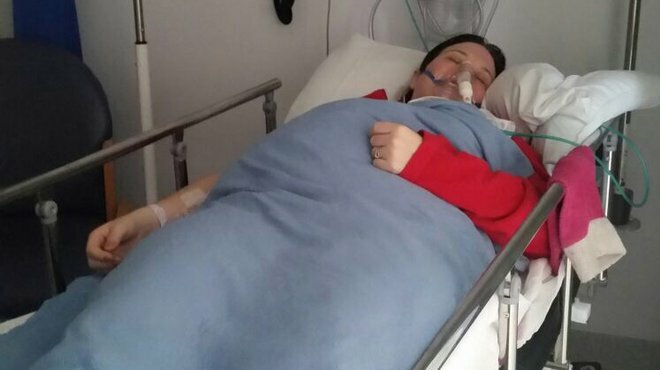 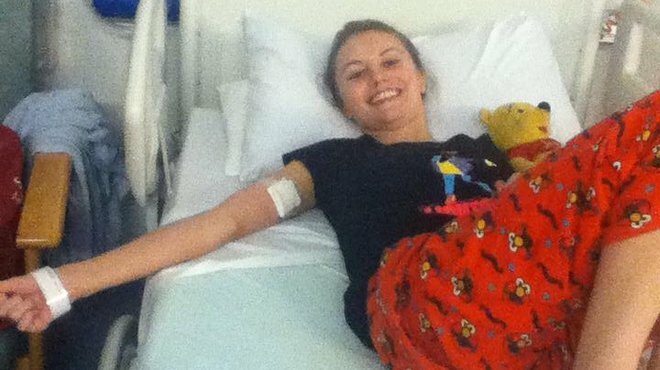 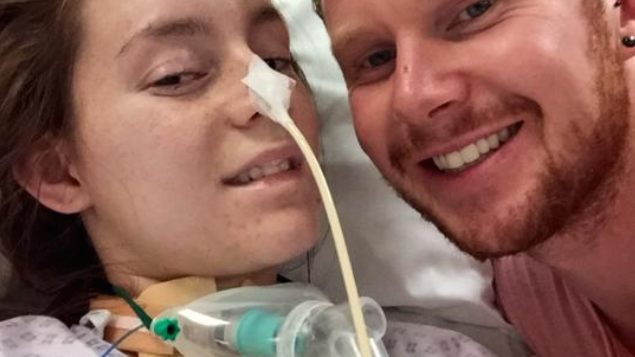 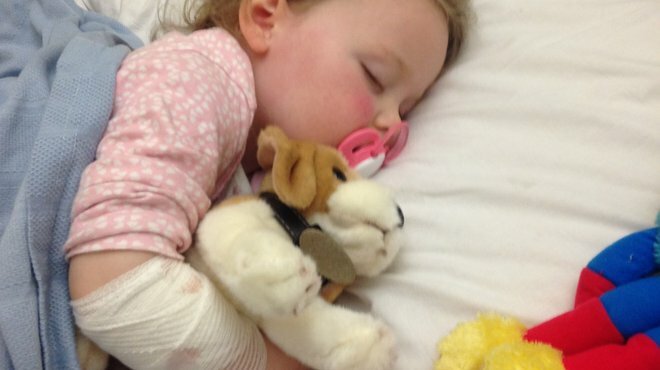 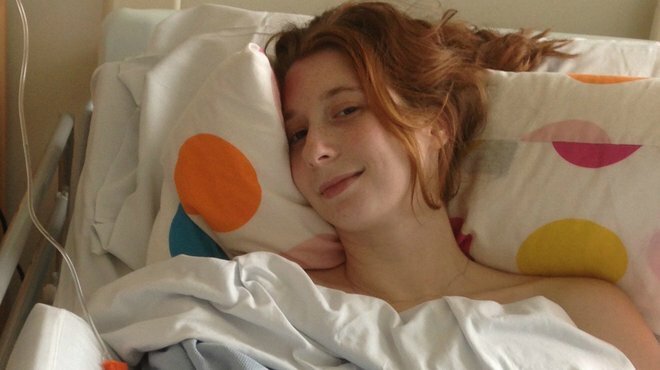 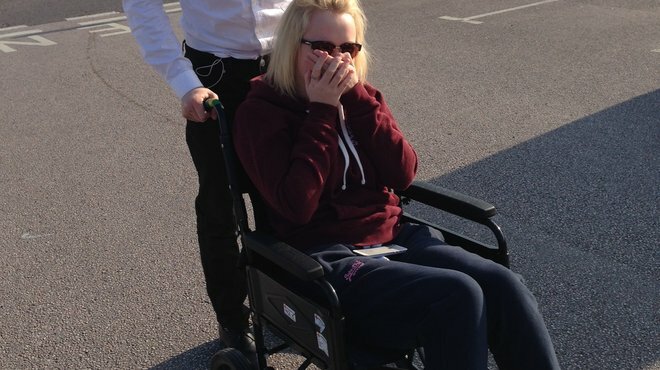 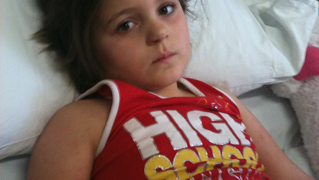 Days later, she woke up in hospital, blind and confused, to be told she had viral meningitis. 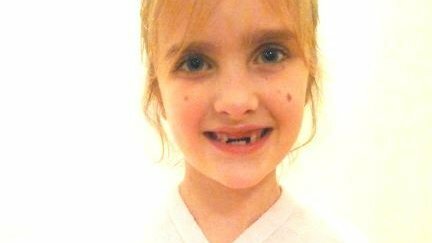 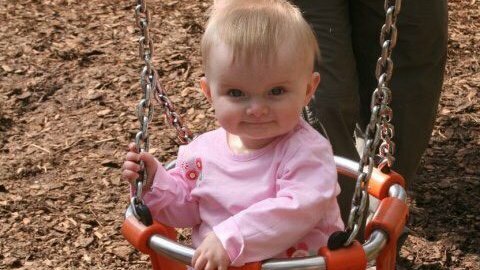 Lively Grace Elizabeth Merridan died in February 2010 from meningoencephalitis - an acute swelling of the brain and its lining. 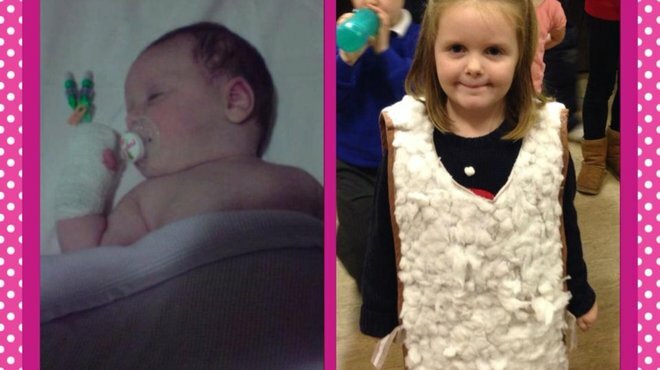 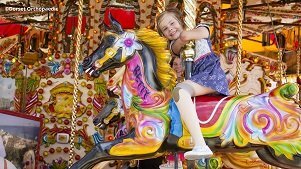 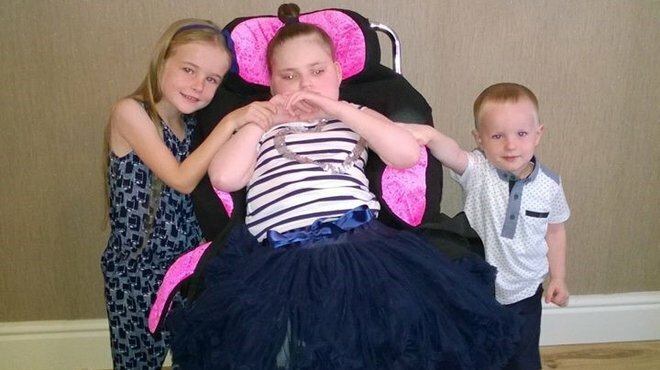 Aaliyah's family were proud of their little princess and how she was overcoming being born without a hip. 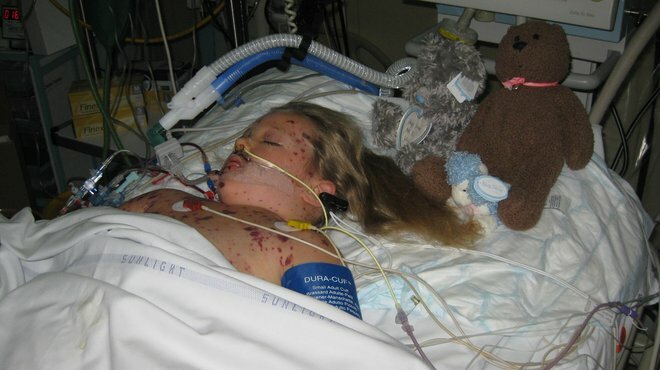 But, tragedy struck in 2009 when she fell ill with meningitis. 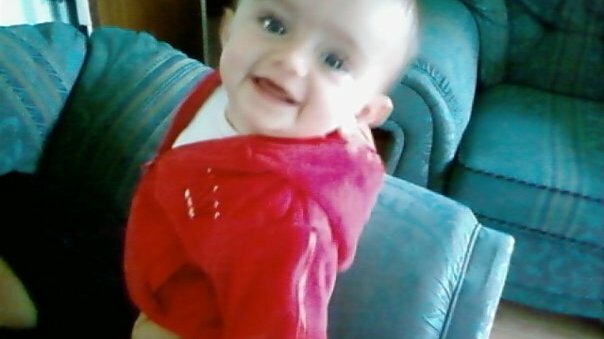 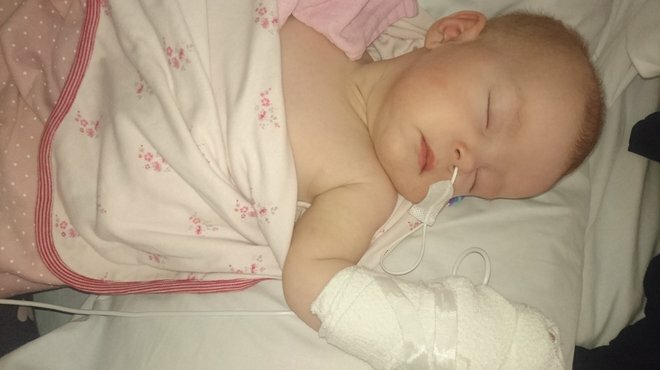 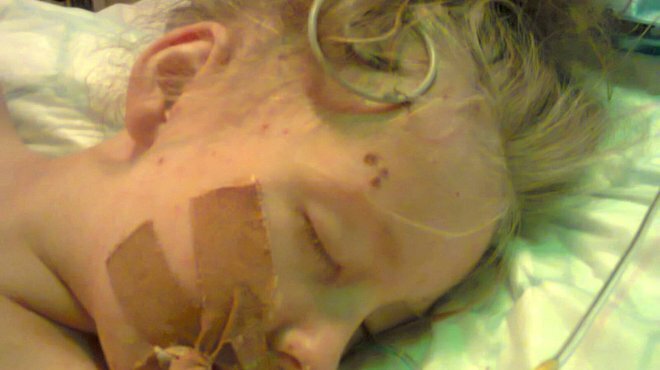 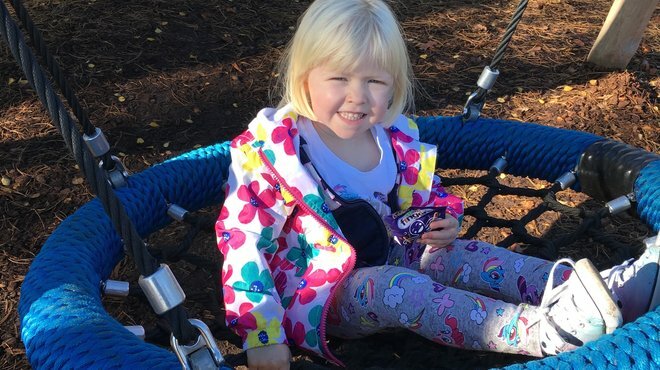 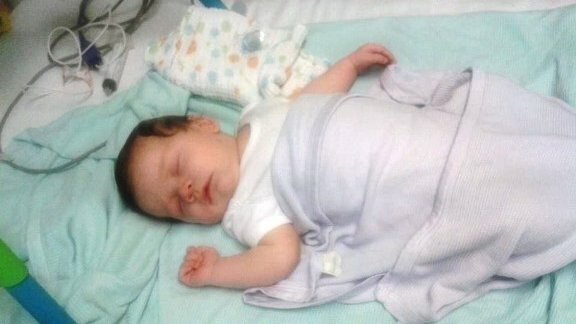 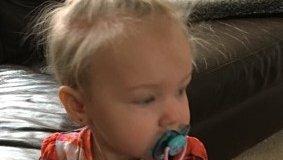 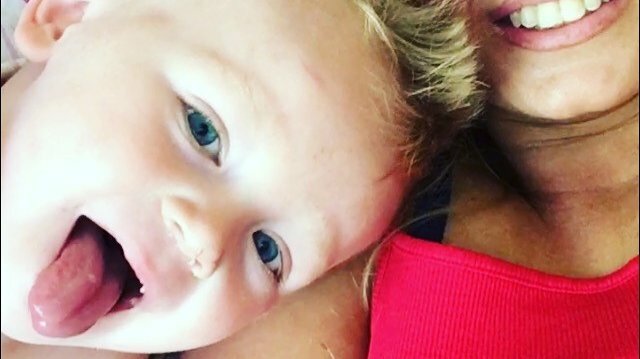 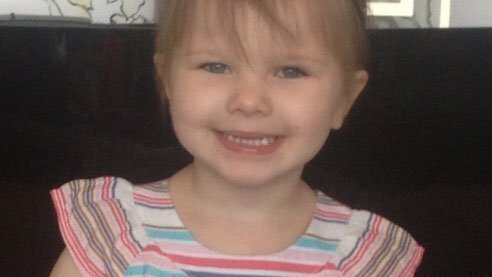 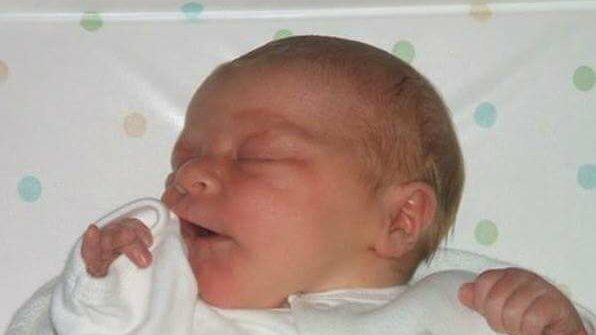 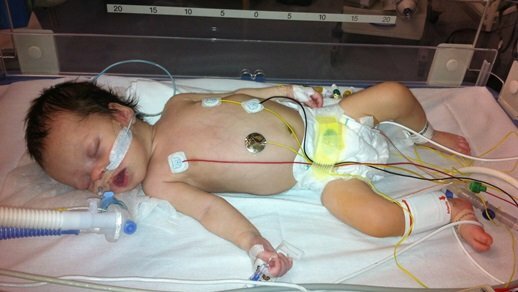 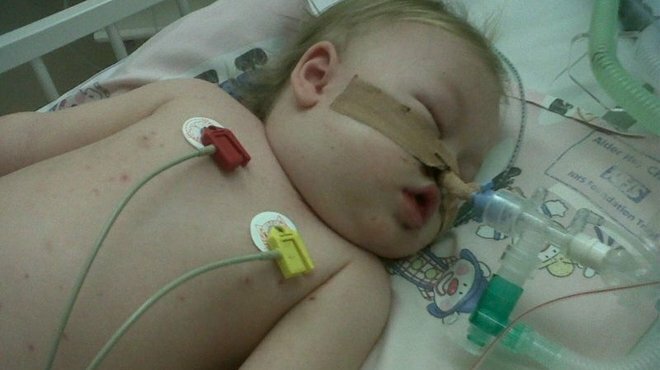 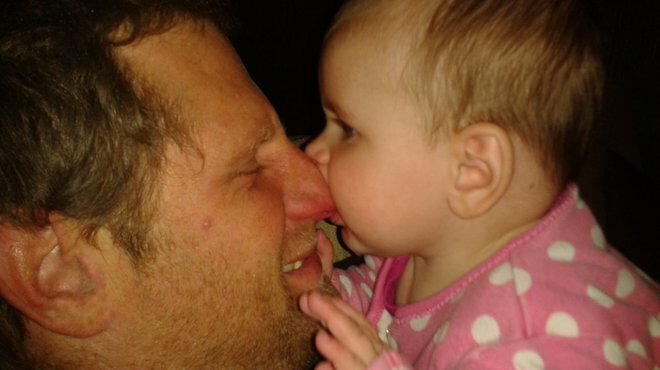 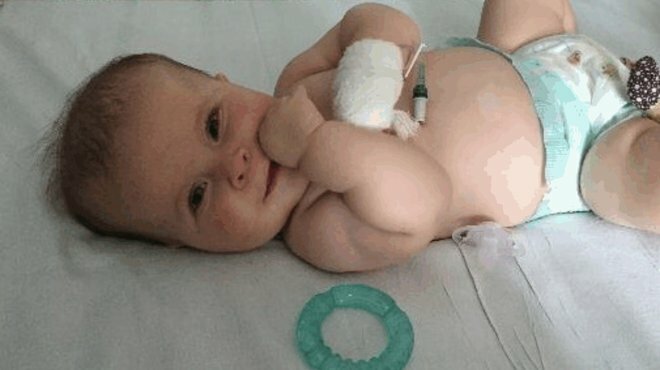 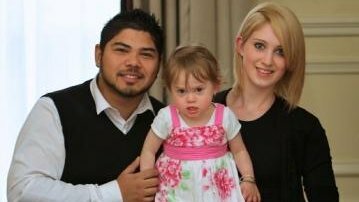 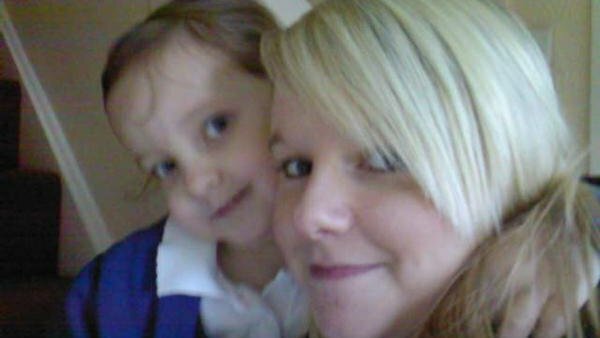 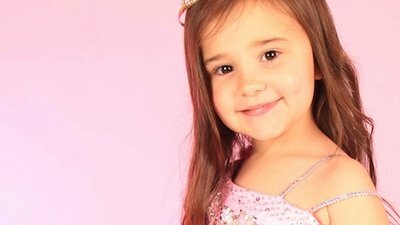 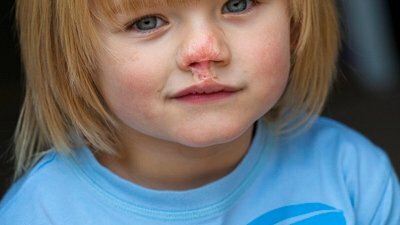 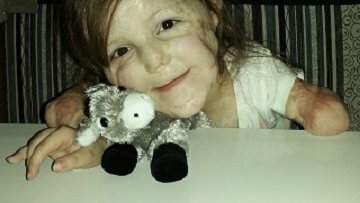 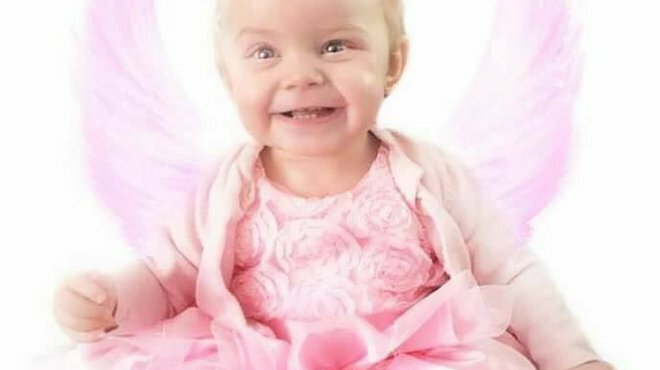 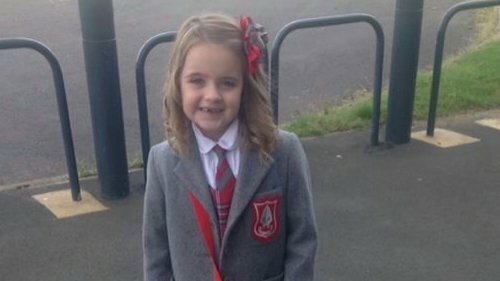 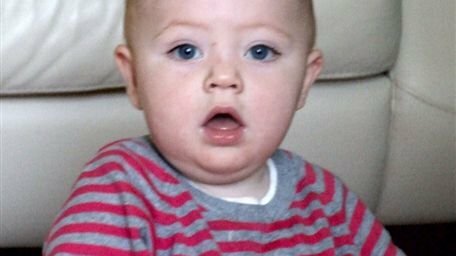 Toddler Georgia's death hit the headlines in August 2009 after doctors twice misdiagnosed her as having swine flu. 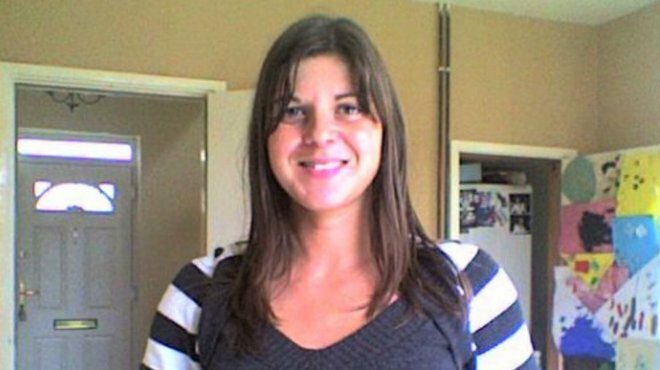 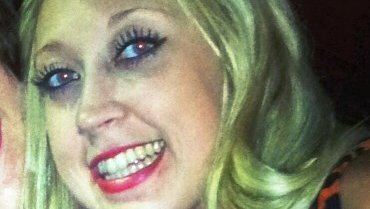 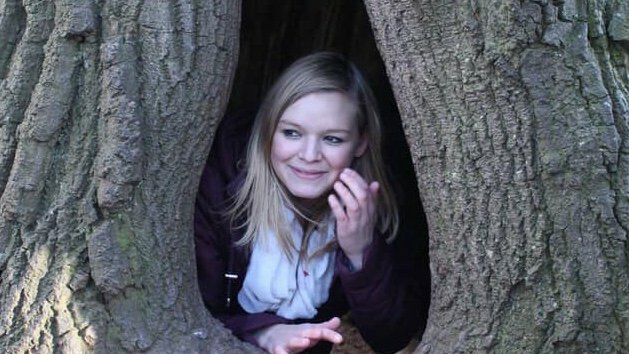 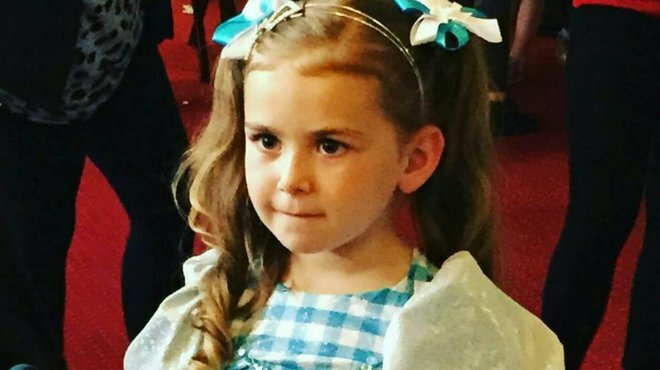 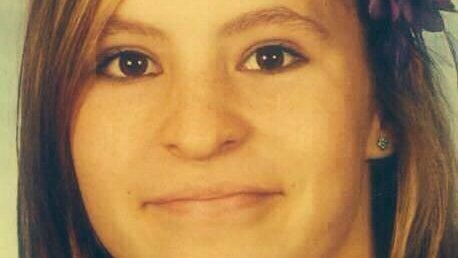 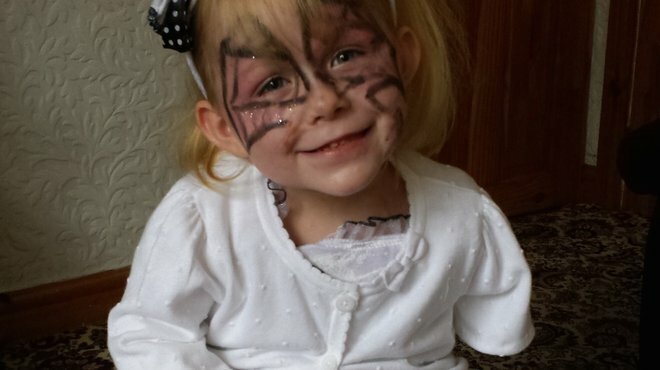 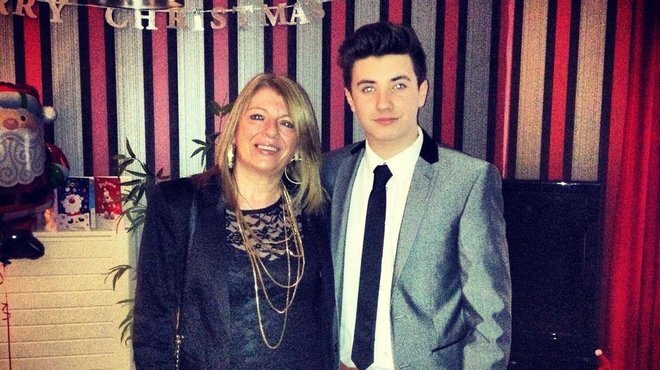 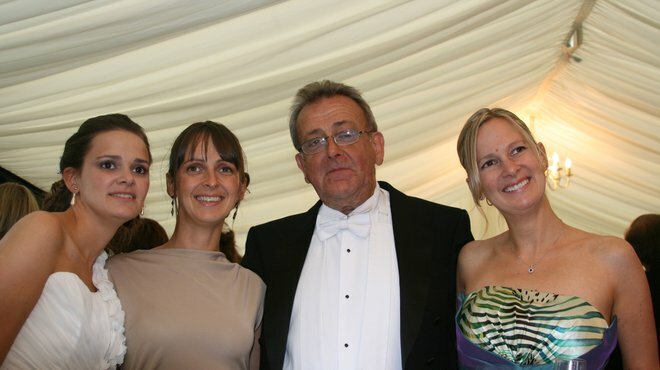 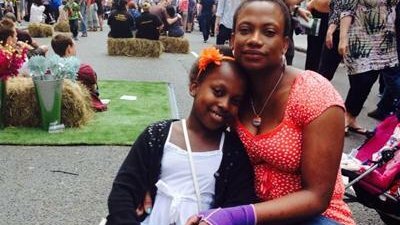 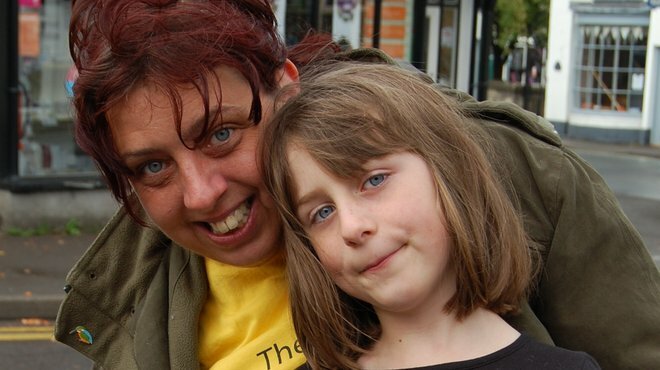 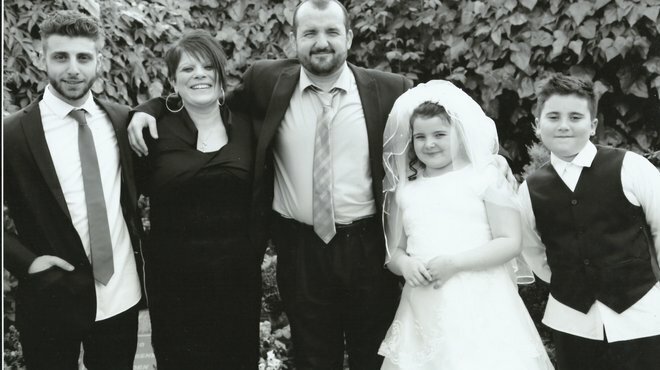 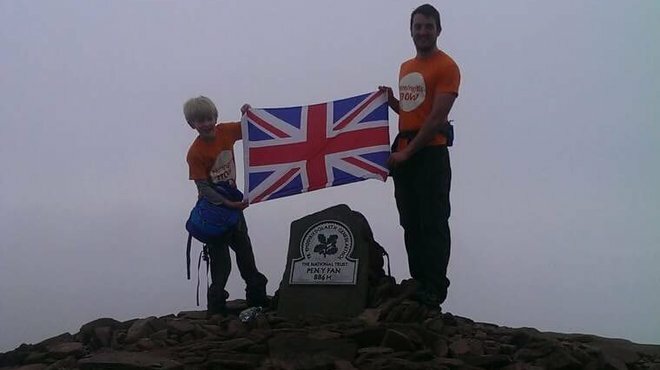 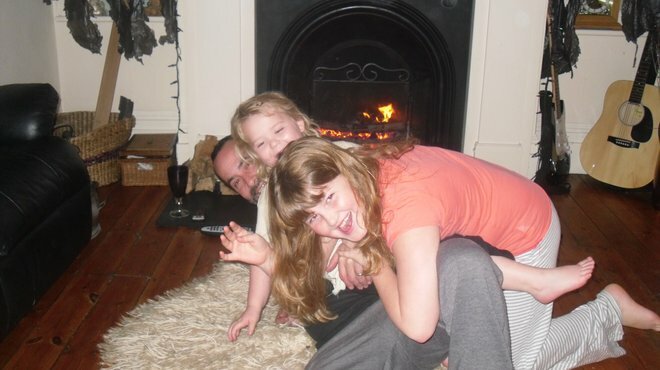 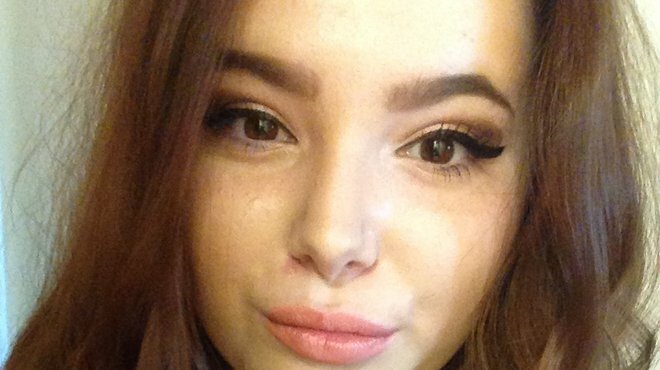 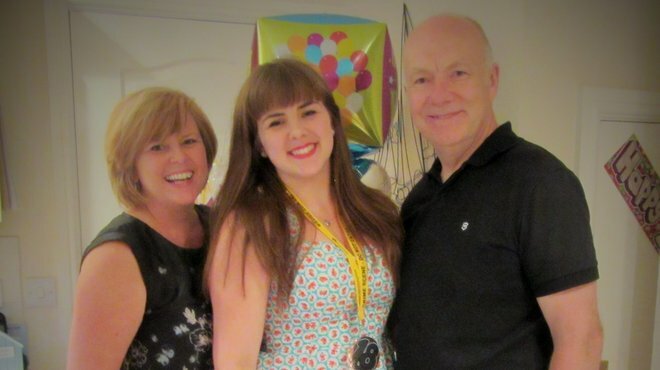 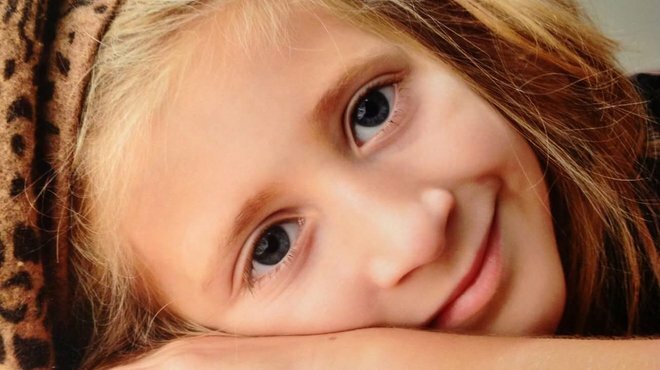 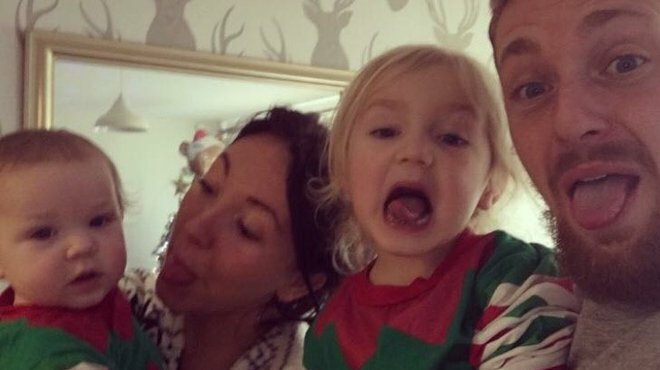 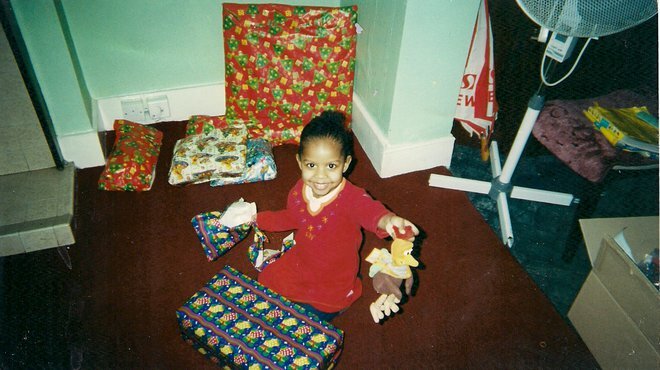 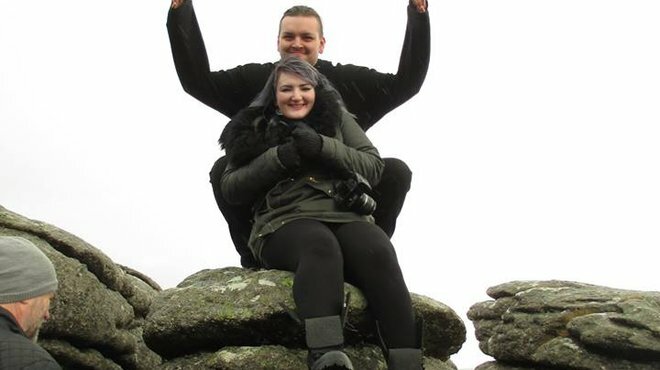 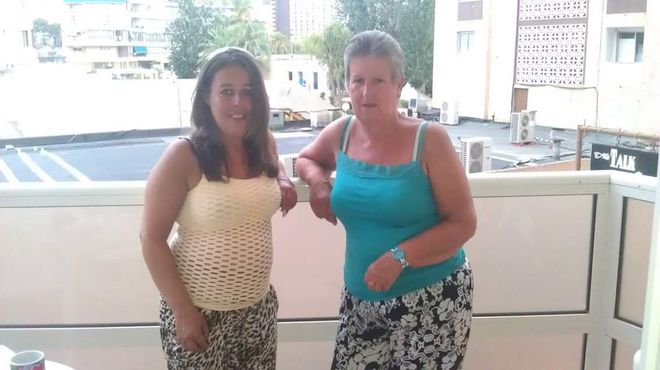 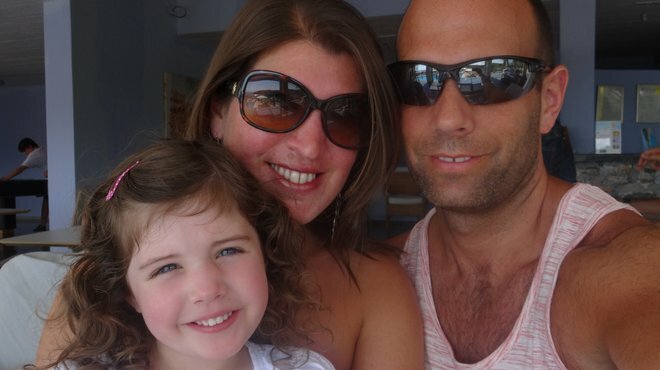 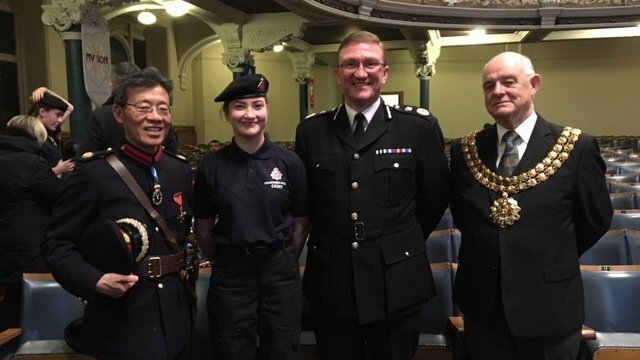 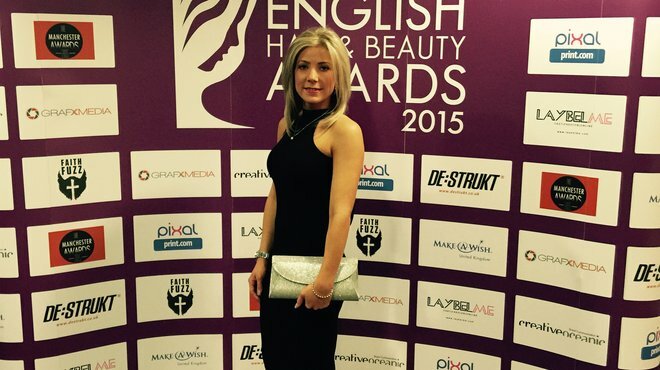 Her parents Paul and Tasha have embarked on a fundraising mission in her memory. 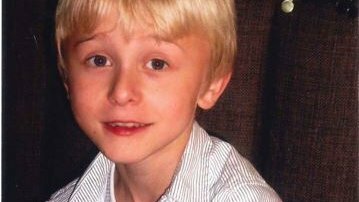 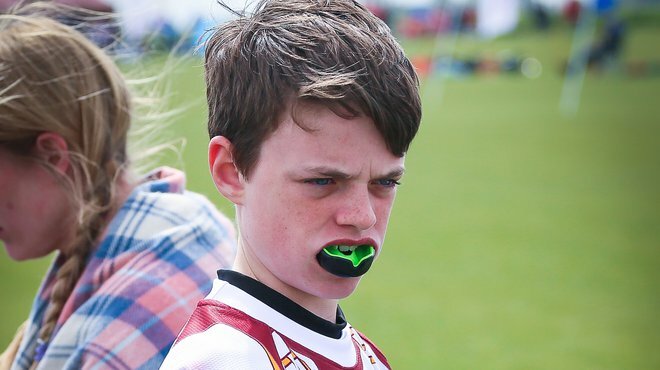 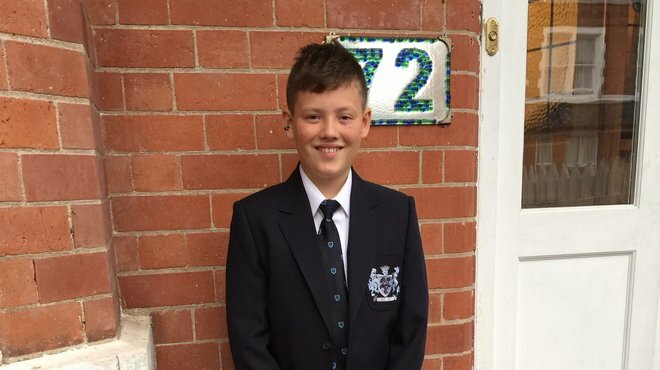 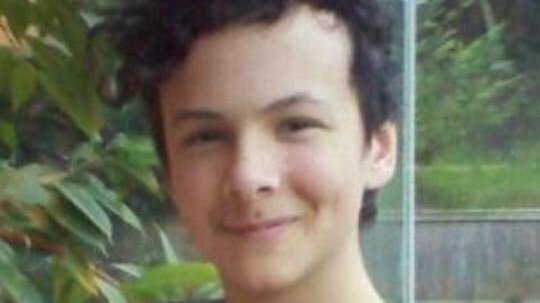 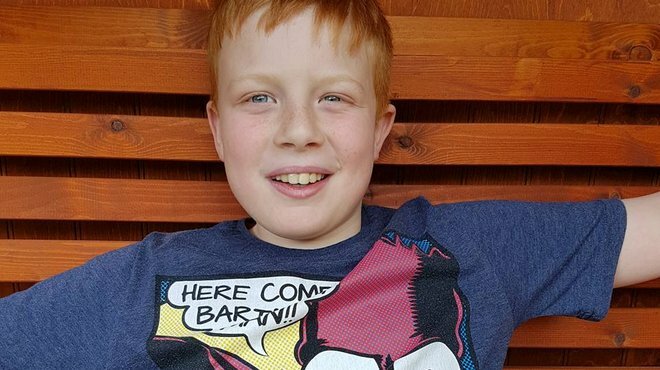 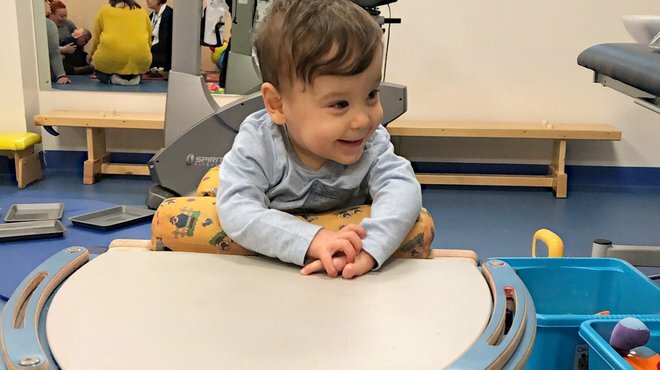 Ben Sillwood would be at senior school now, but sadly the youngster didn't live to see his second birthday after losing his battle against pneumococcal meningitis. 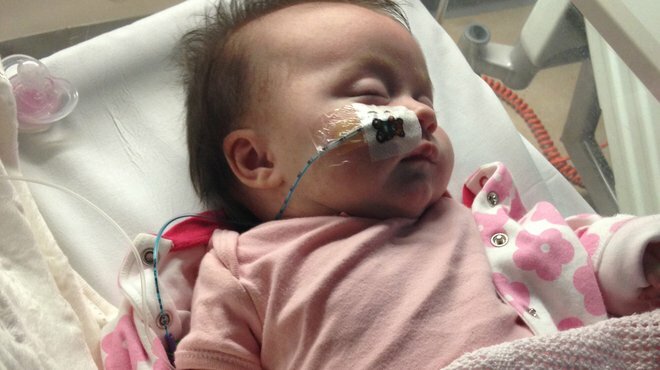 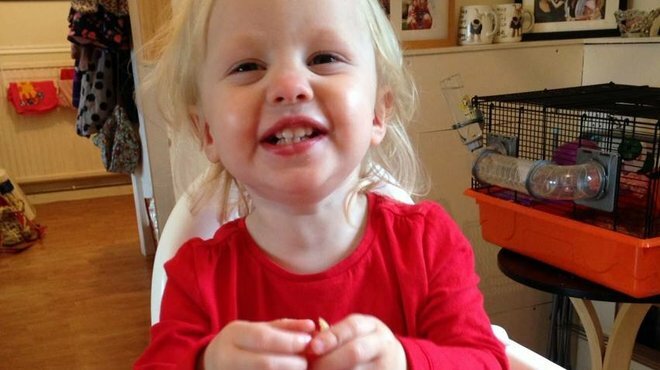 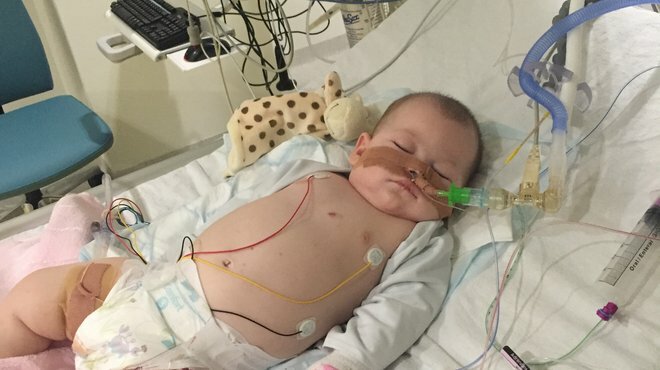 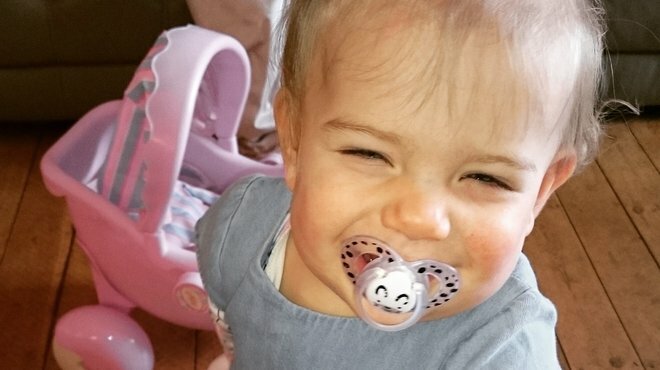 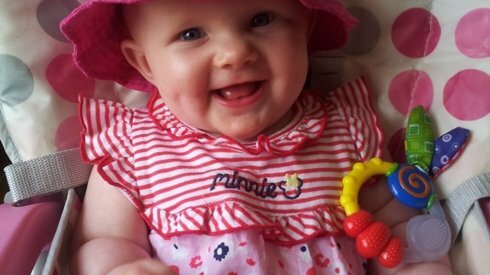 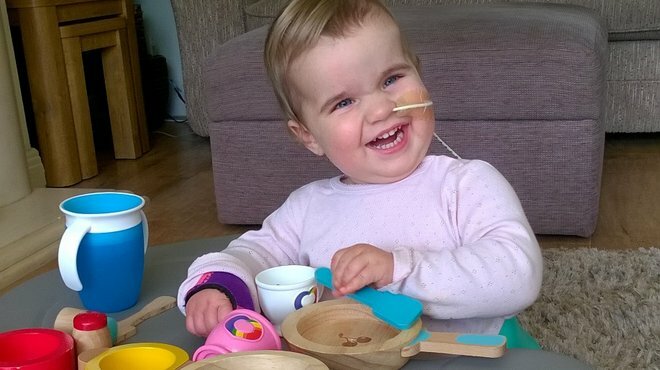 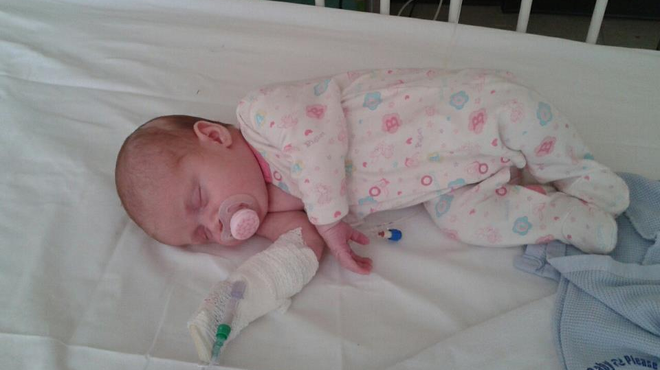 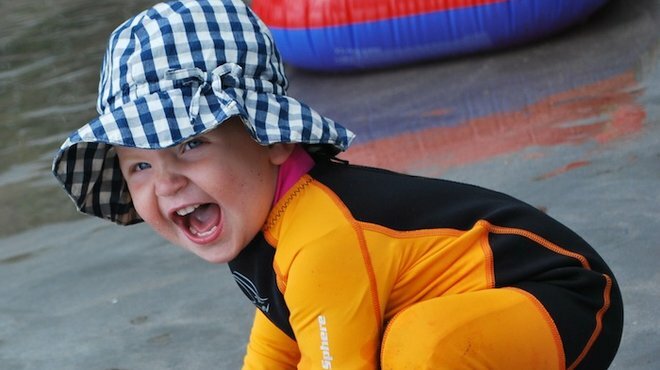 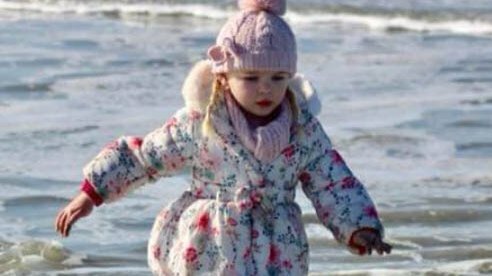 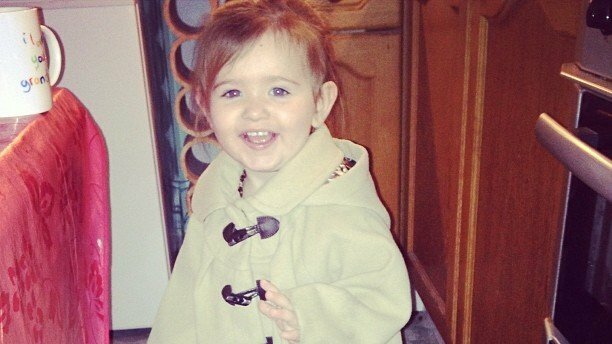 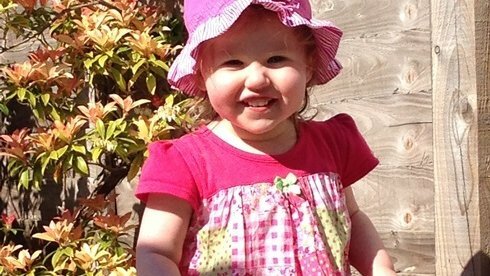 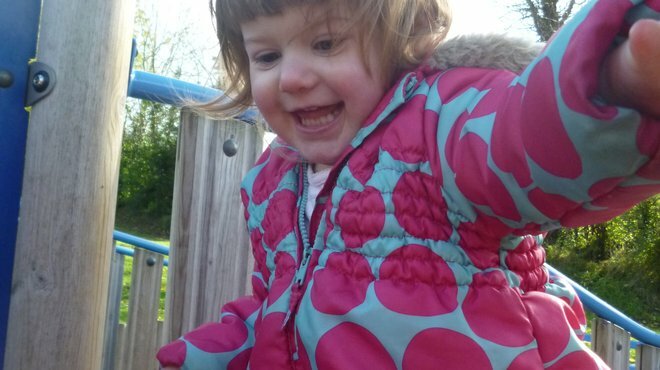 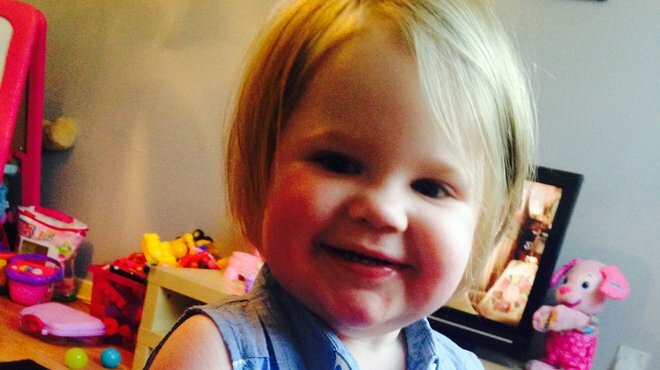 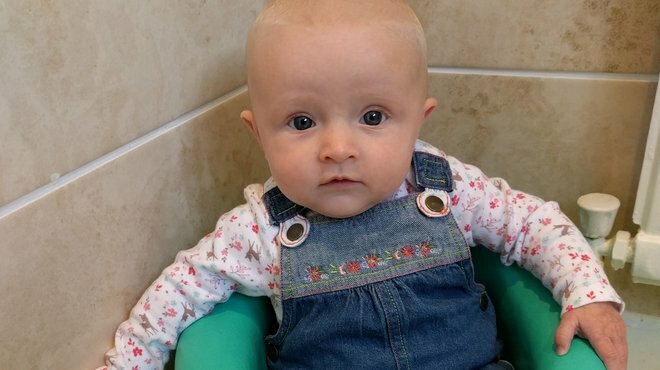 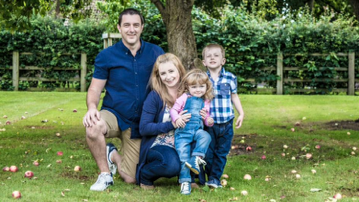 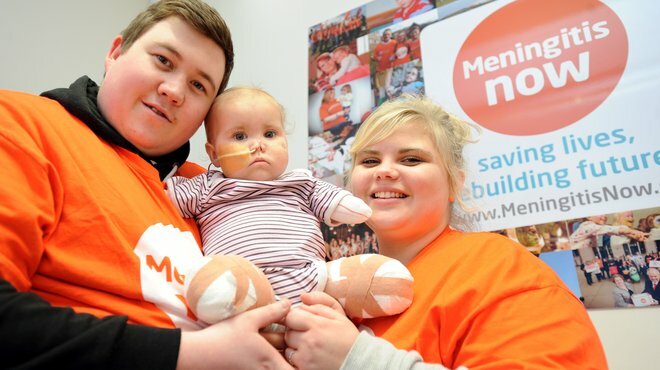 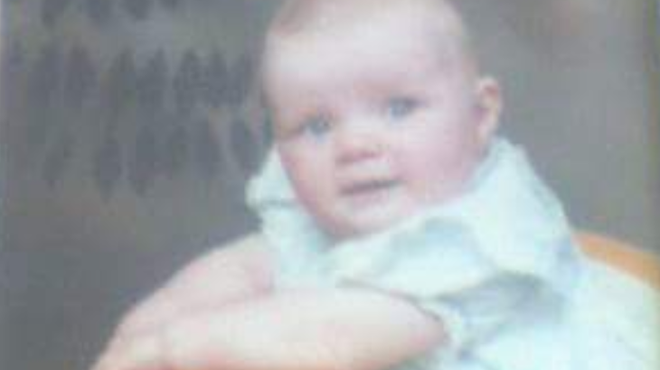 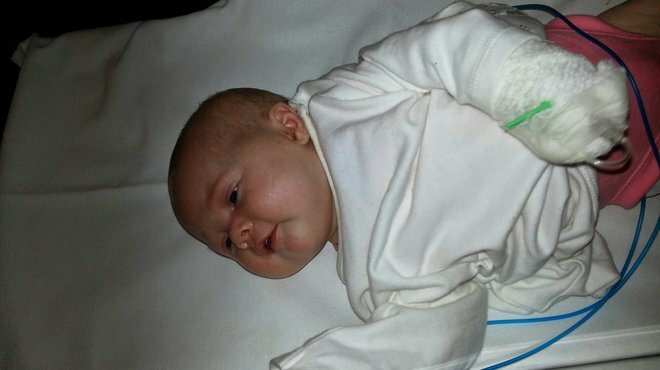 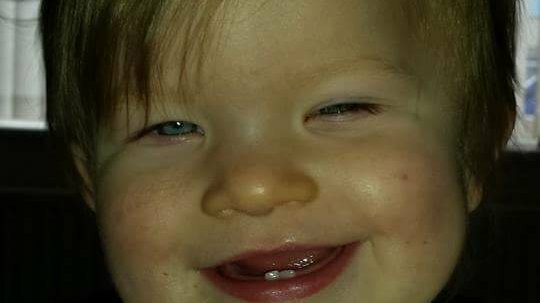 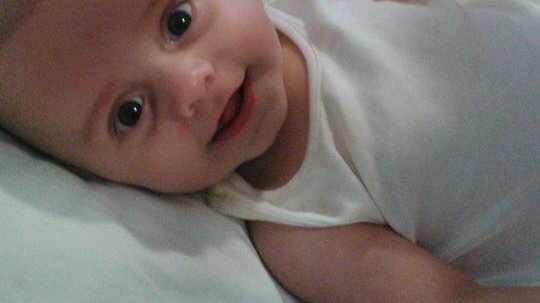 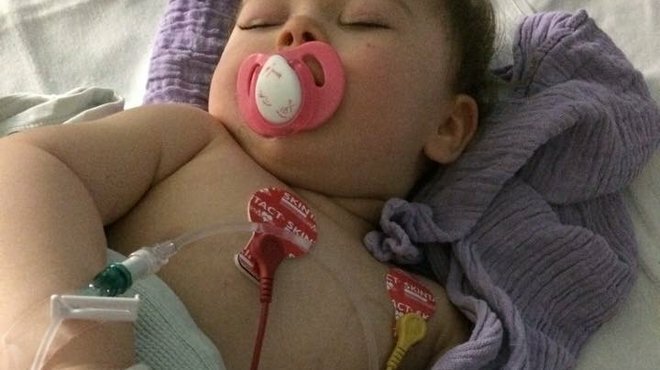 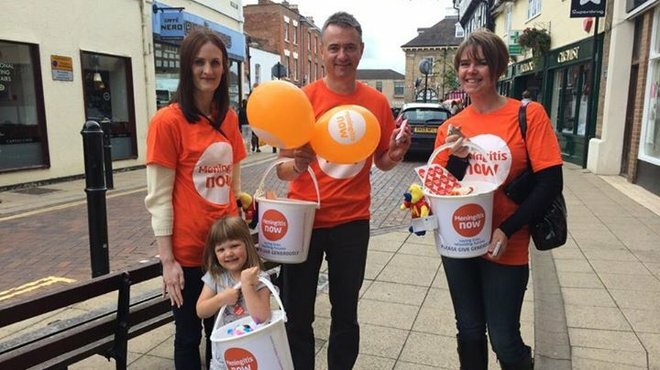 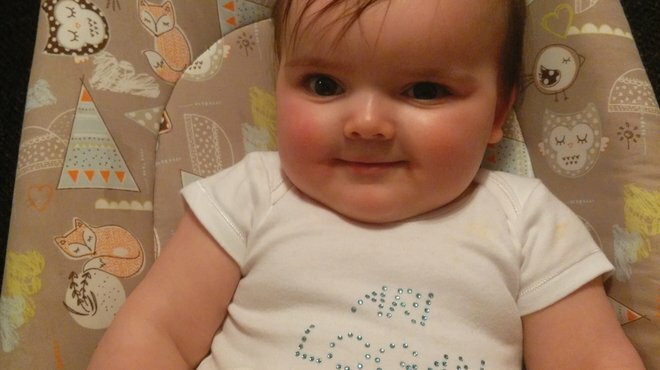 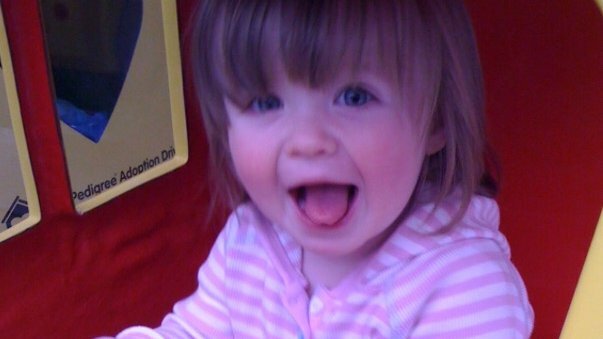 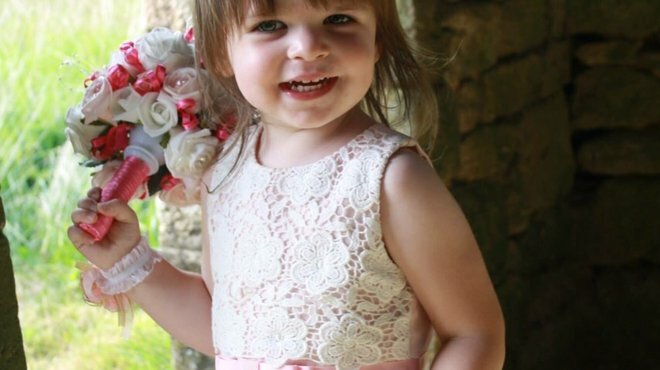 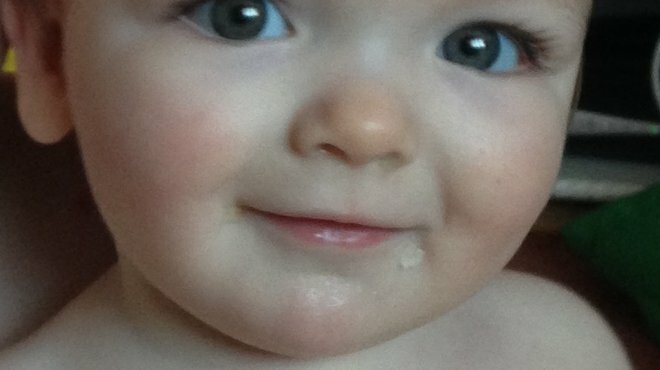 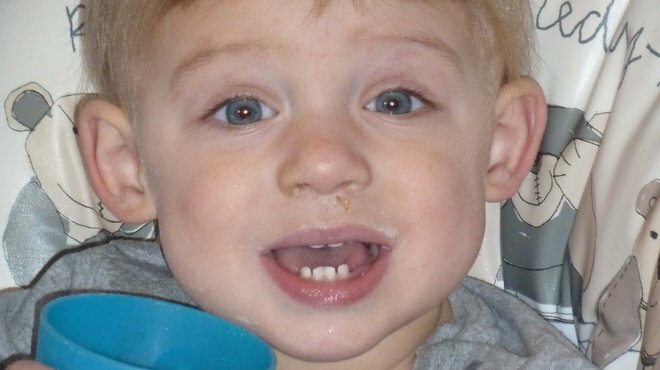 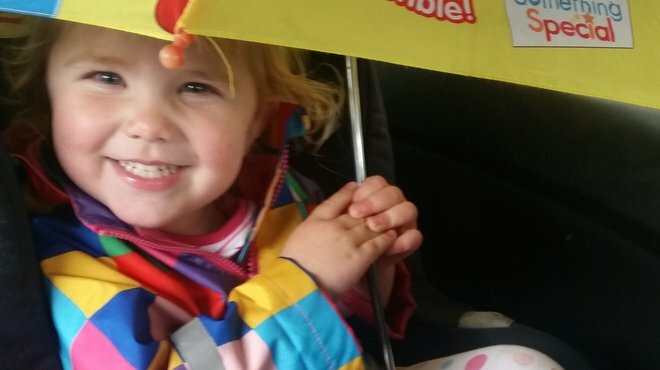 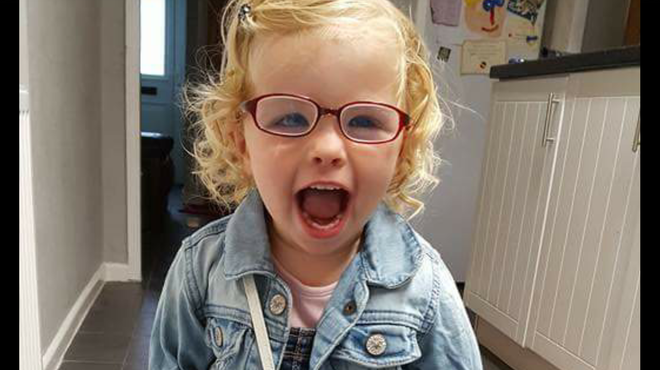 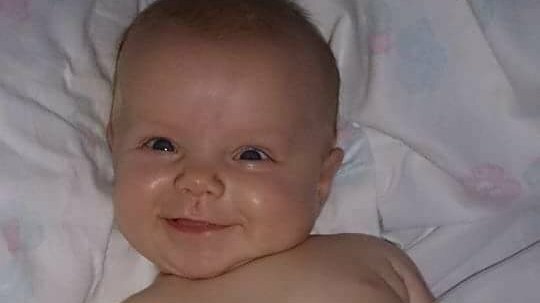 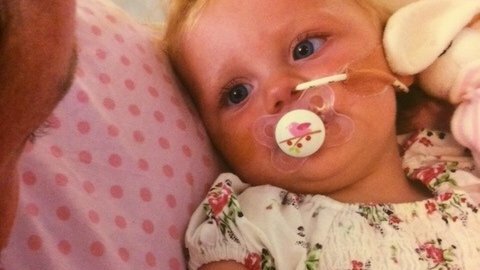 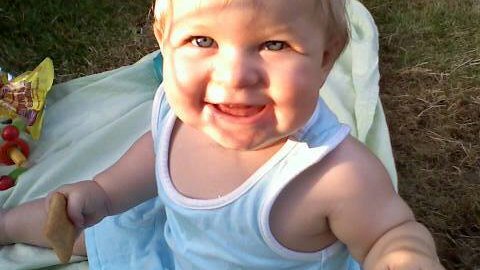 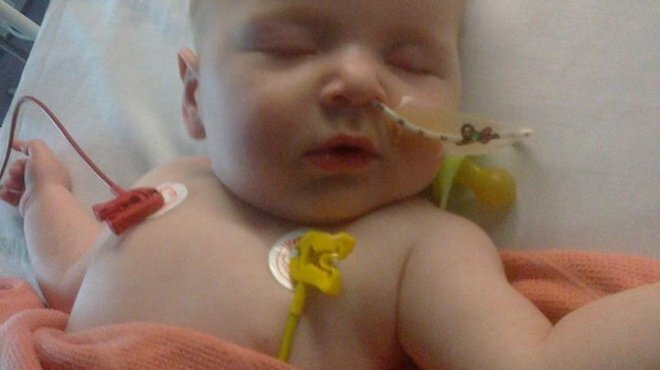 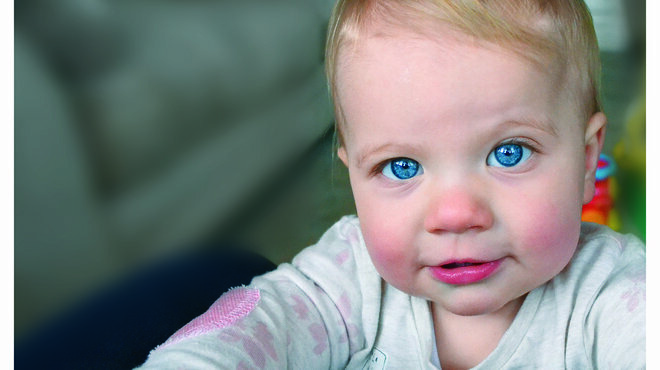 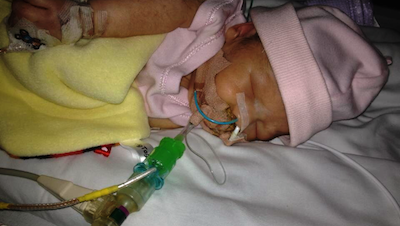 Parents Ron and Alison Noble tell the story of how meningitis took their beloved tot Siobhan. 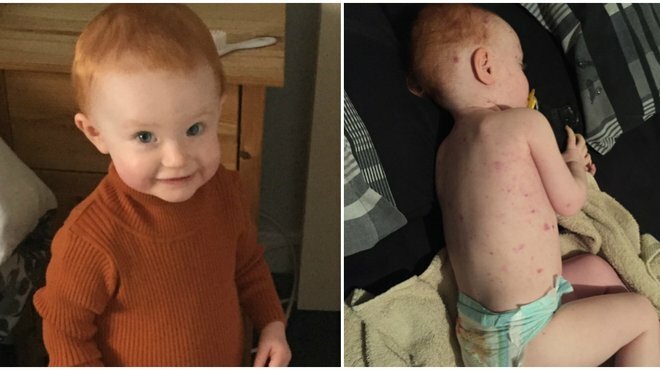 Now they want to raise awareness and find a vaccine to wipe out the dreaded disease.